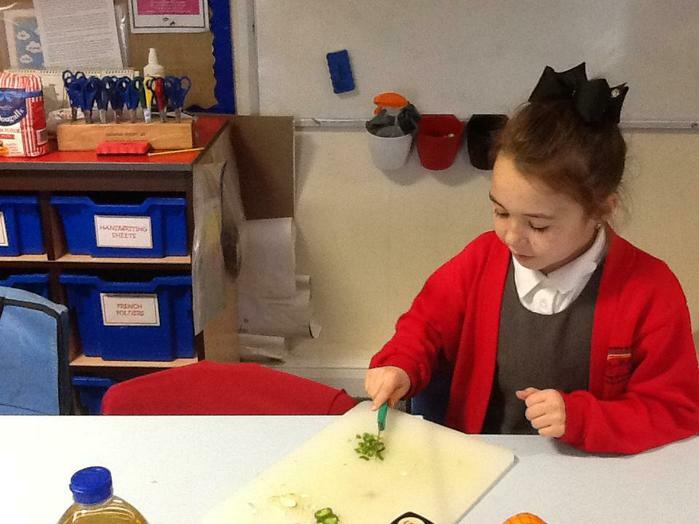 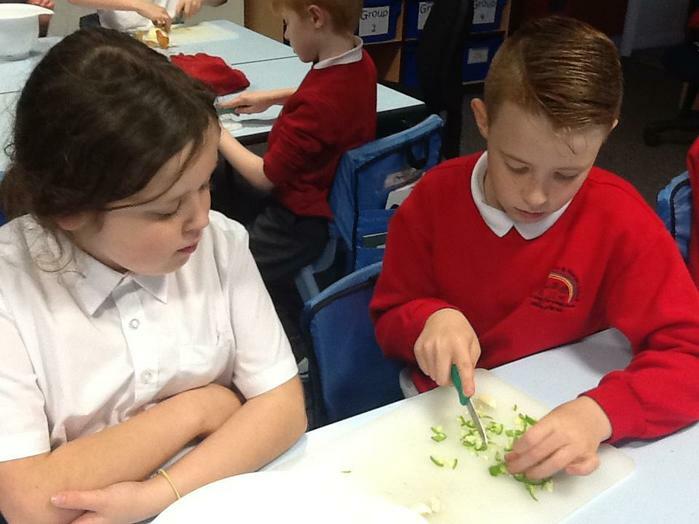 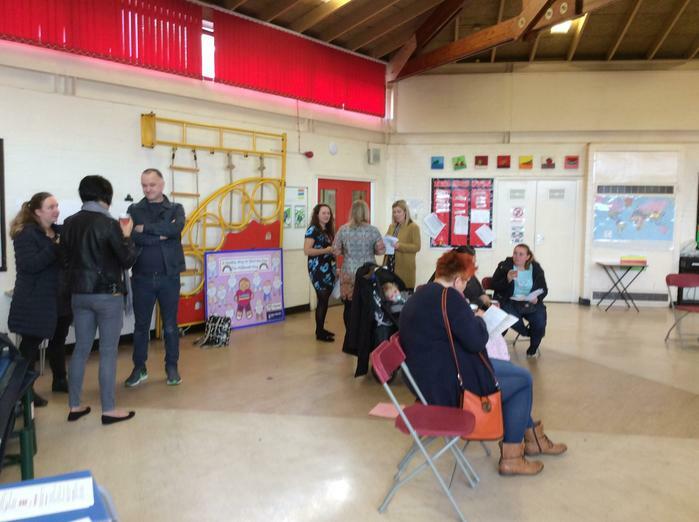 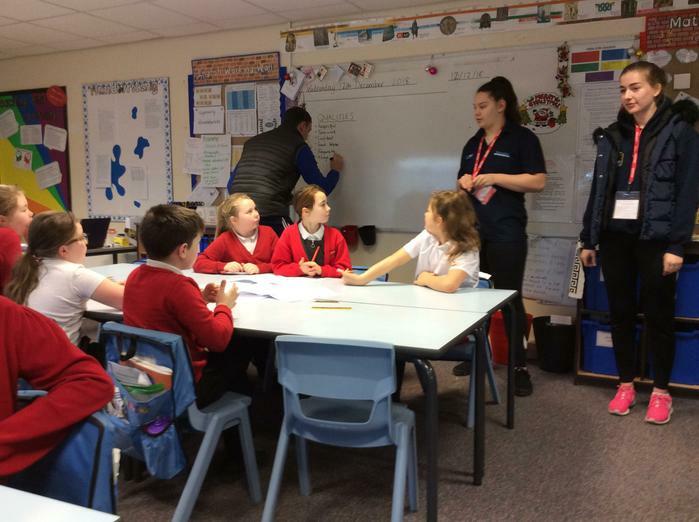 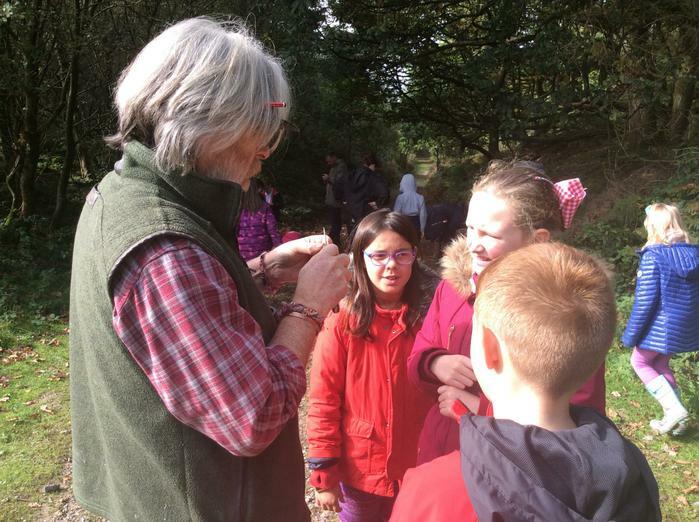 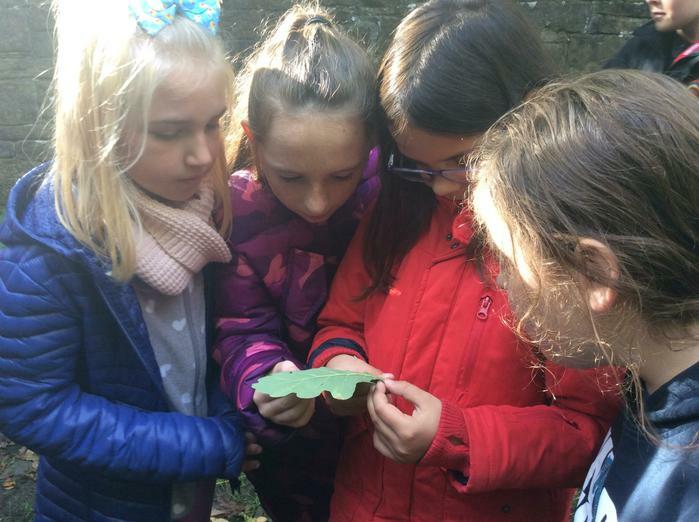 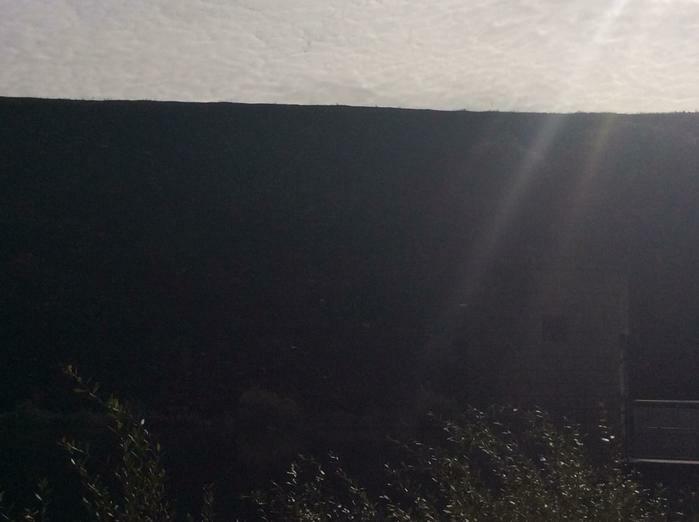 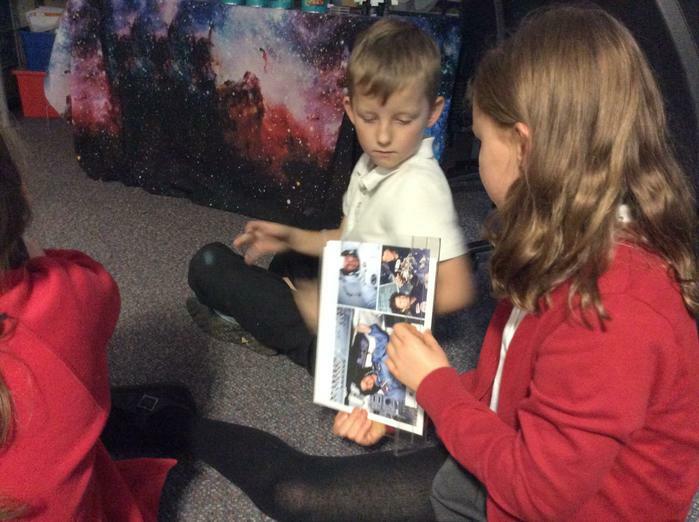 Here you will find information about what we will be learning throughout the year including photographs and videos of trips and enrichment activities as they happen. 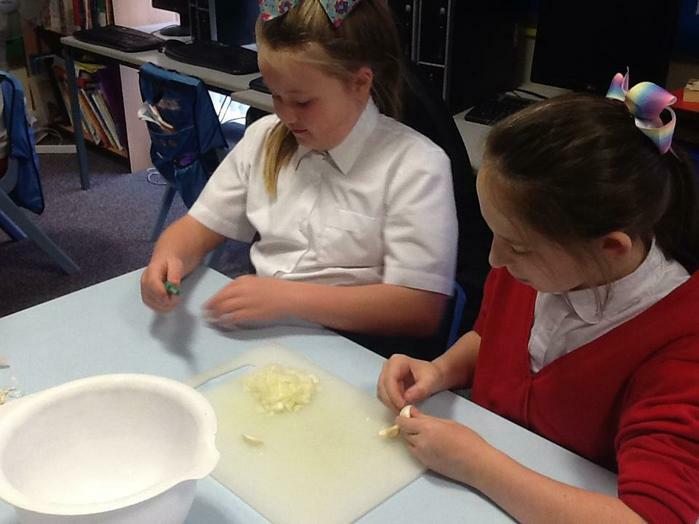 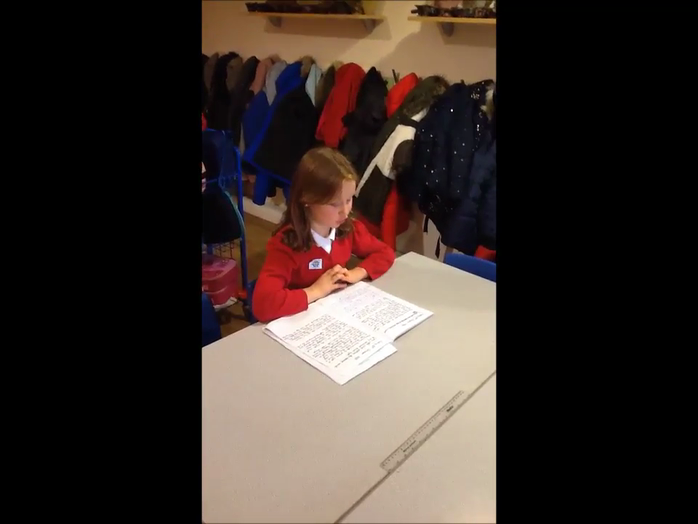 You will also be able to access information about homework and any key dates from this page. 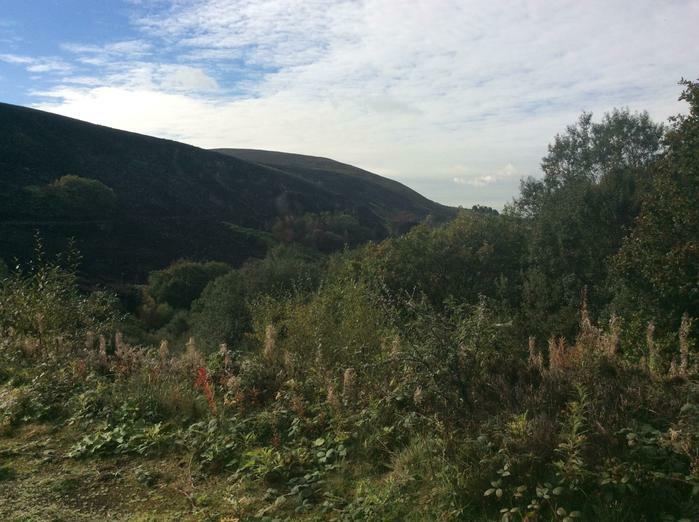 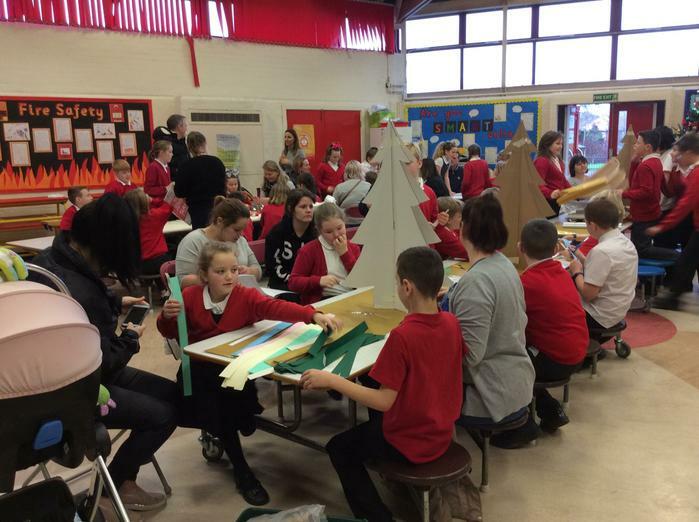 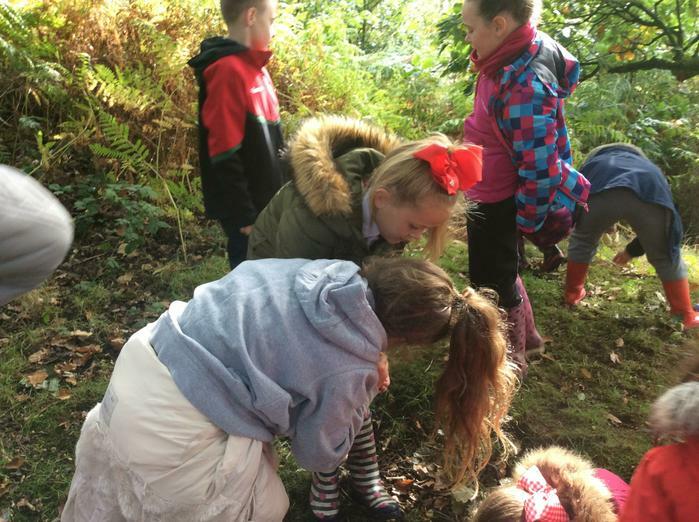 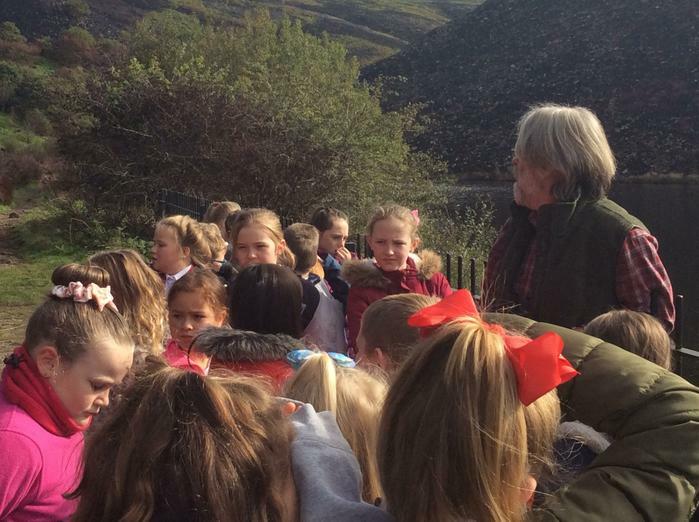 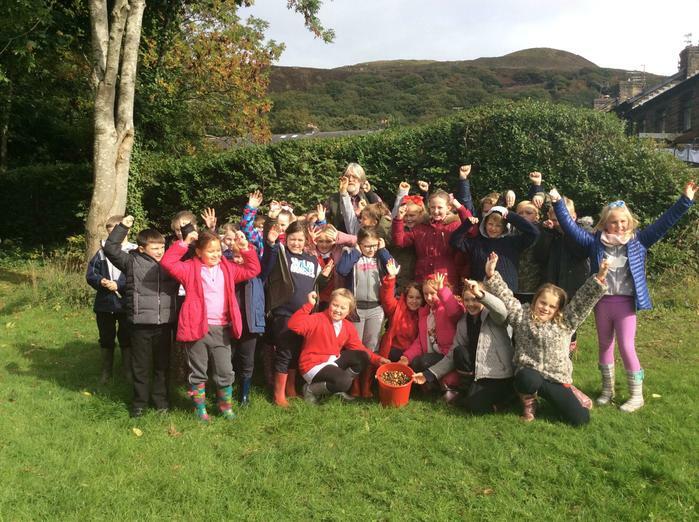 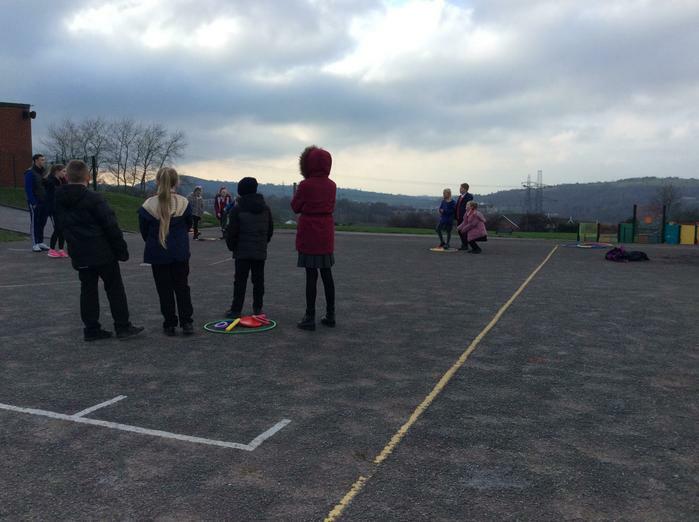 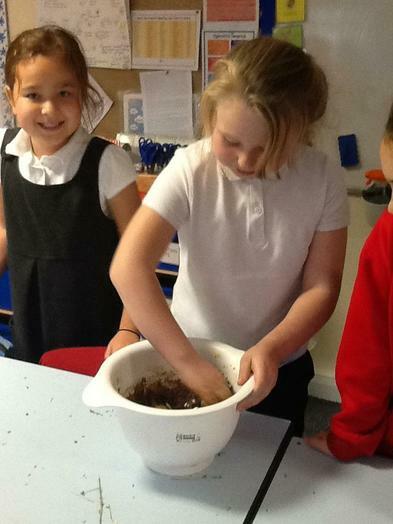 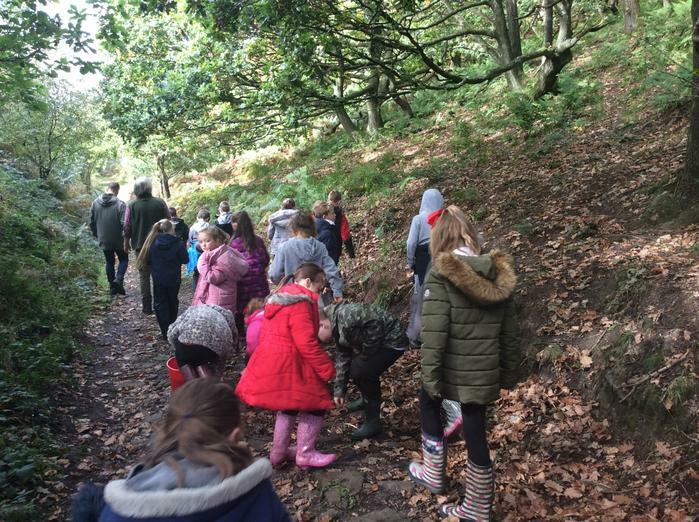 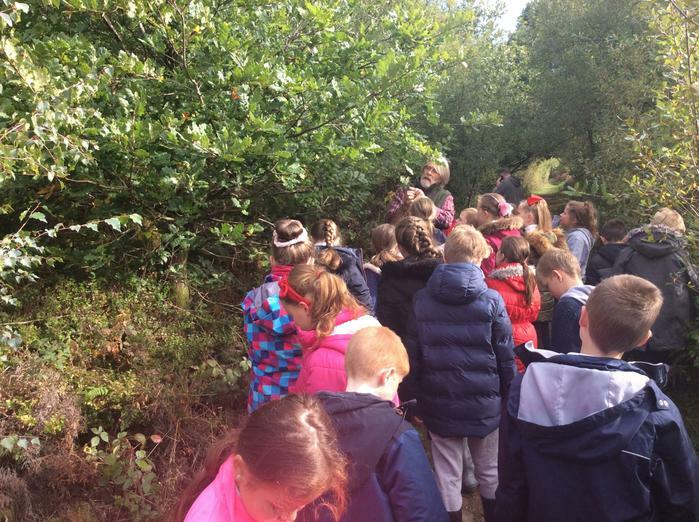 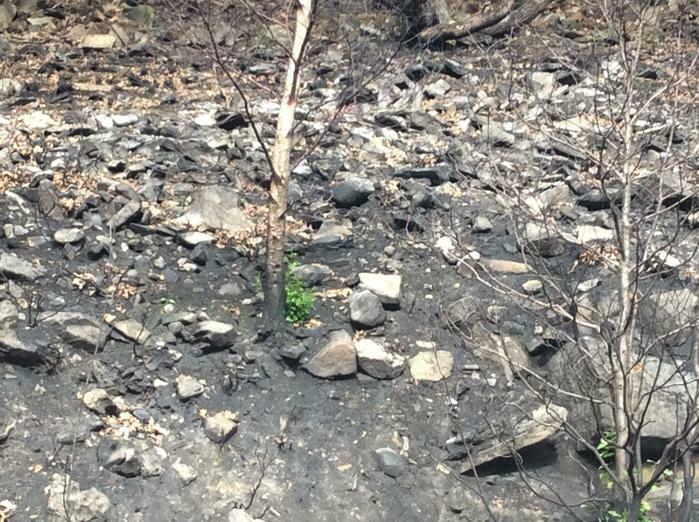 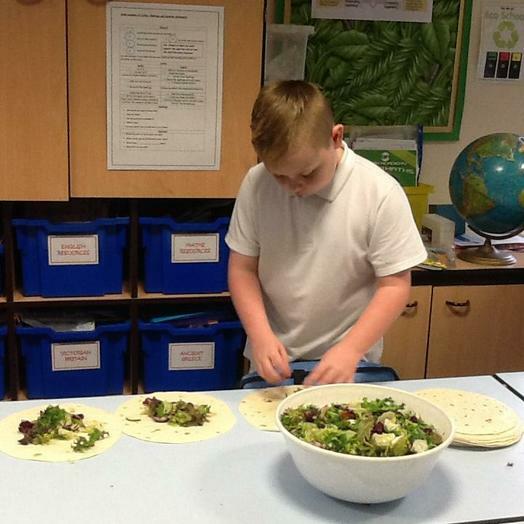 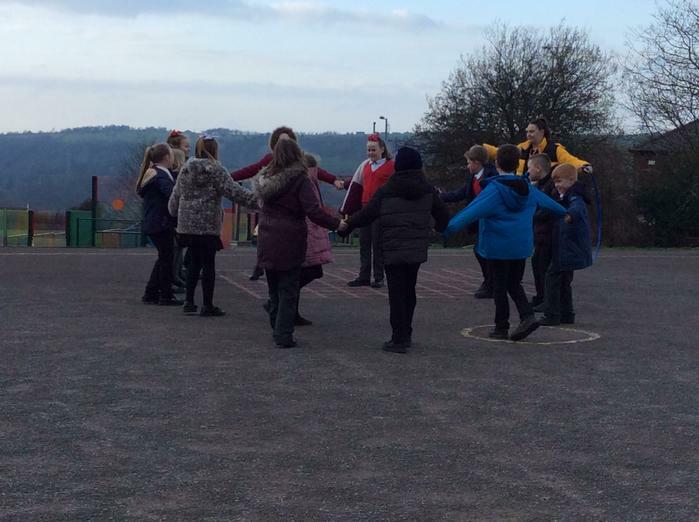 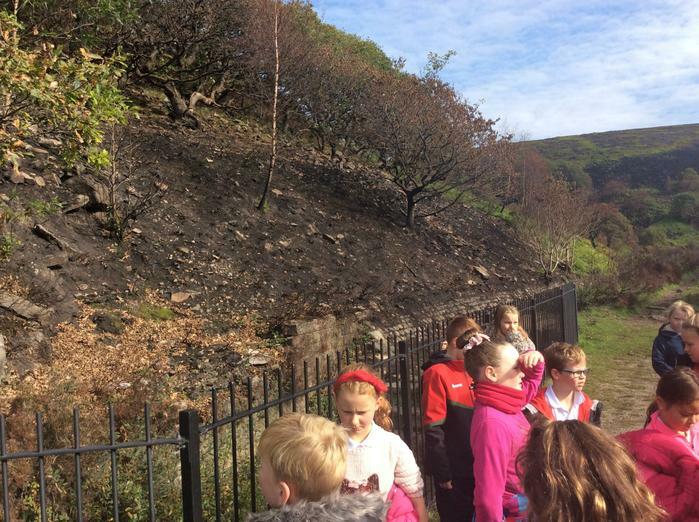 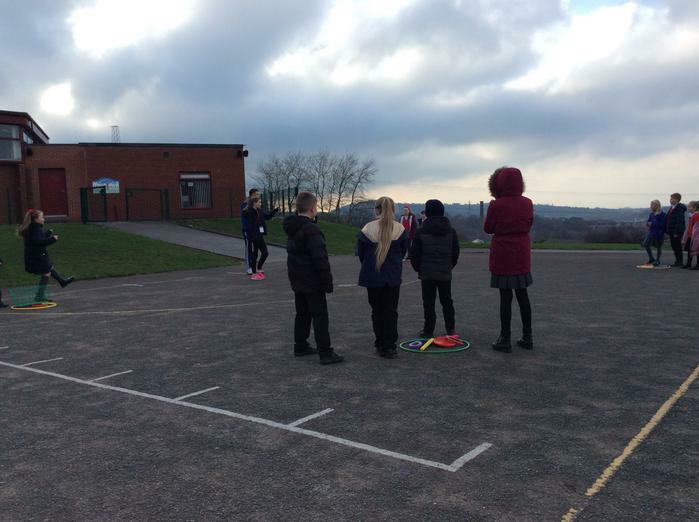 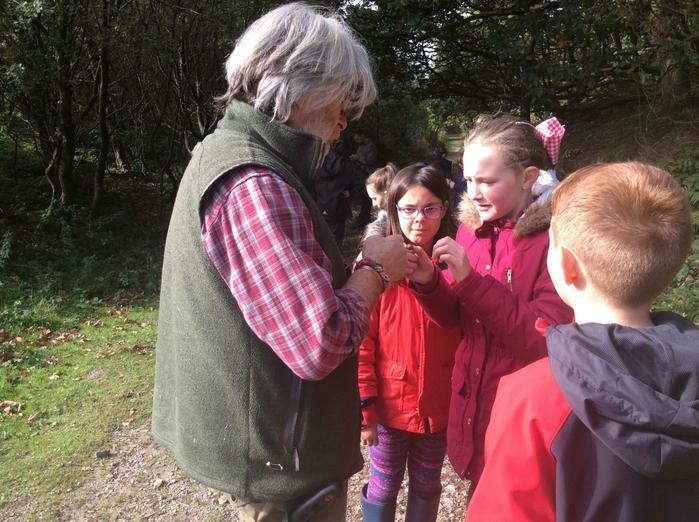 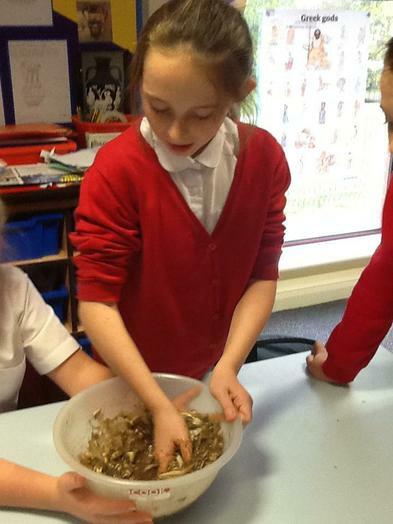 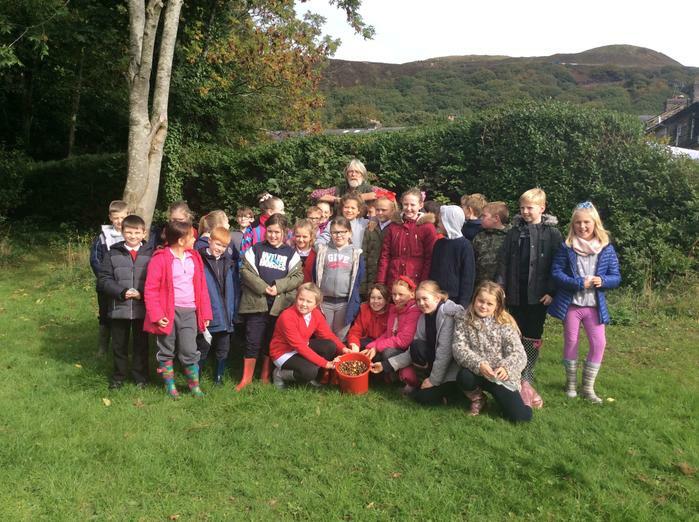 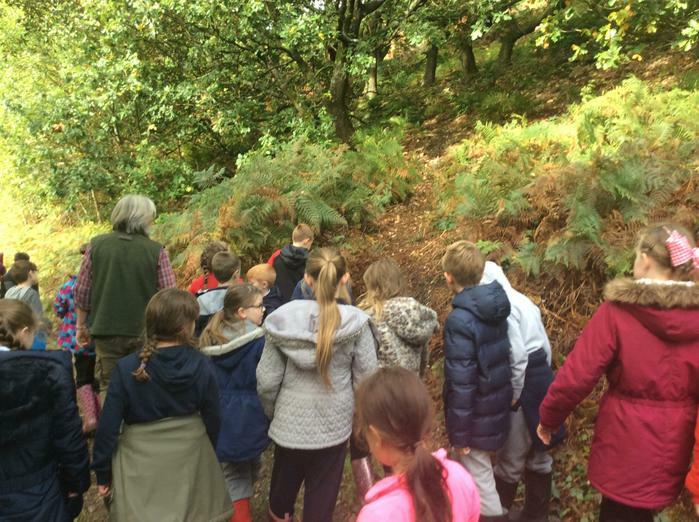 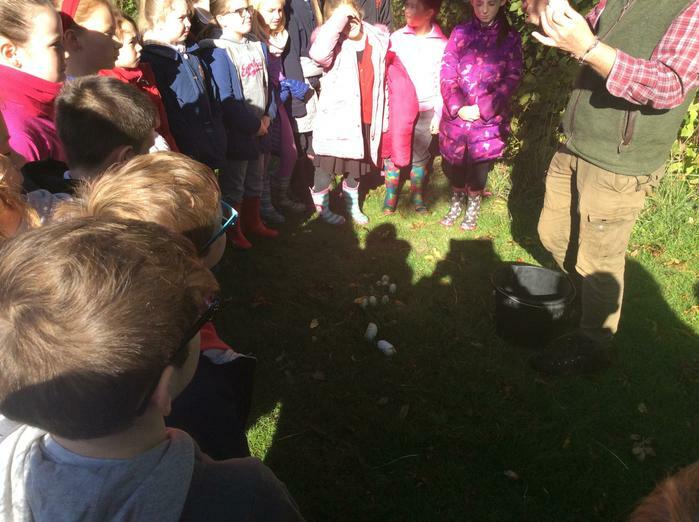 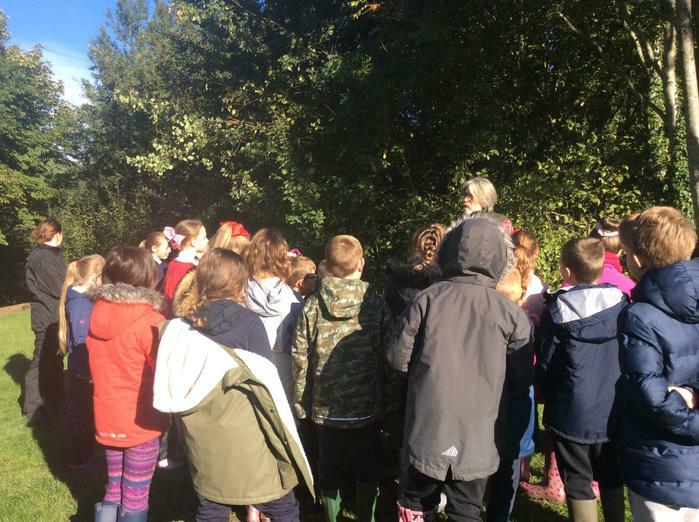 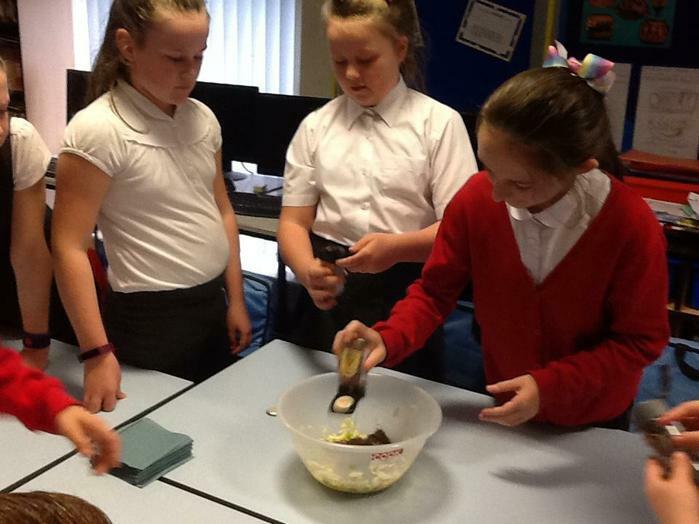 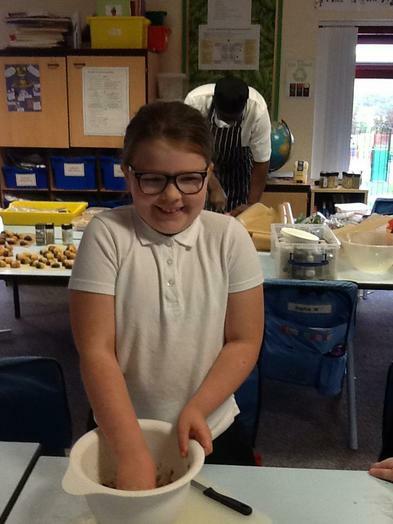 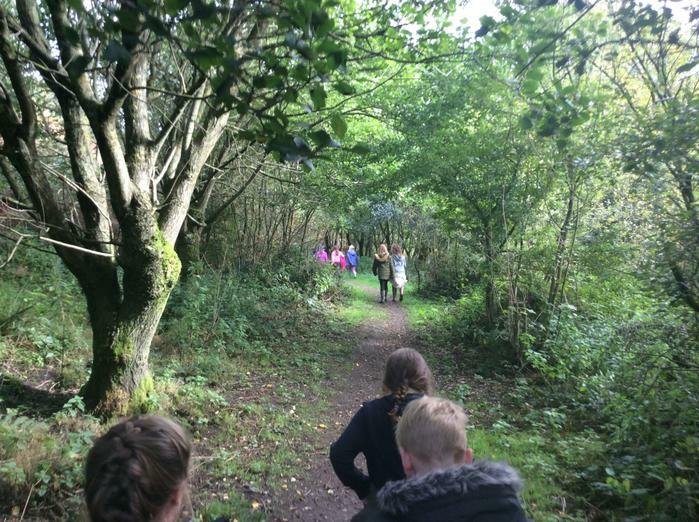 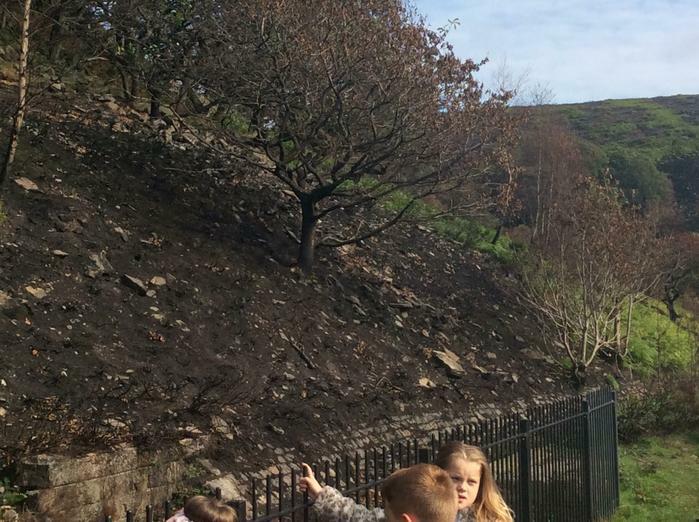 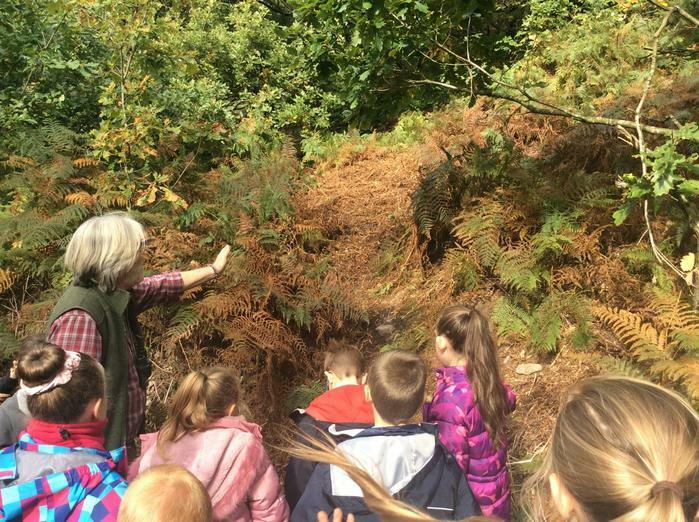 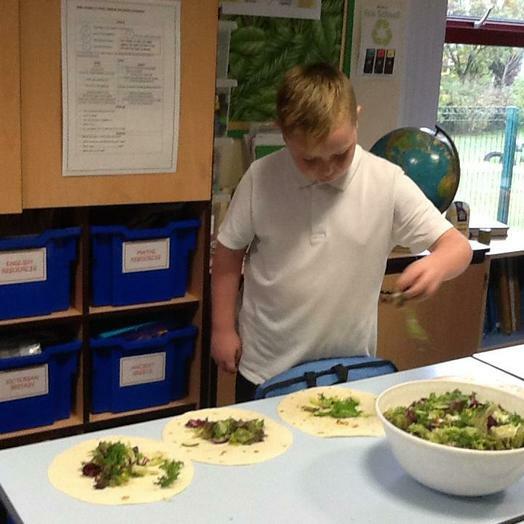 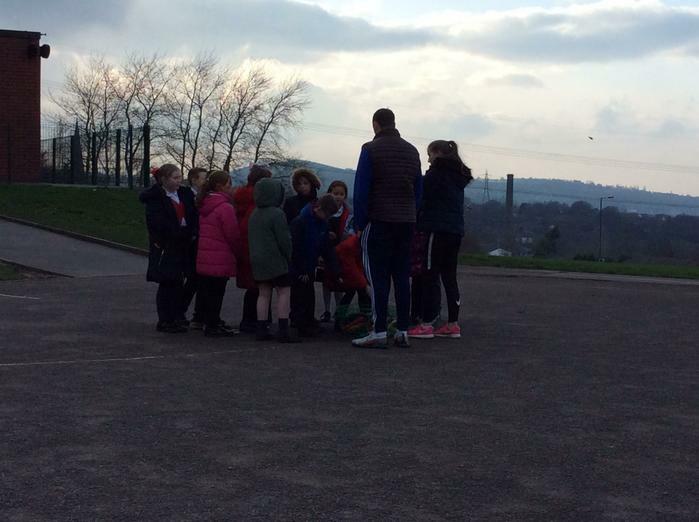 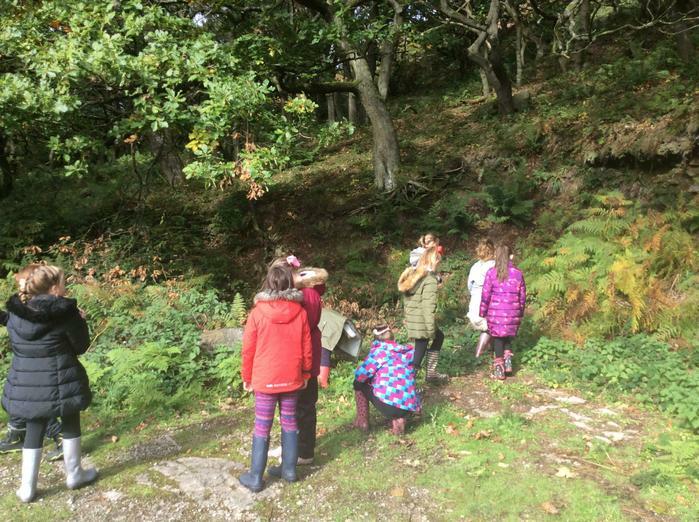 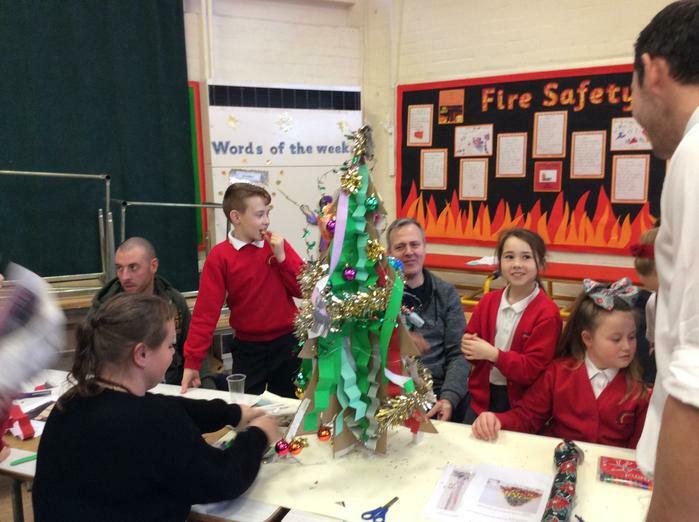 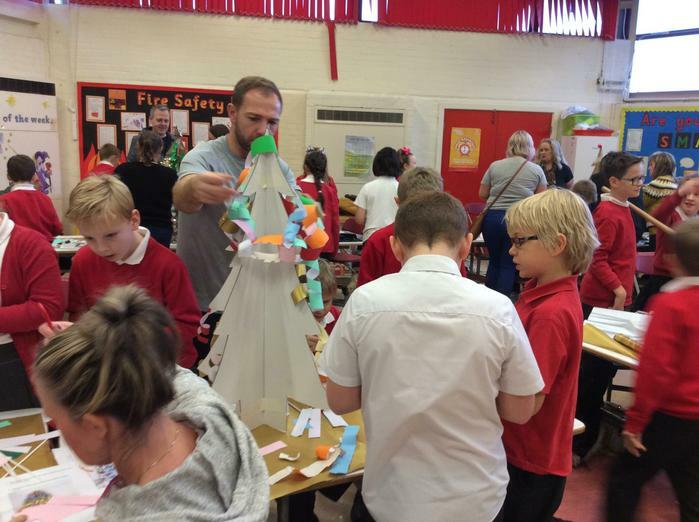 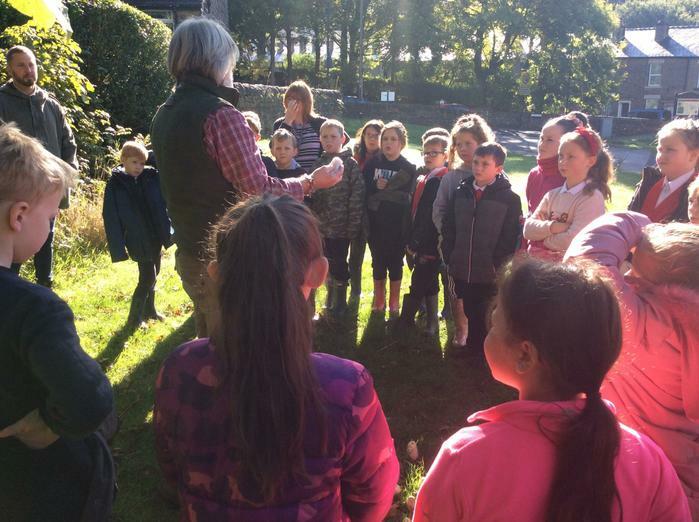 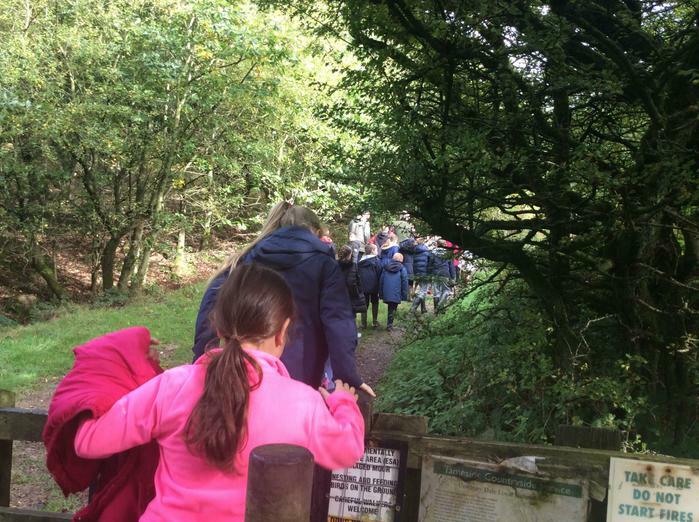 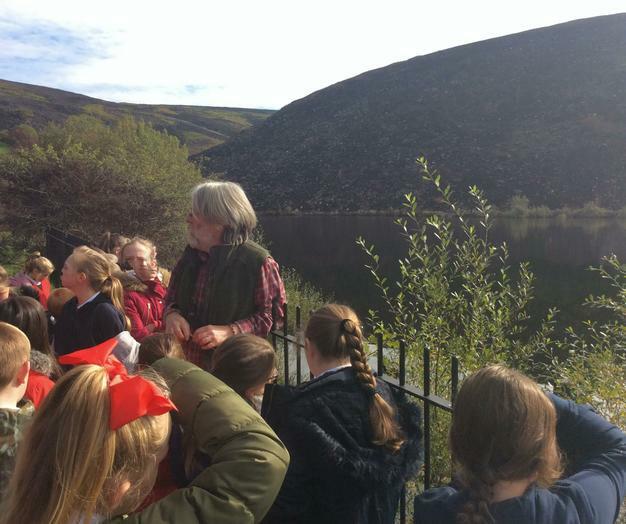 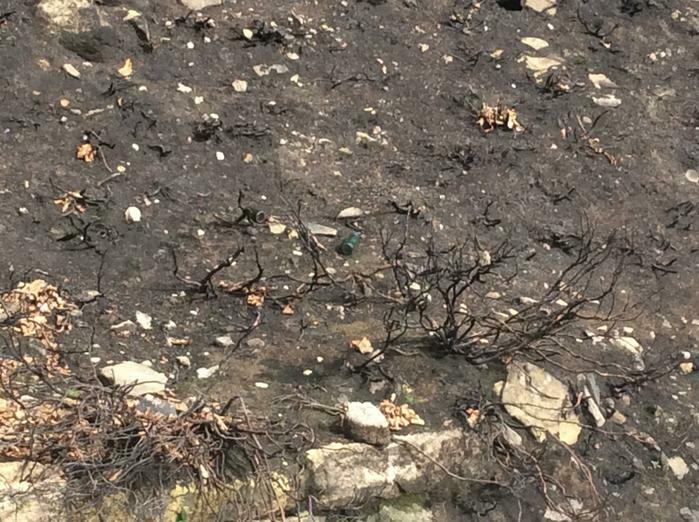 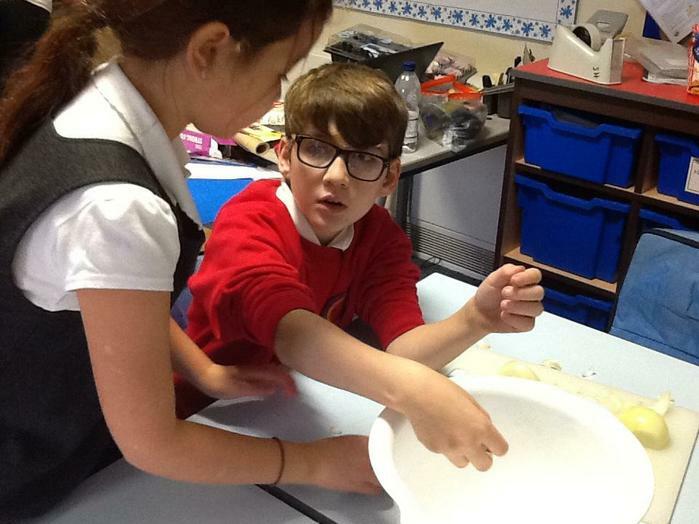 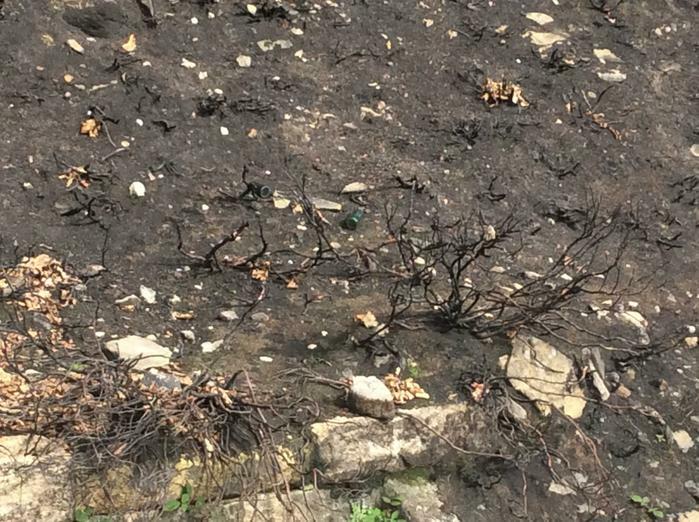 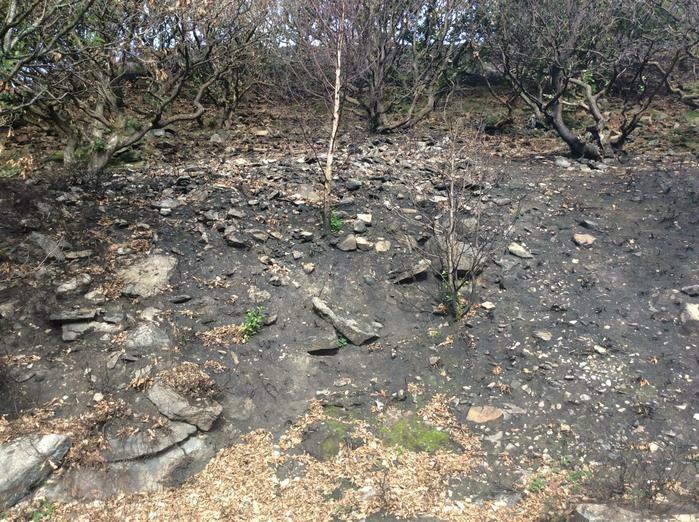 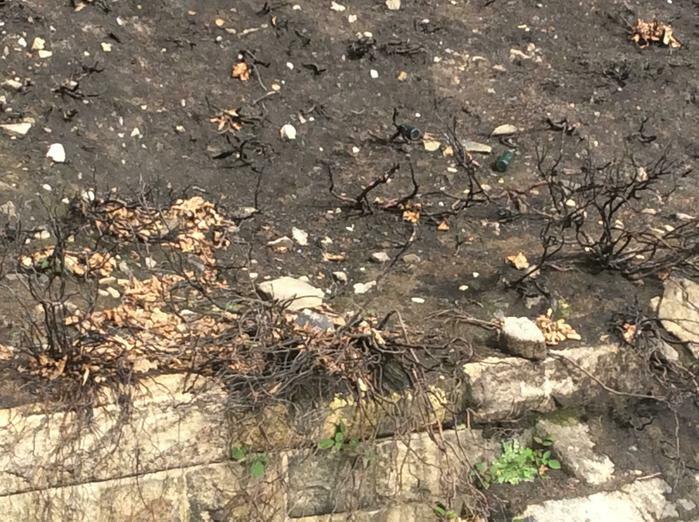 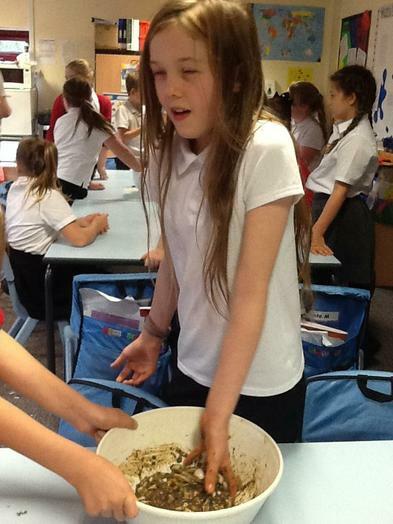 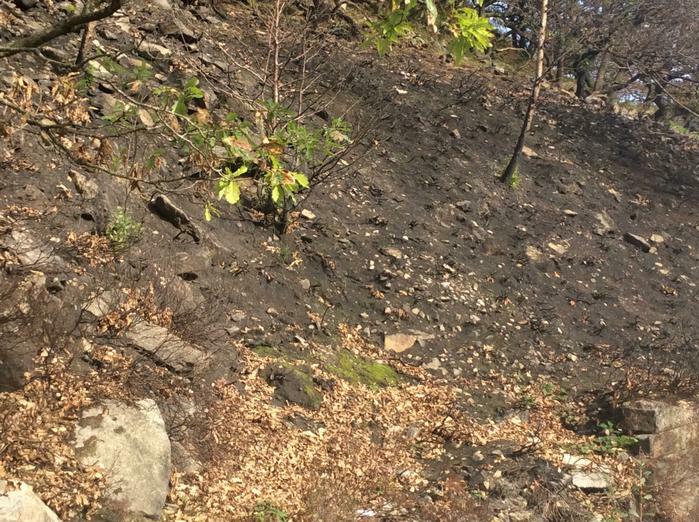 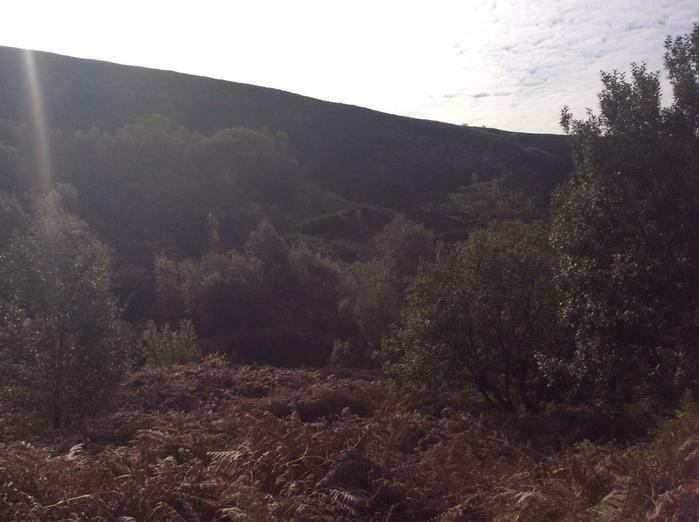 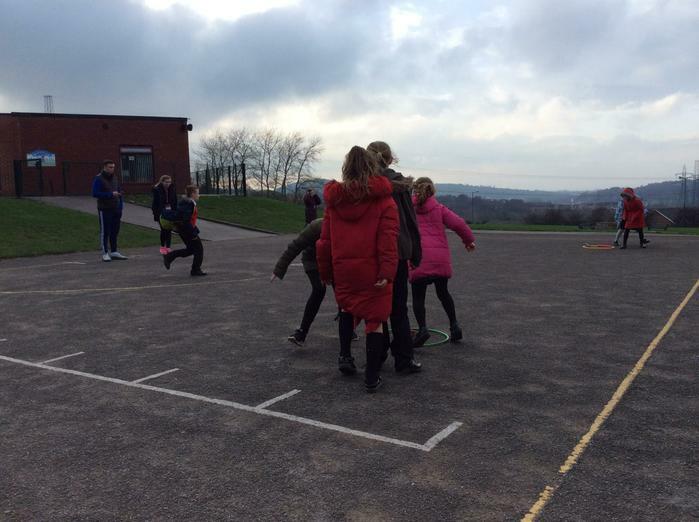 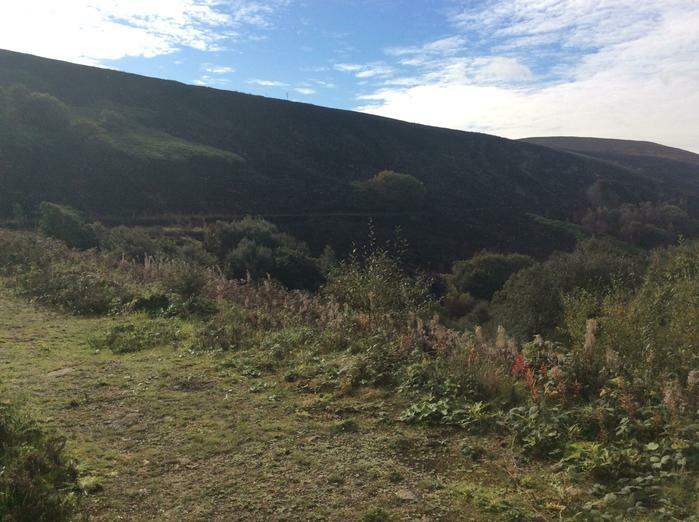 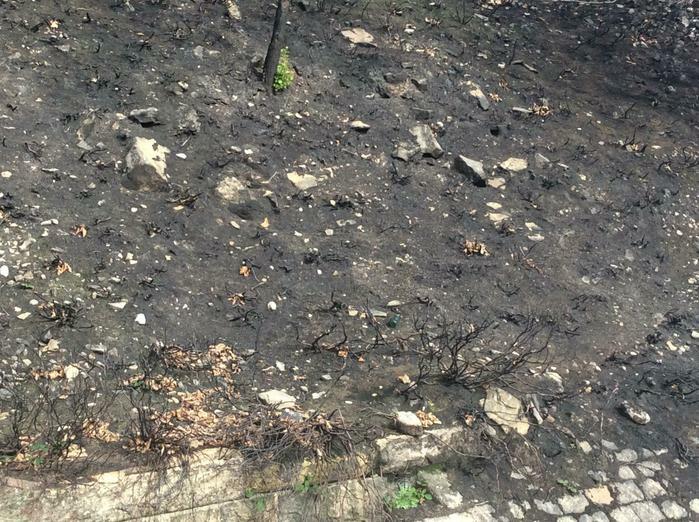 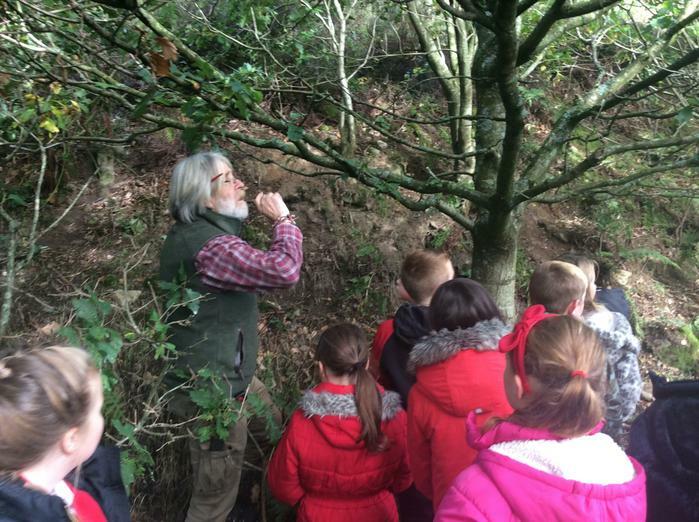 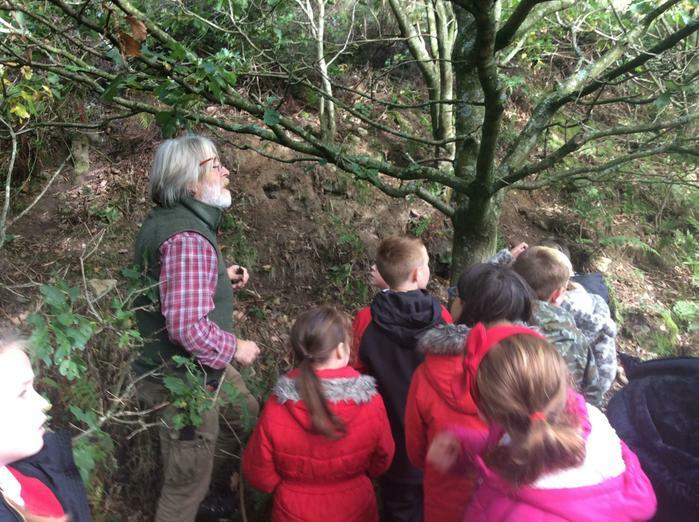 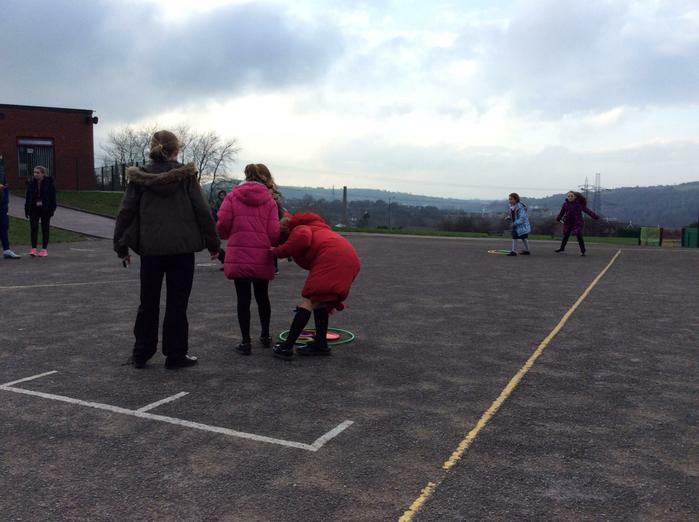 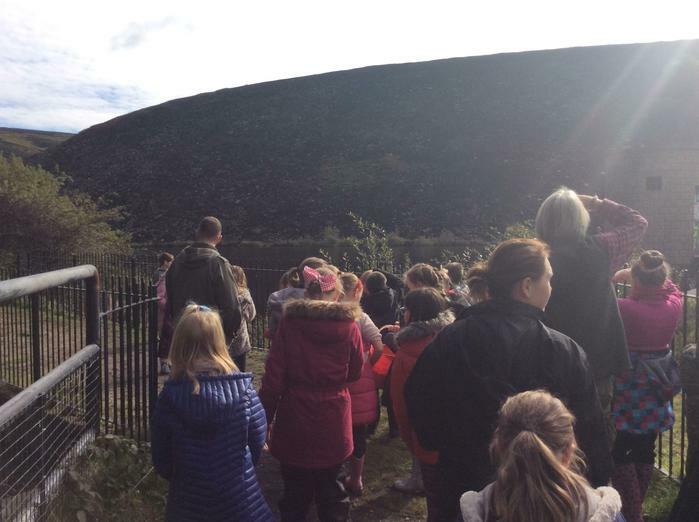 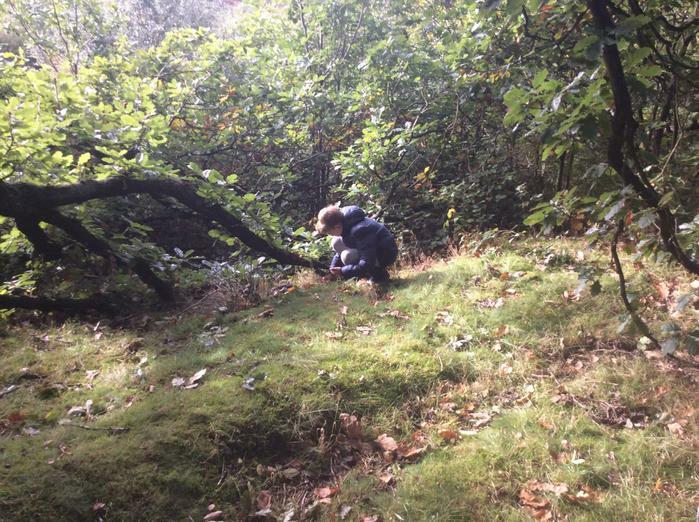 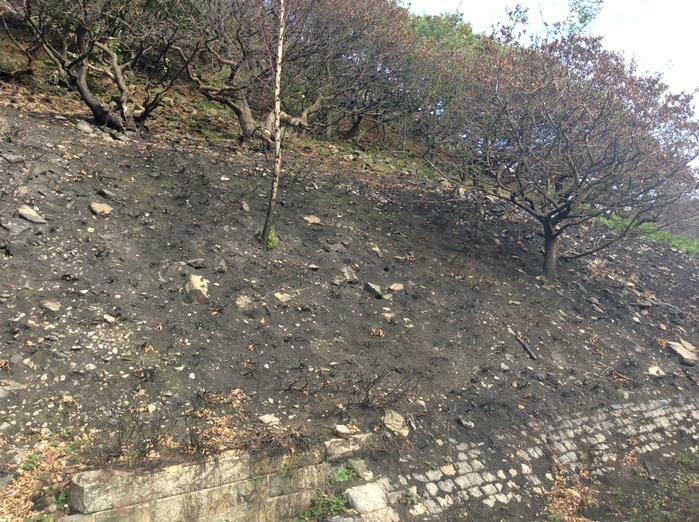 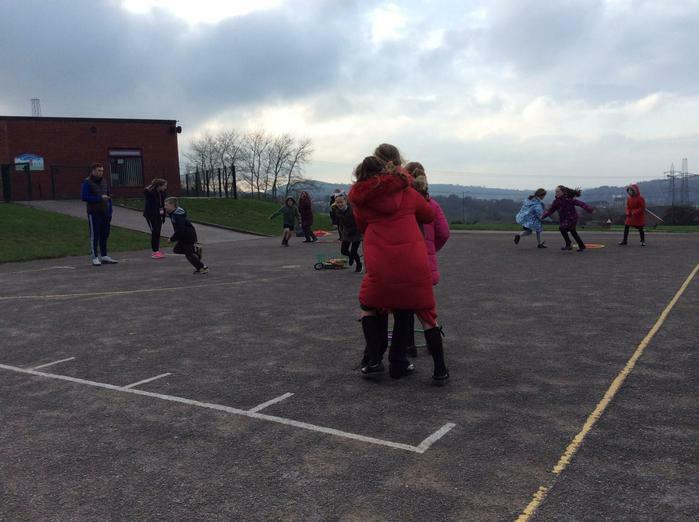 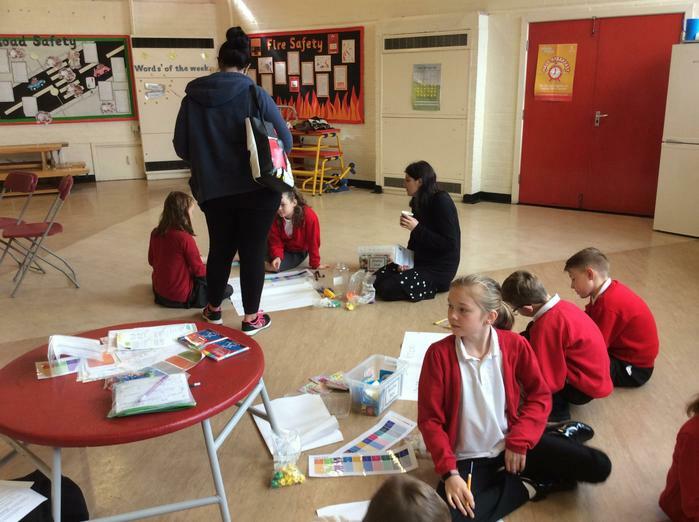 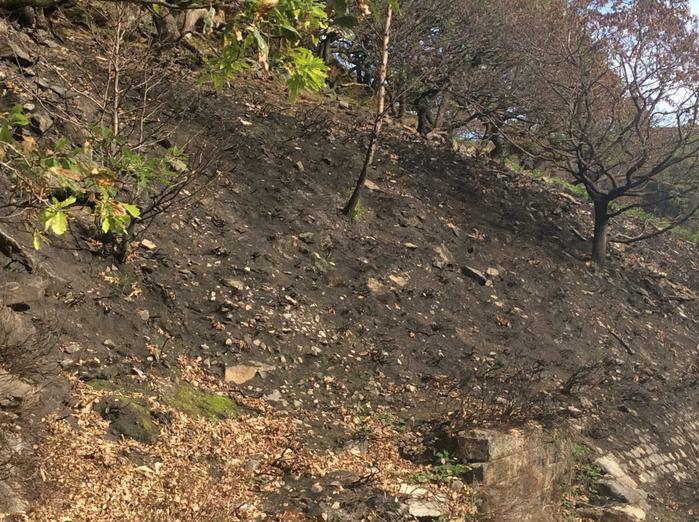 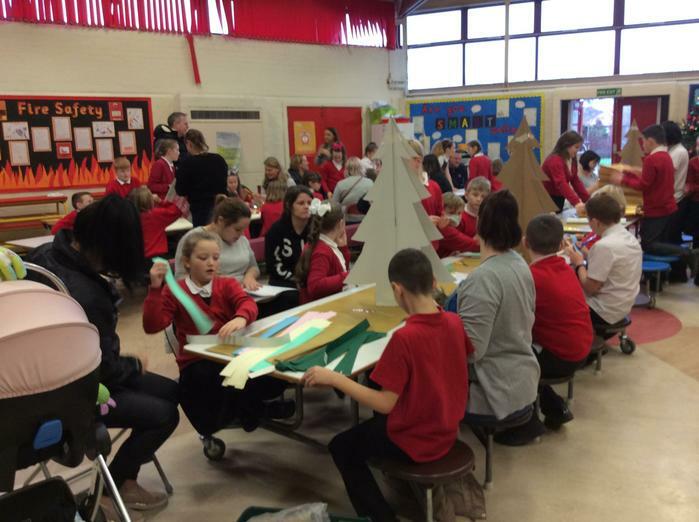 As part of our geography work in year 5, we have been studying the environmental impact of the moorland fires. 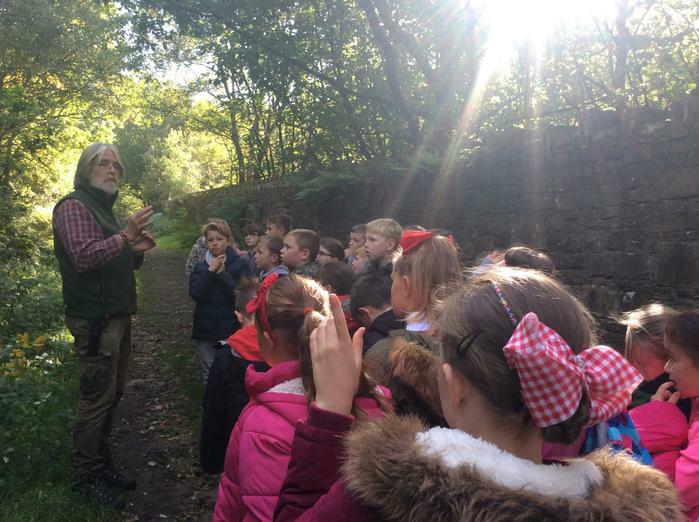 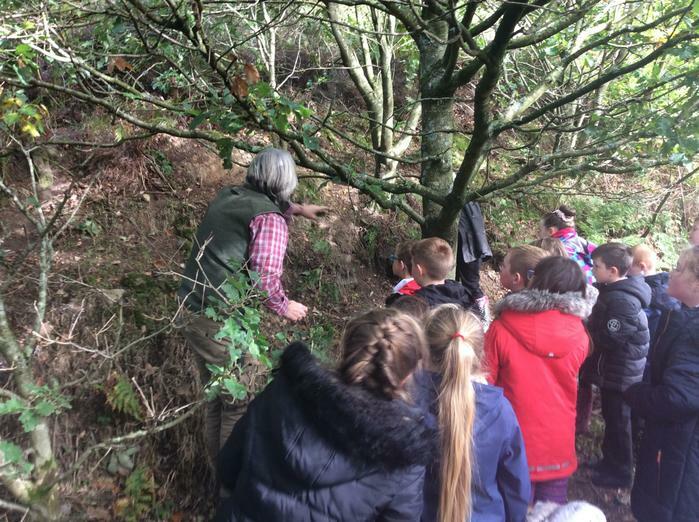 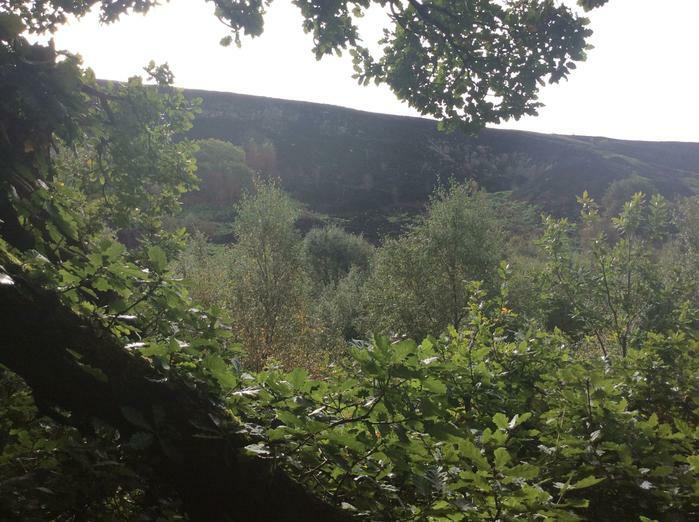 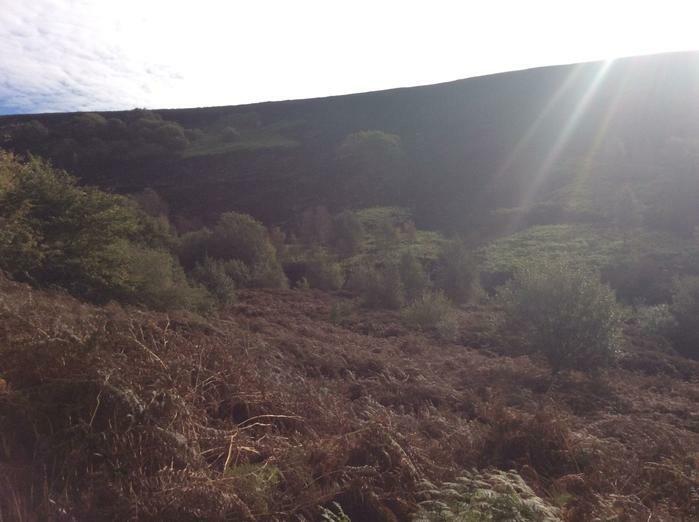 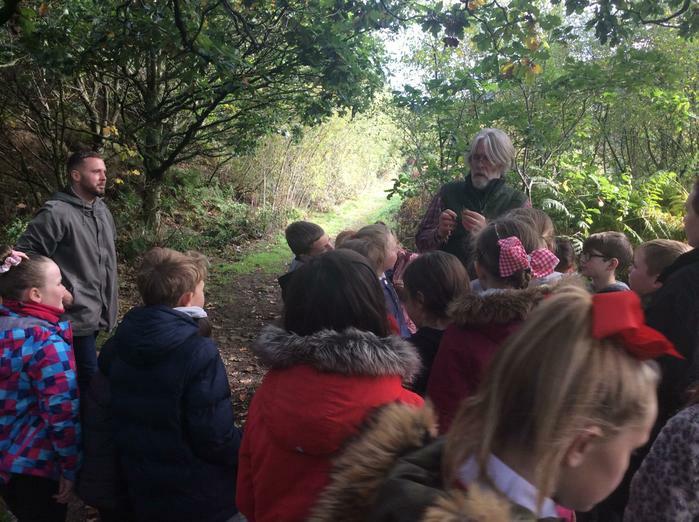 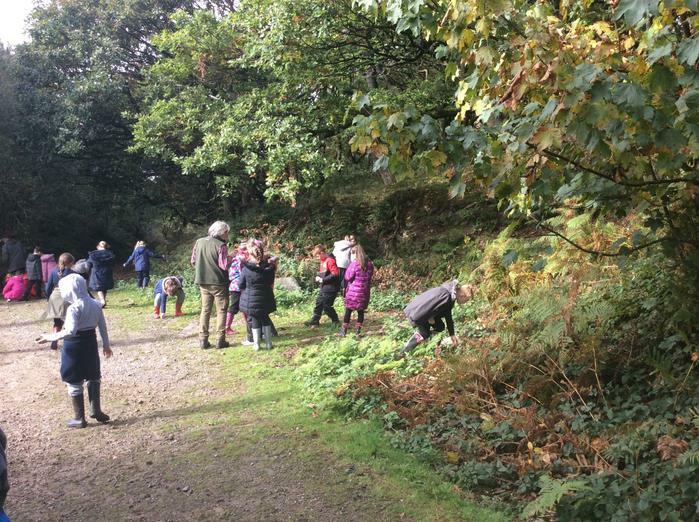 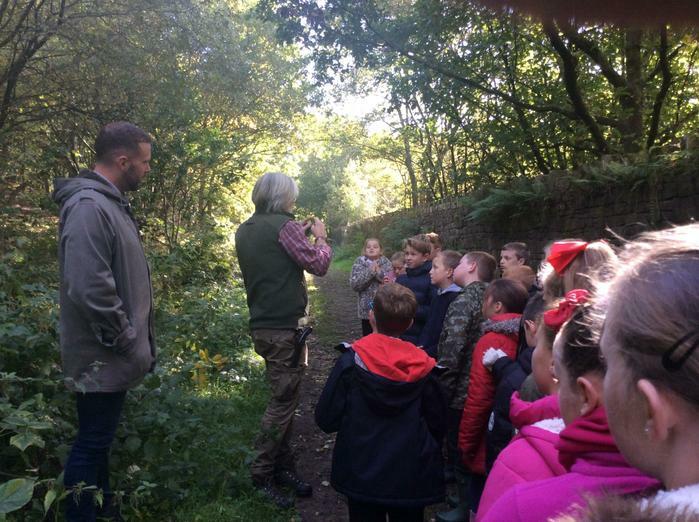 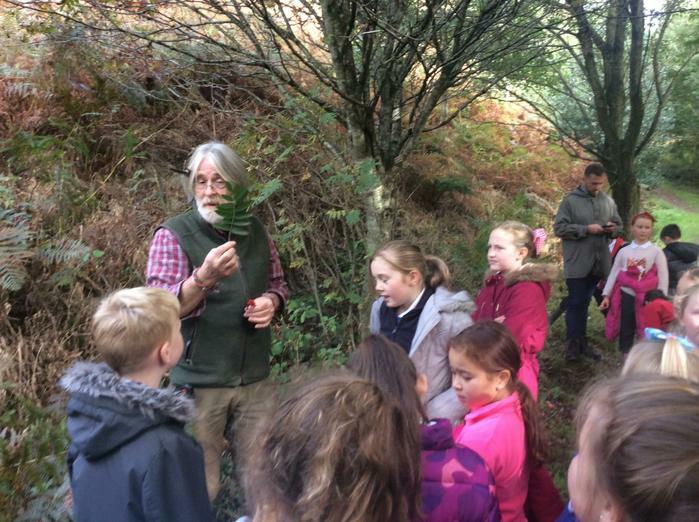 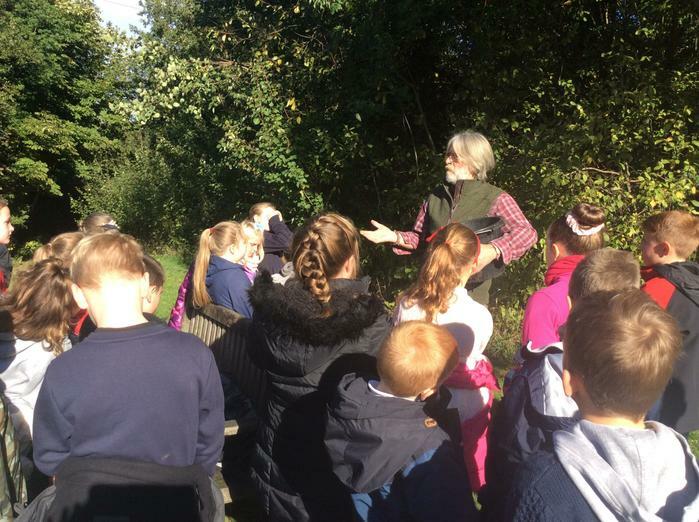 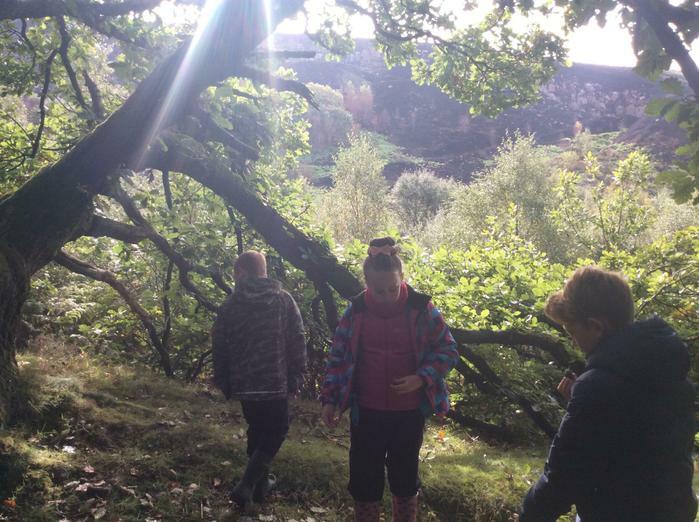 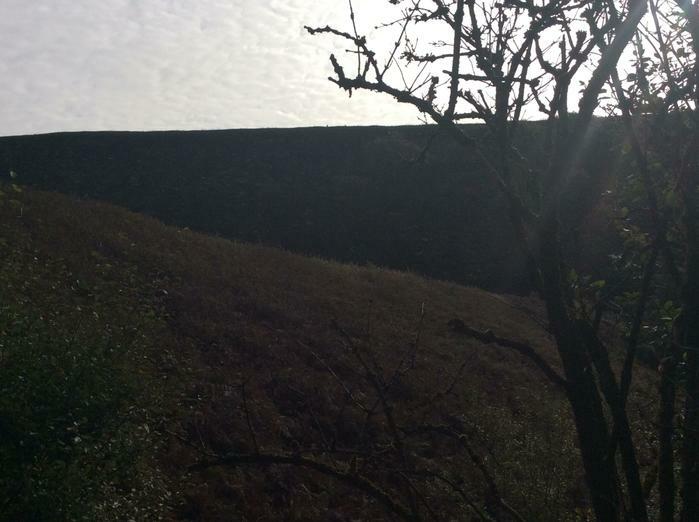 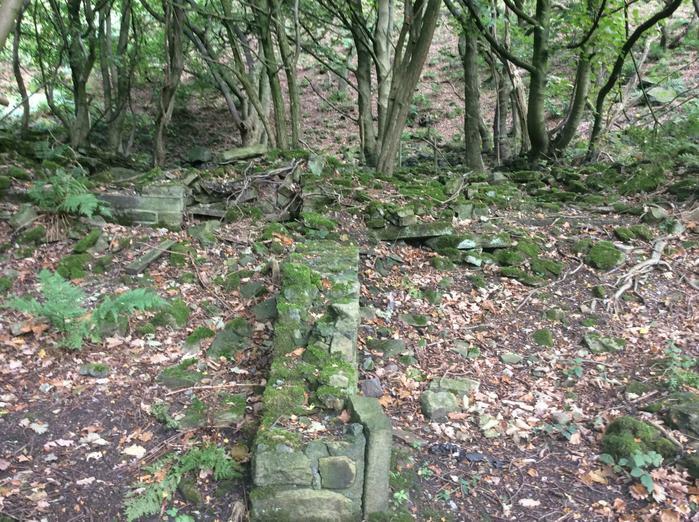 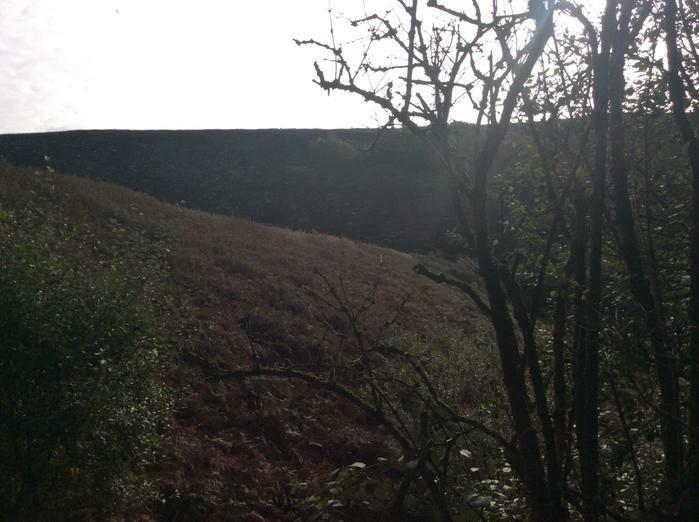 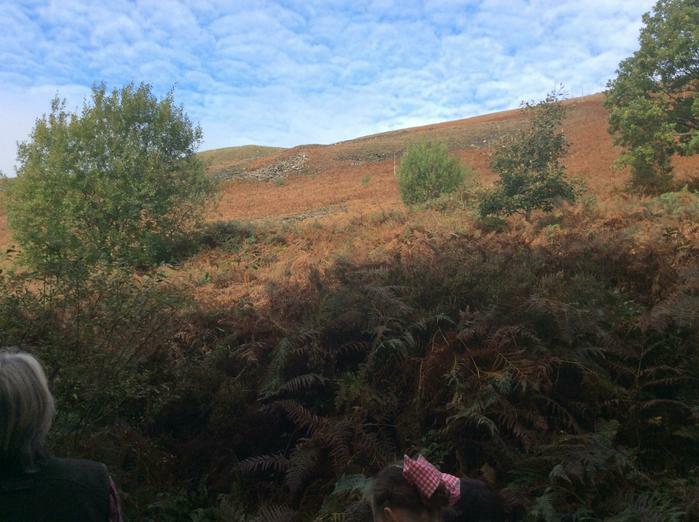 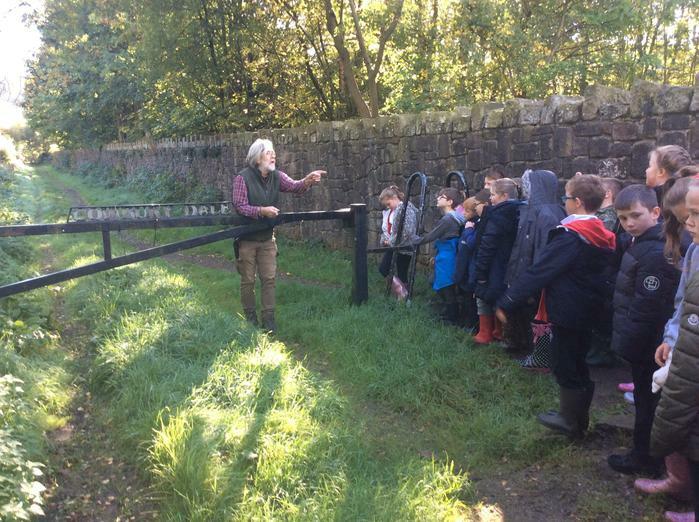 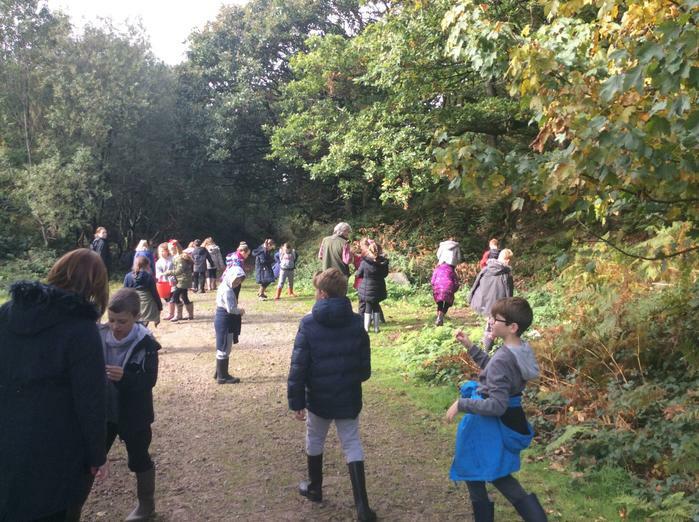 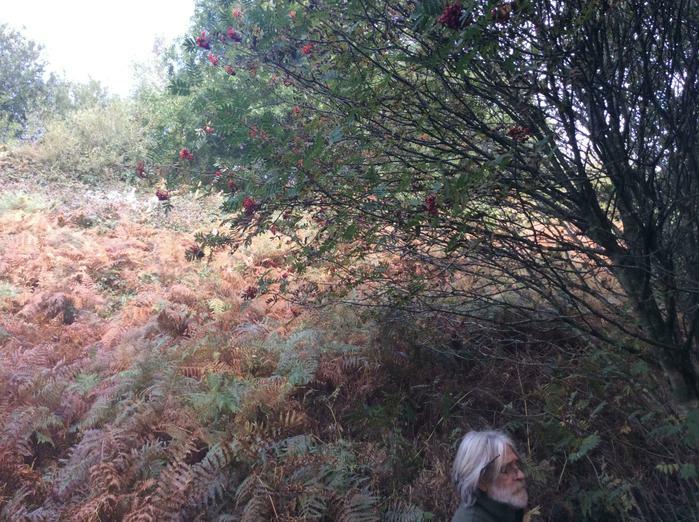 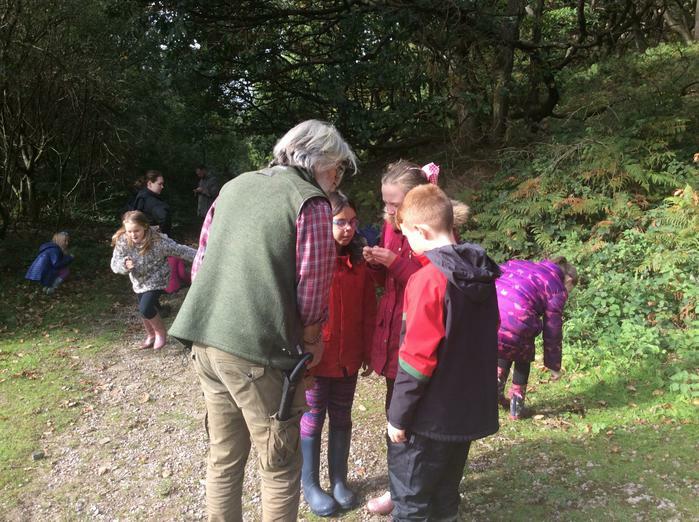 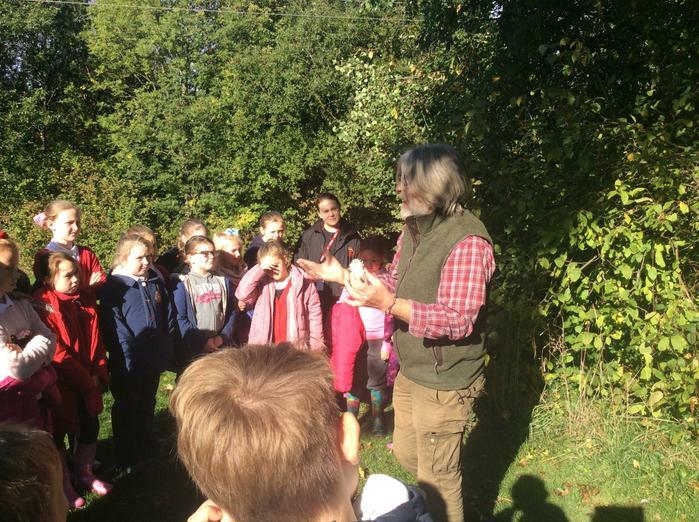 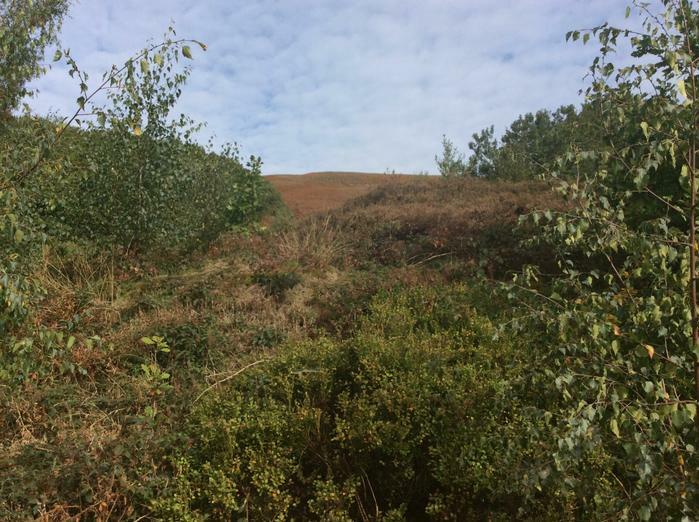 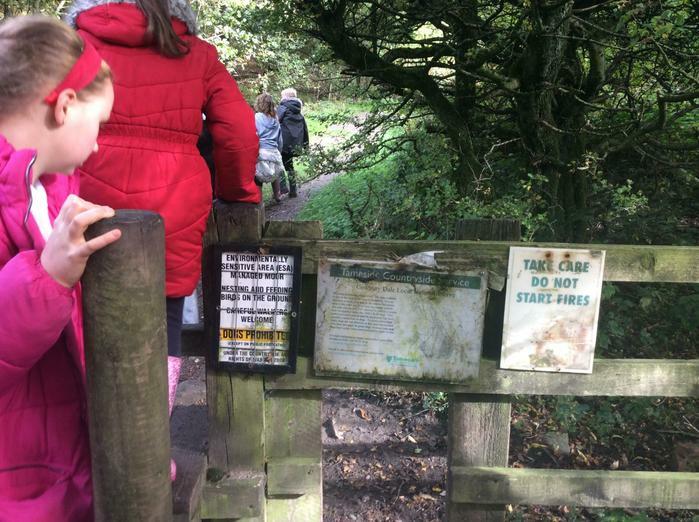 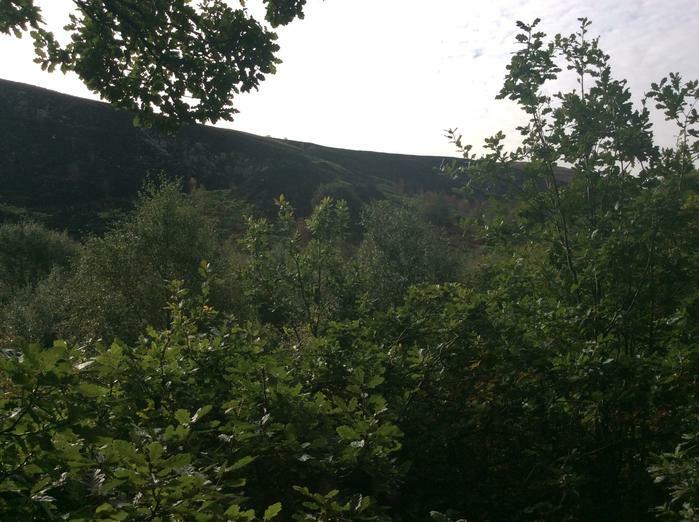 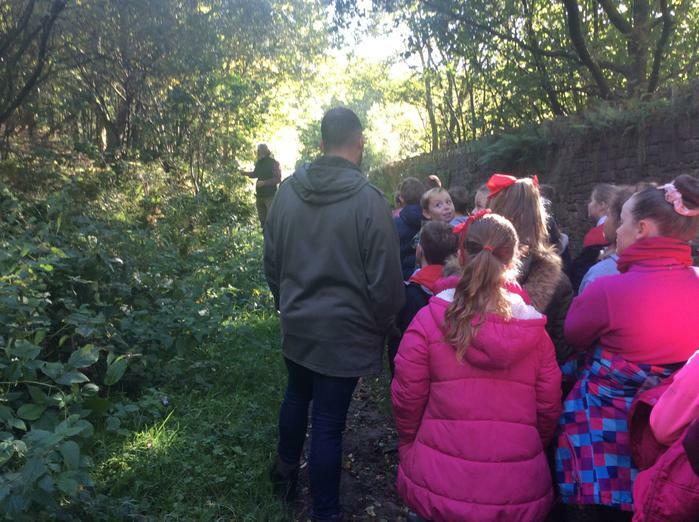 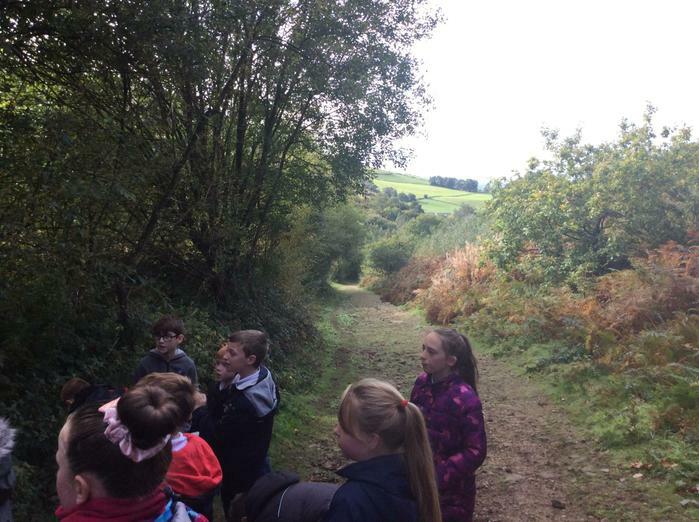 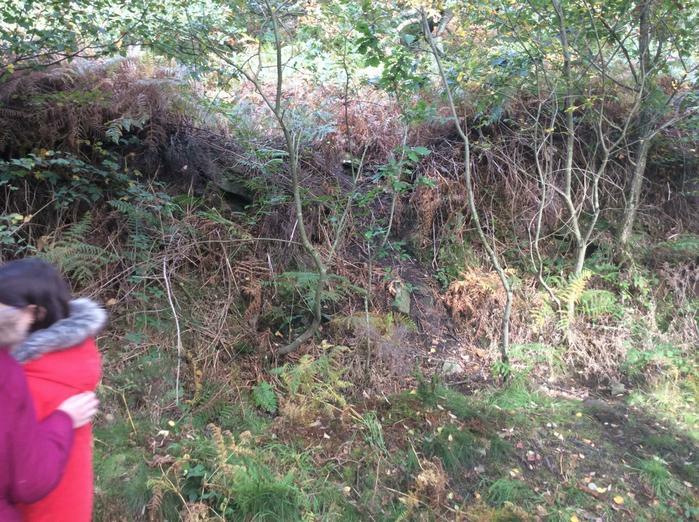 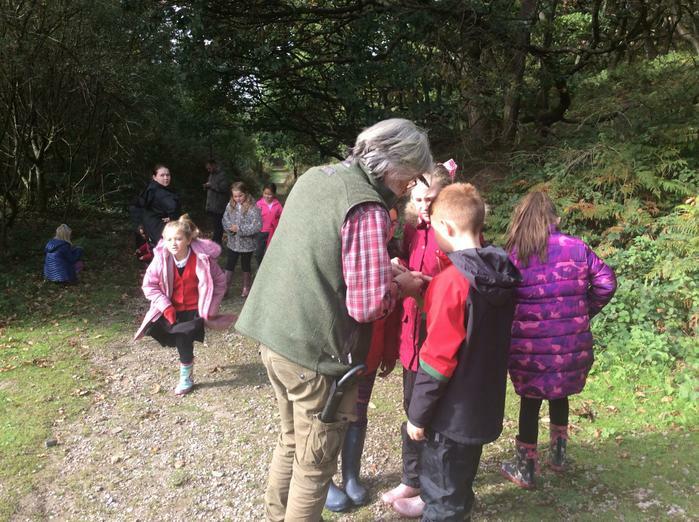 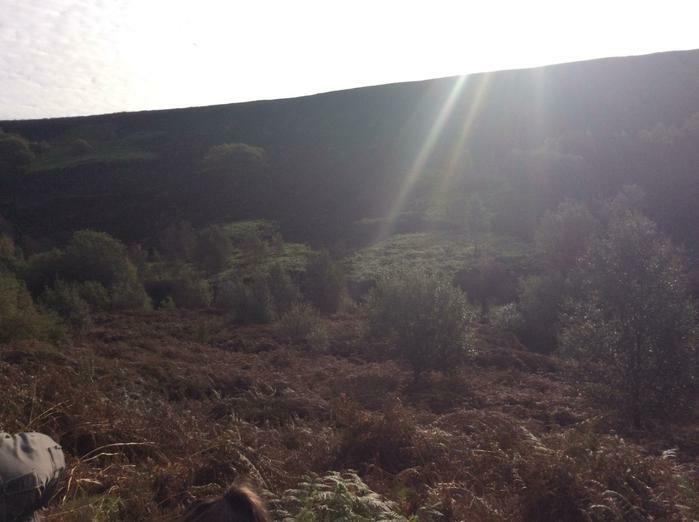 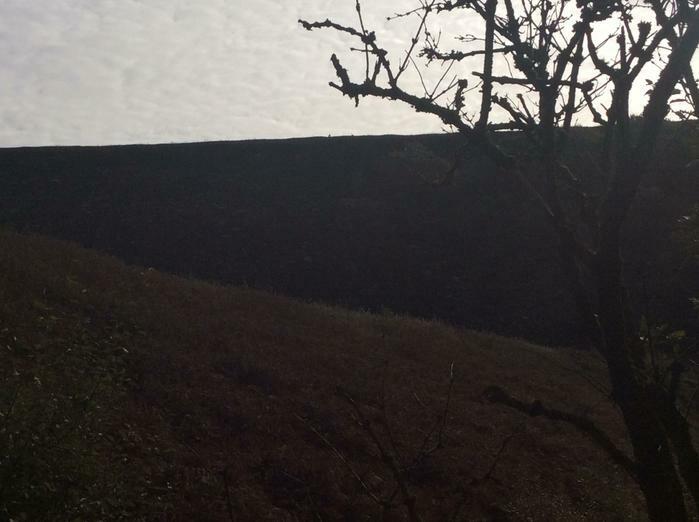 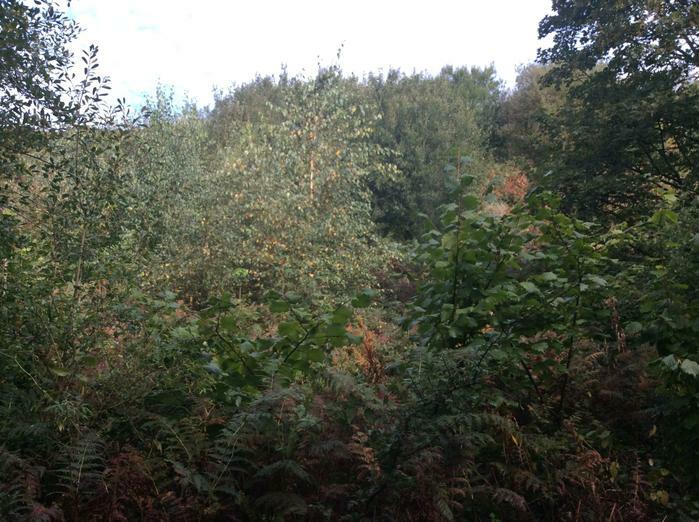 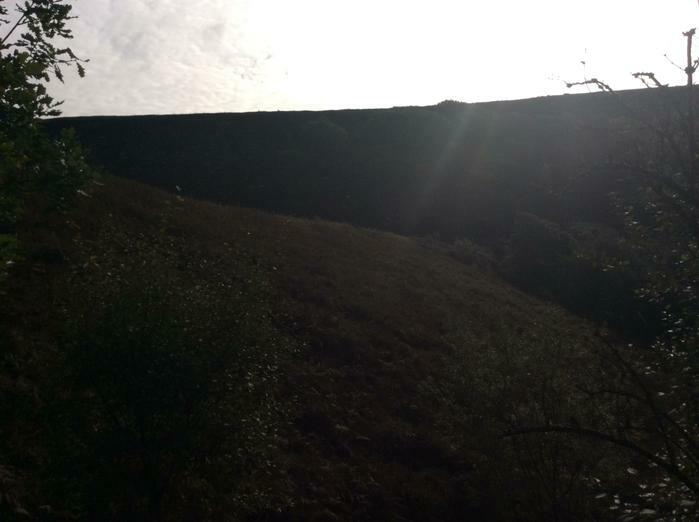 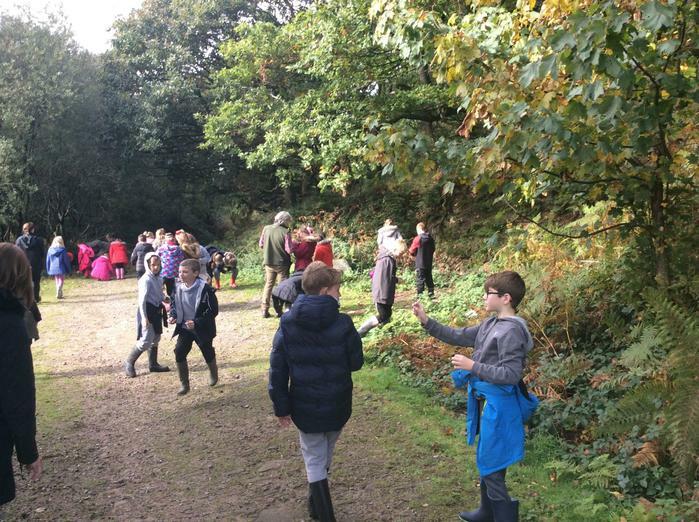 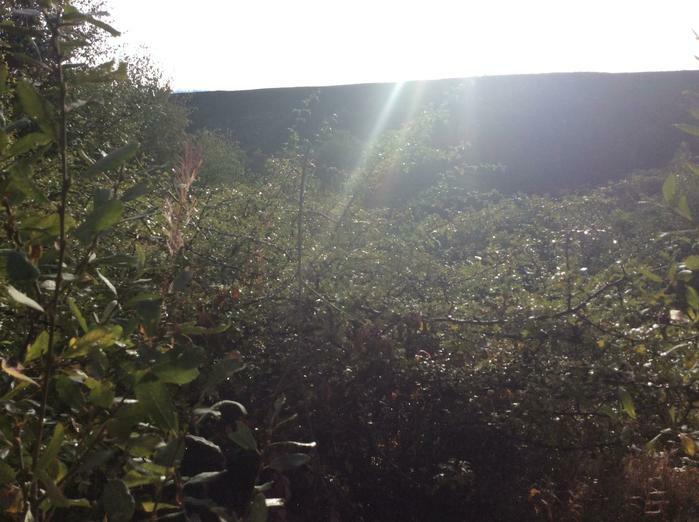 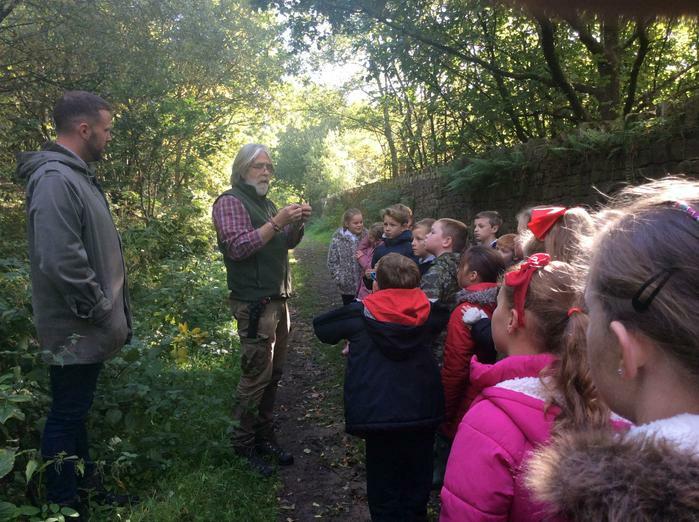 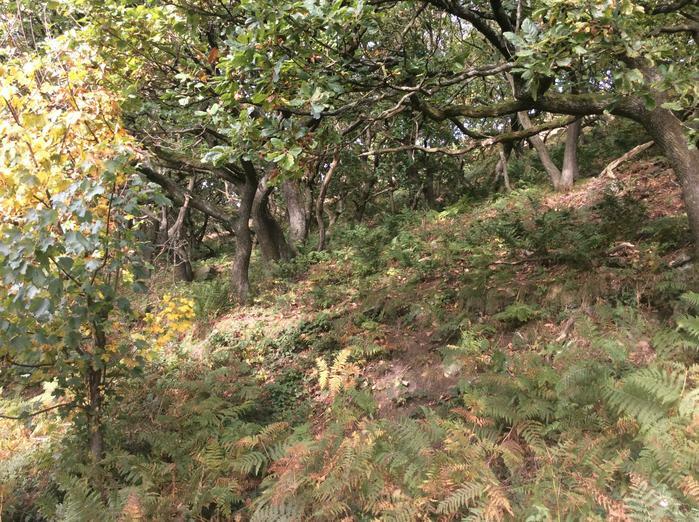 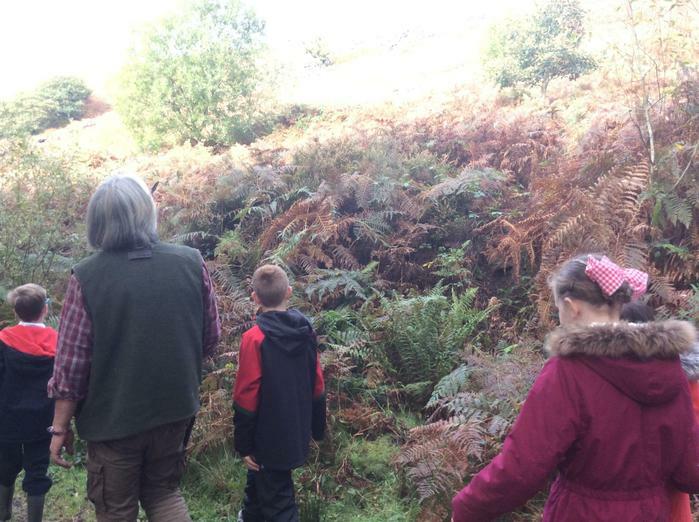 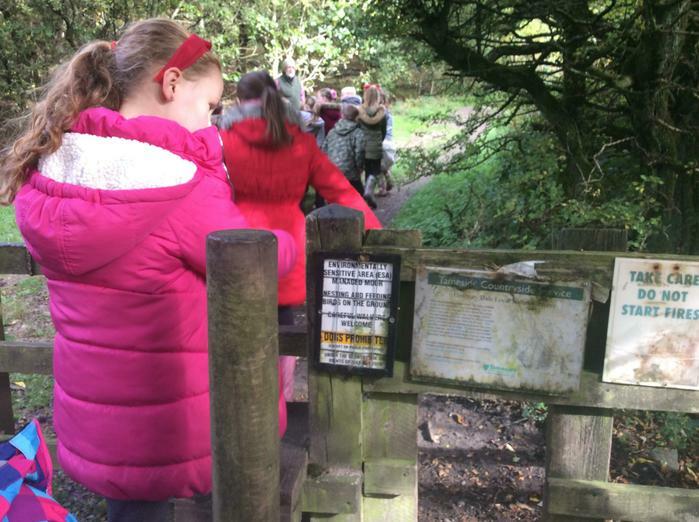 We went on a local area walk with John (Tameside countryside and green spaces warden) to have a closer look at the damage and to take part in a project to help restore the moorlands. 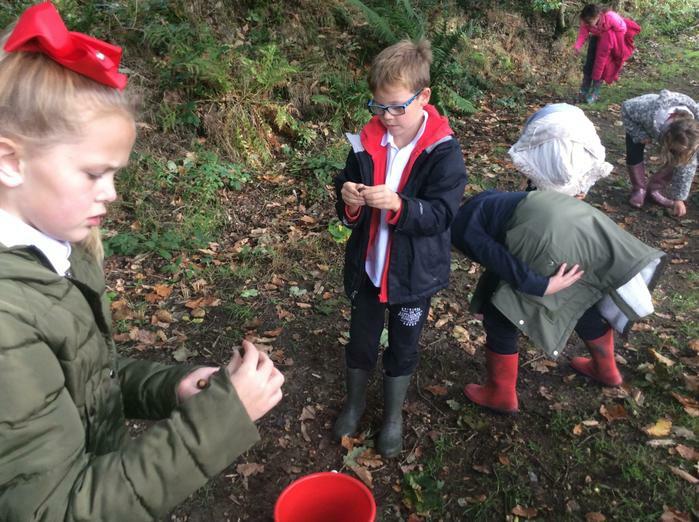 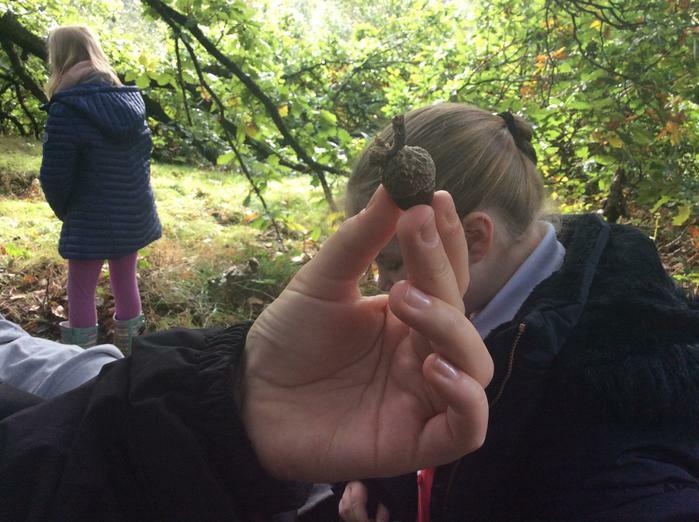 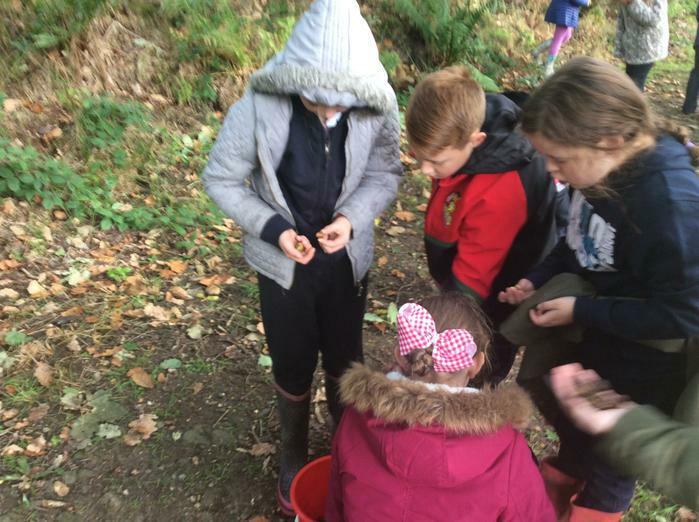 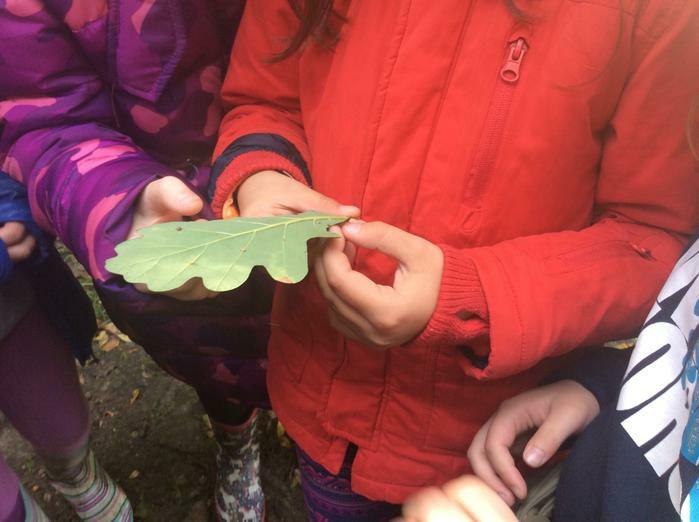 We collected lots of acorns to bring back to school and plant. 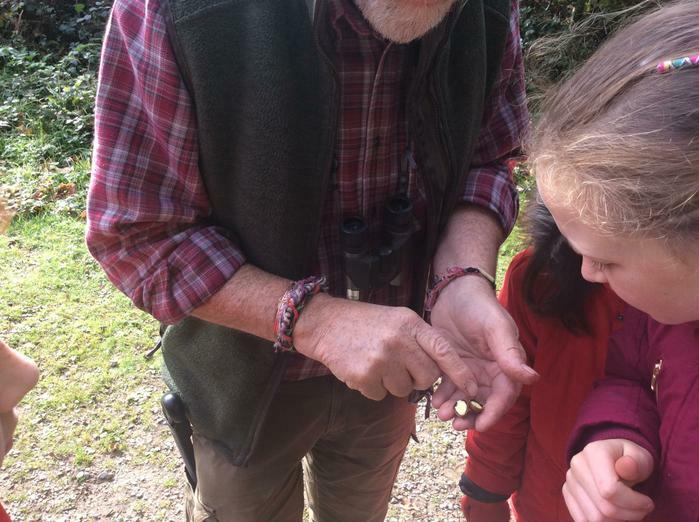 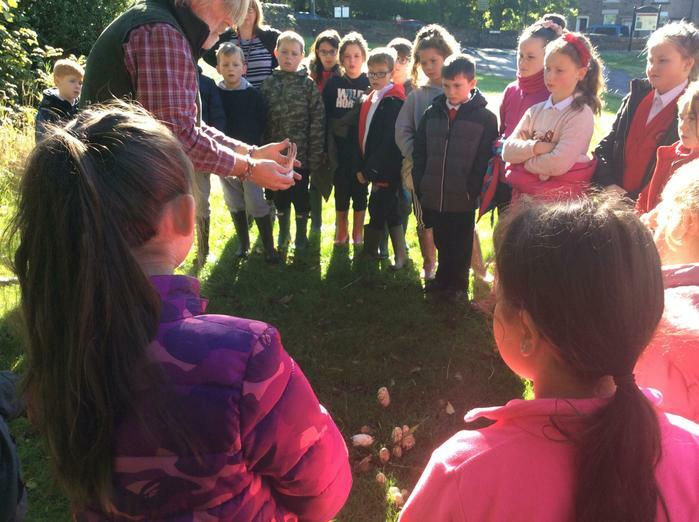 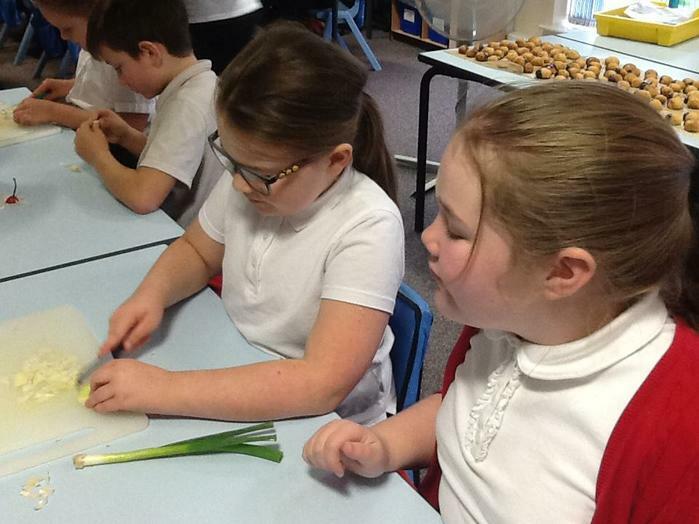 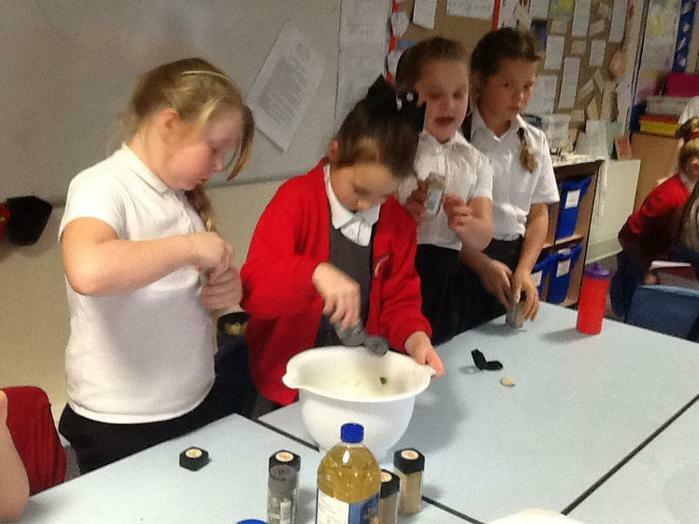 We are hoping that we can successfully grow these acorns into saplings that can then be used as part of the replanting of the moorland. 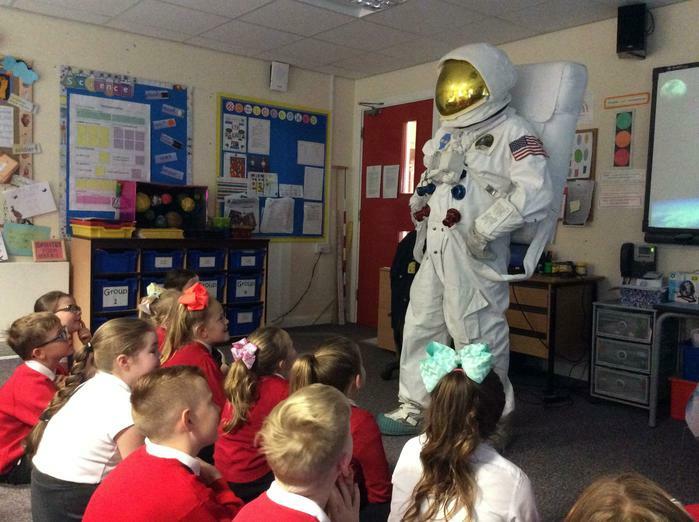 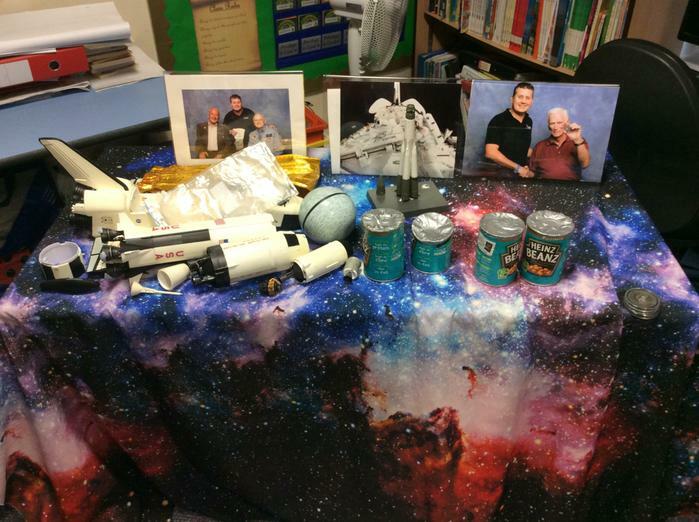 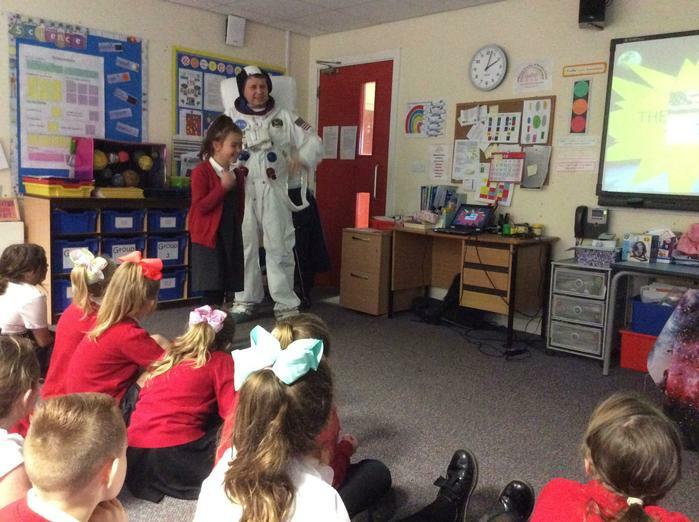 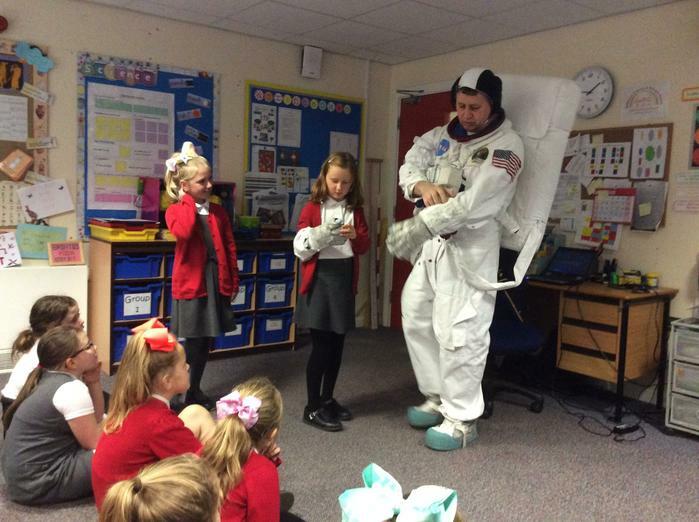 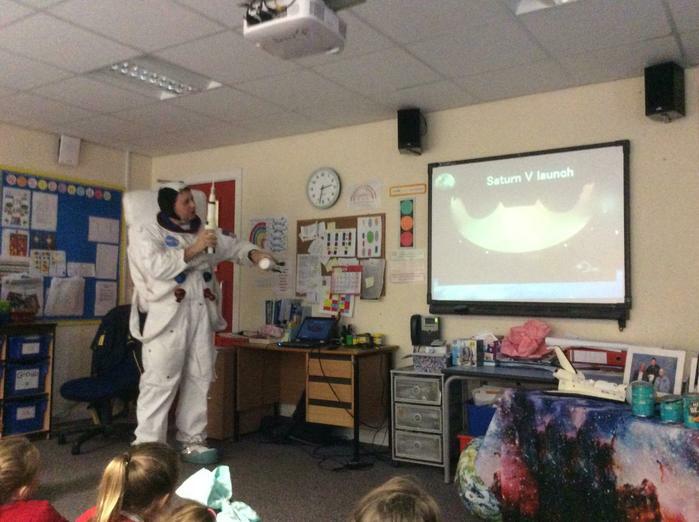 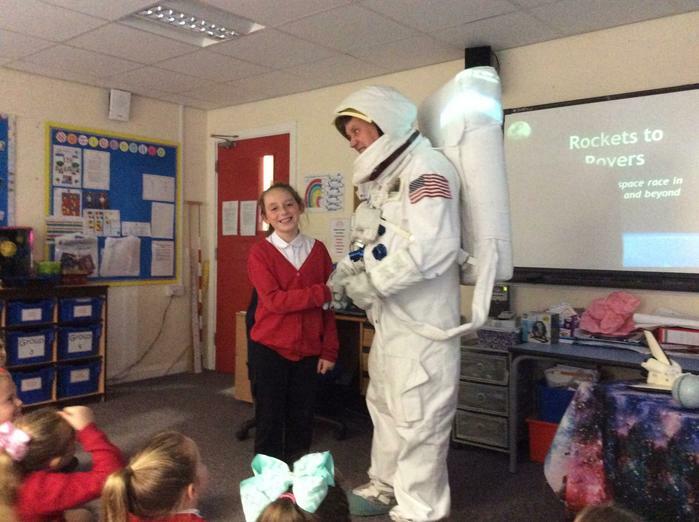 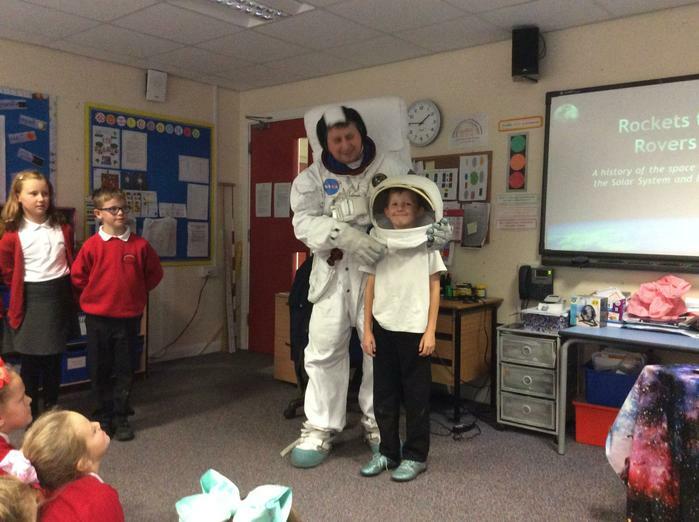 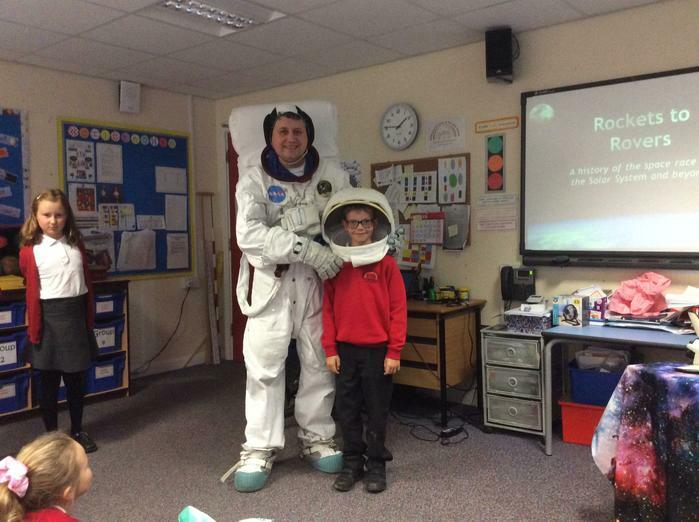 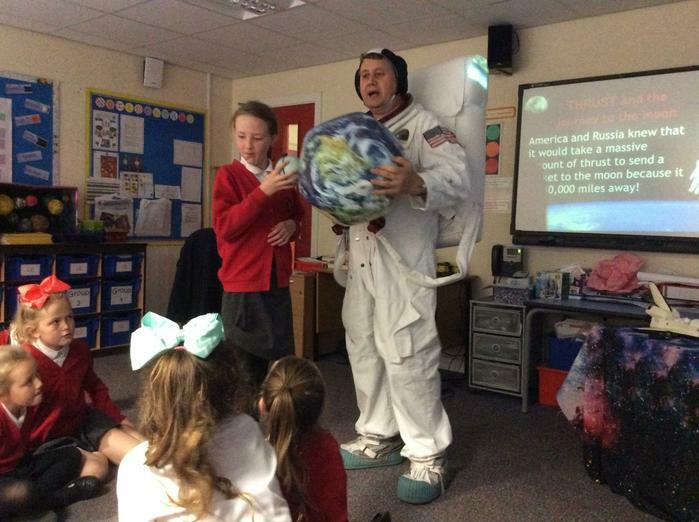 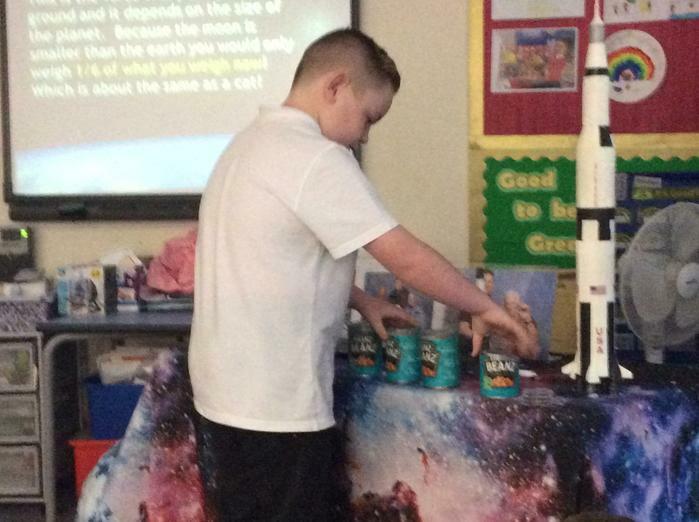 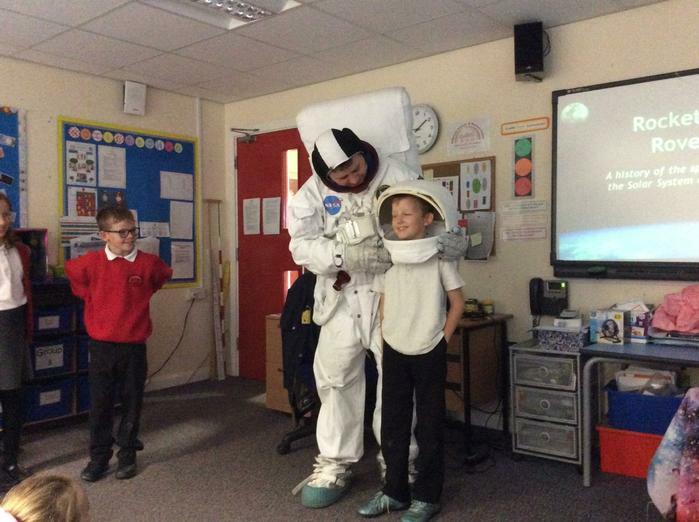 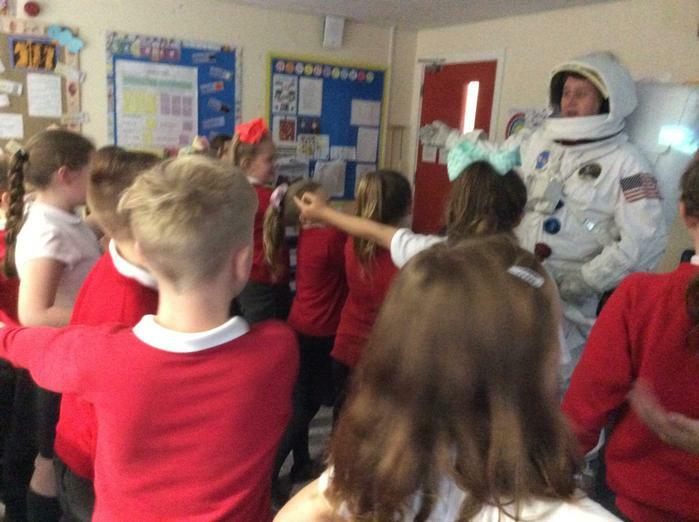 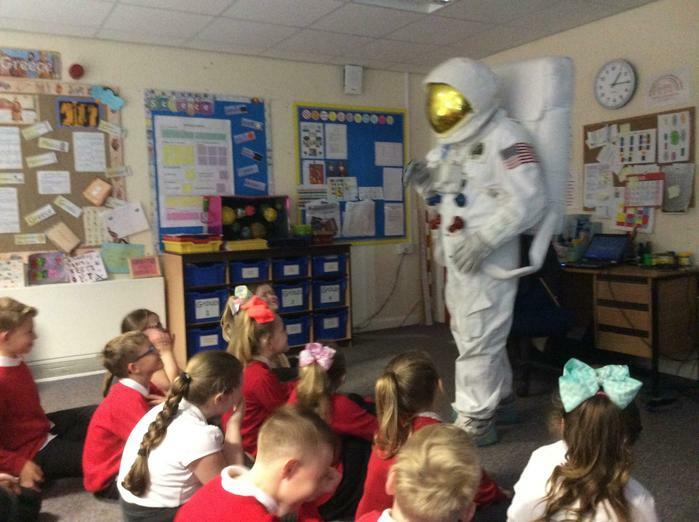 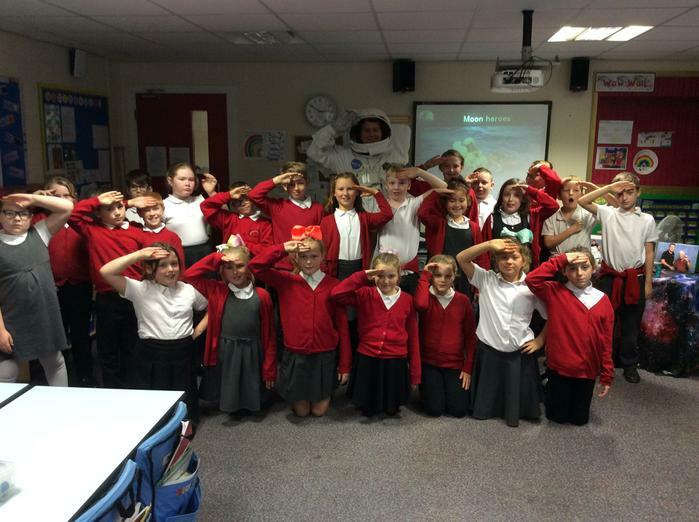 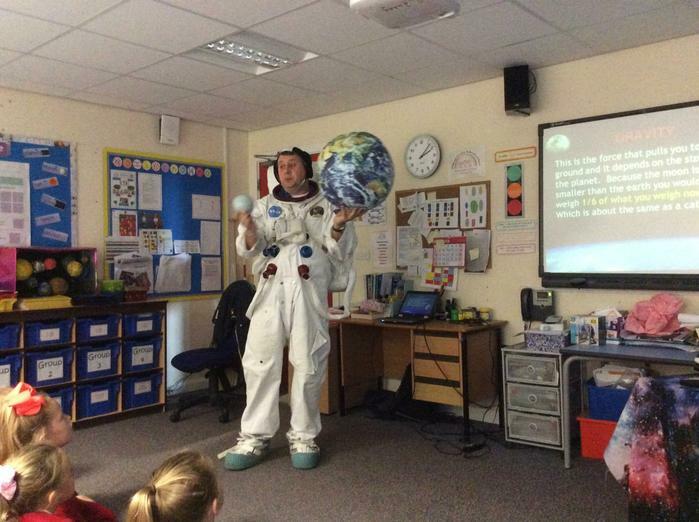 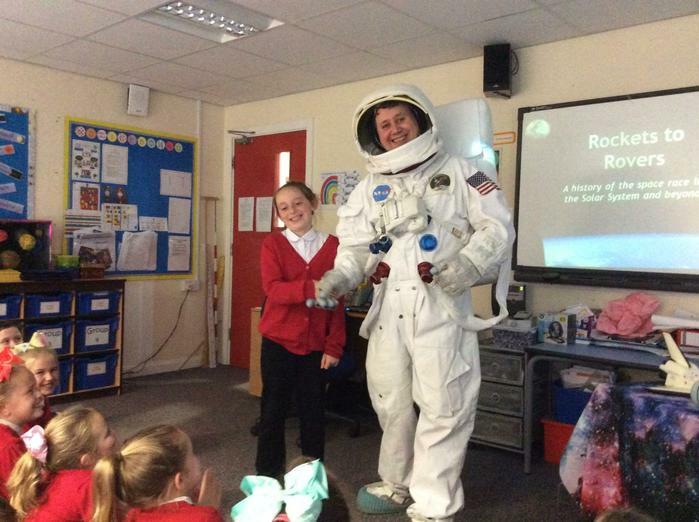 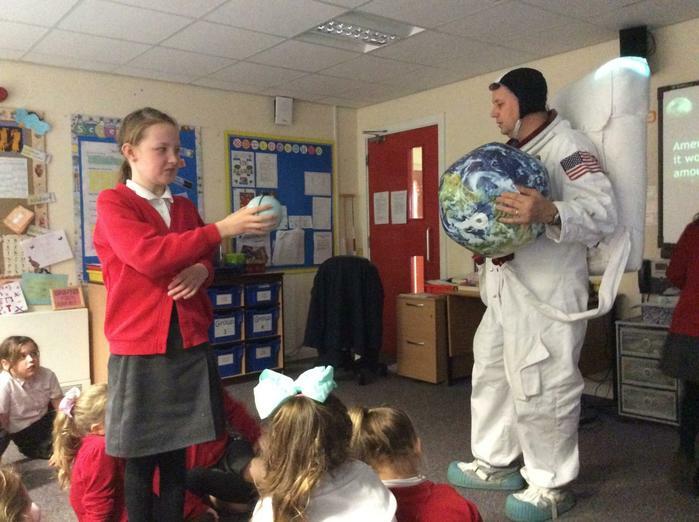 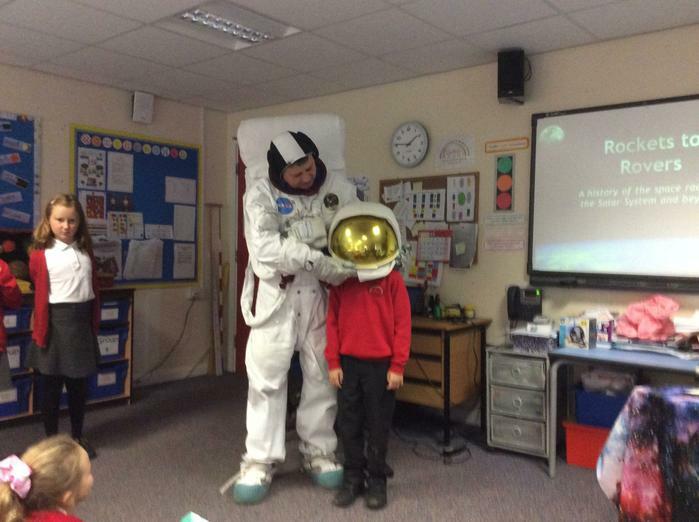 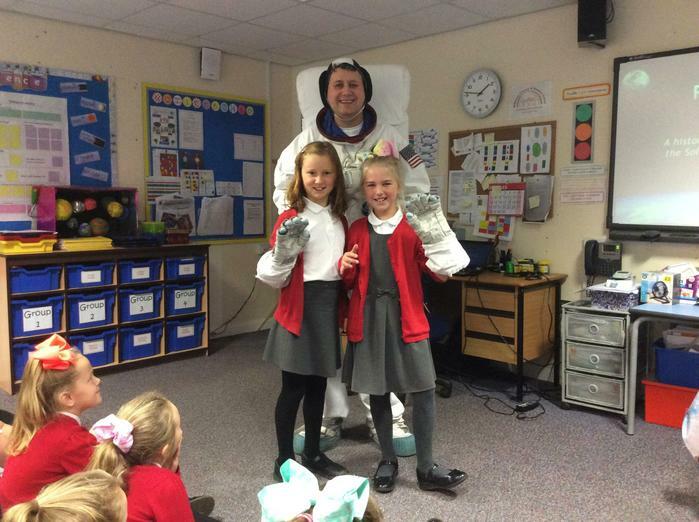 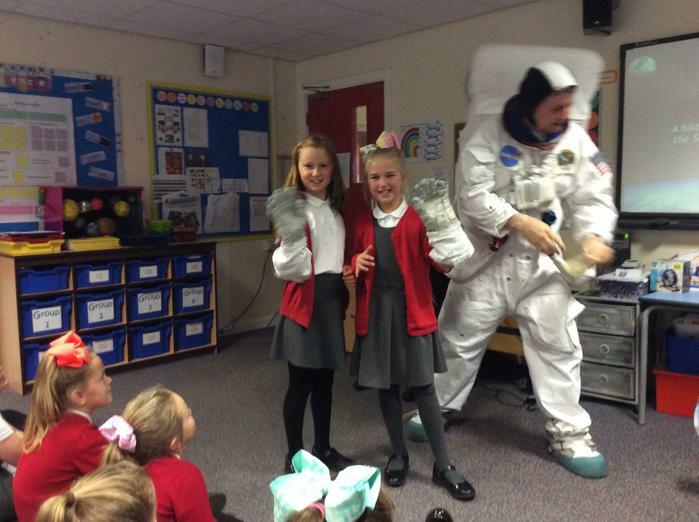 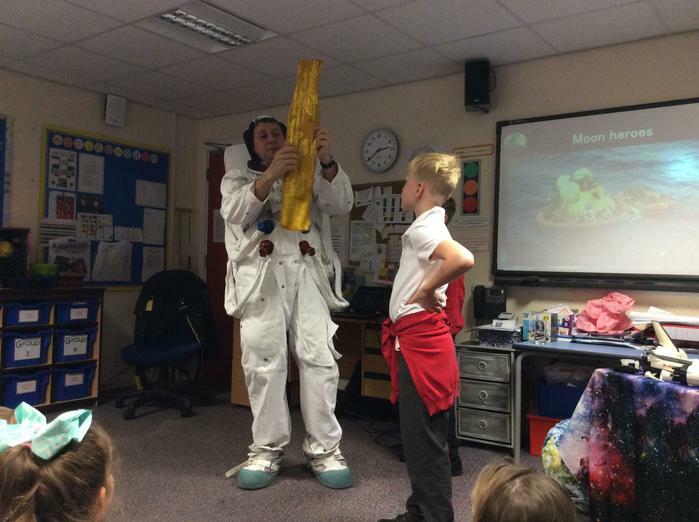 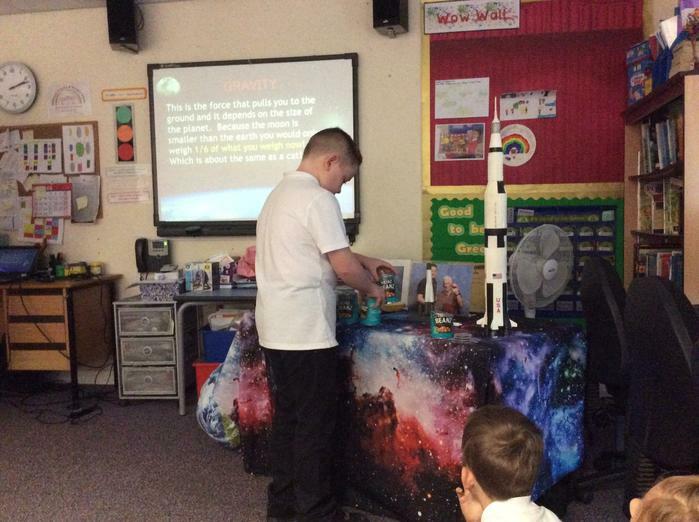 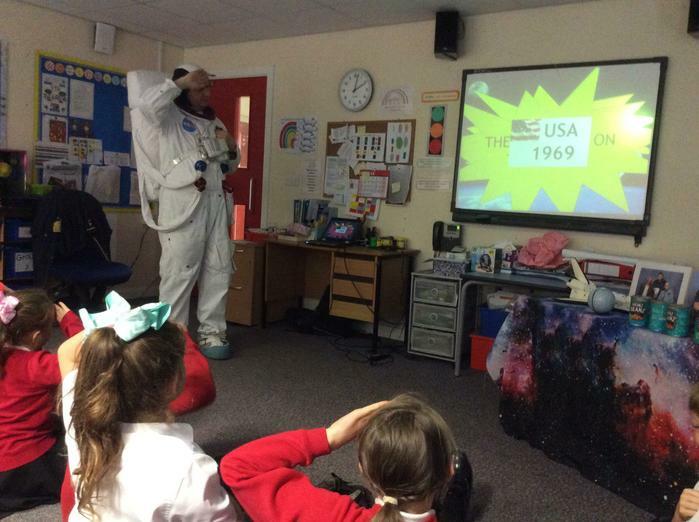 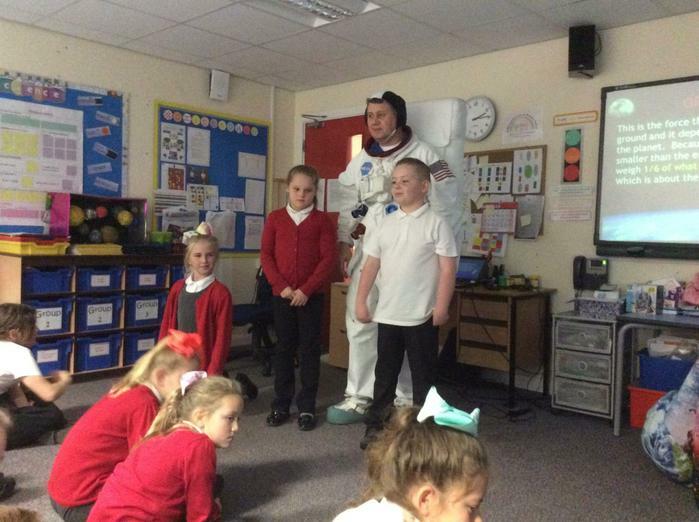 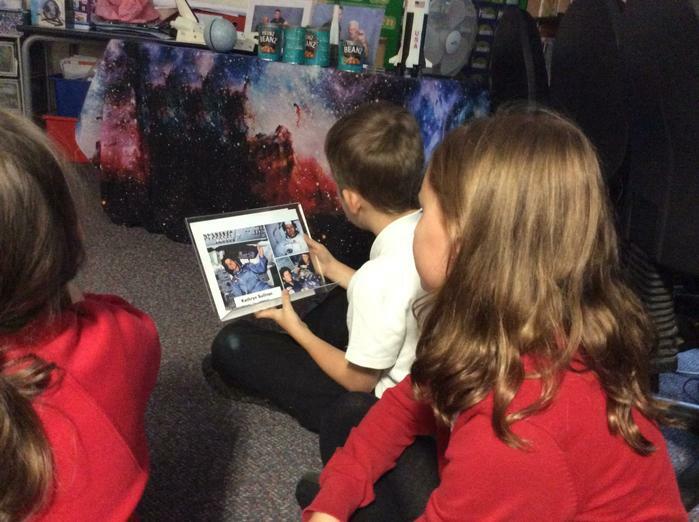 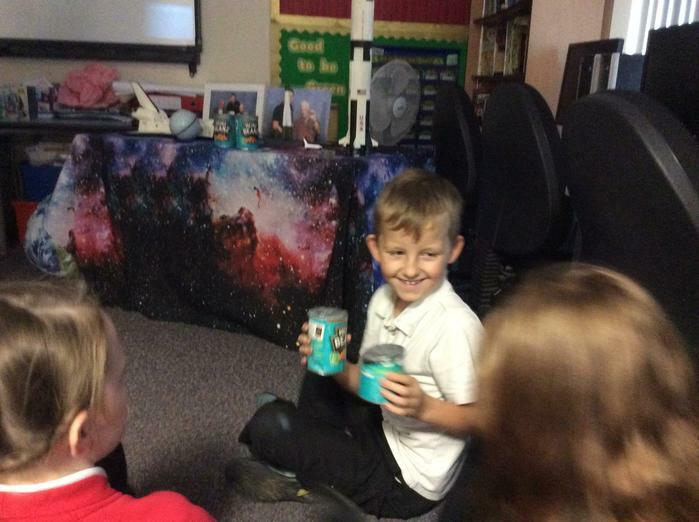 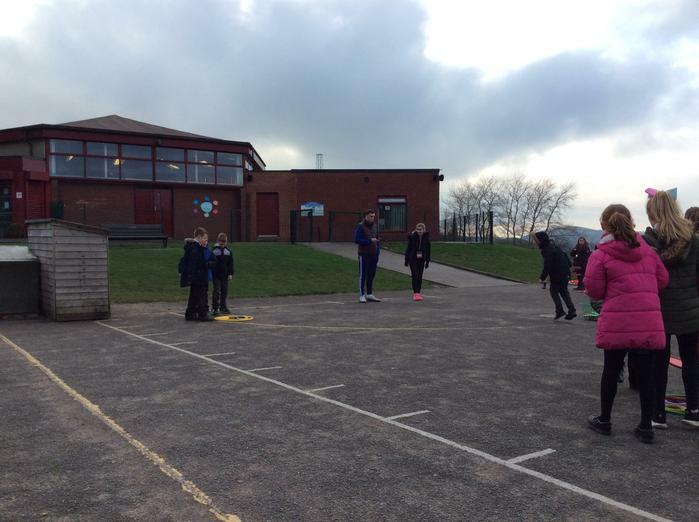 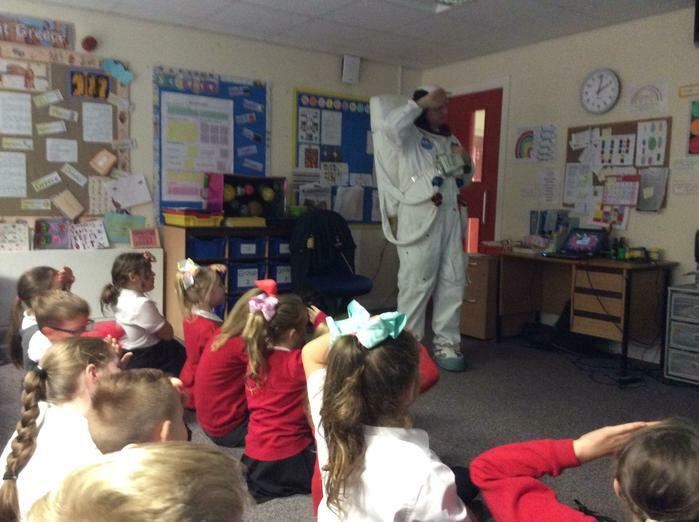 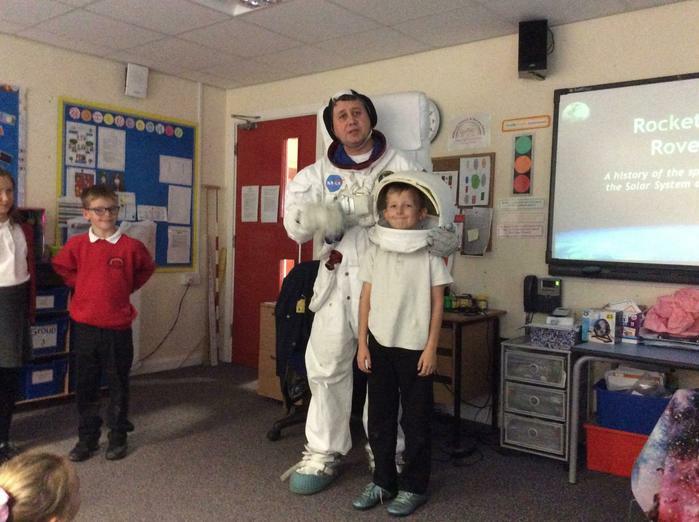 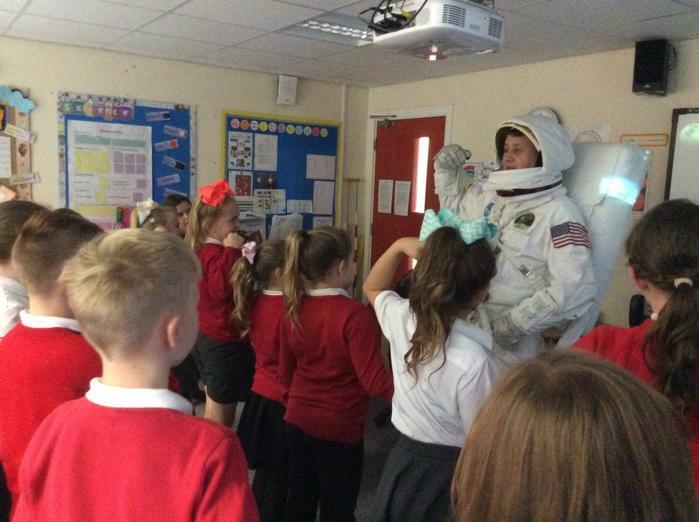 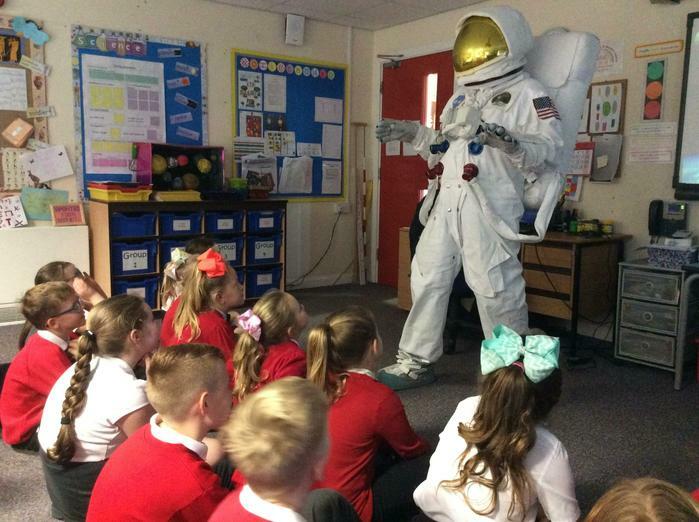 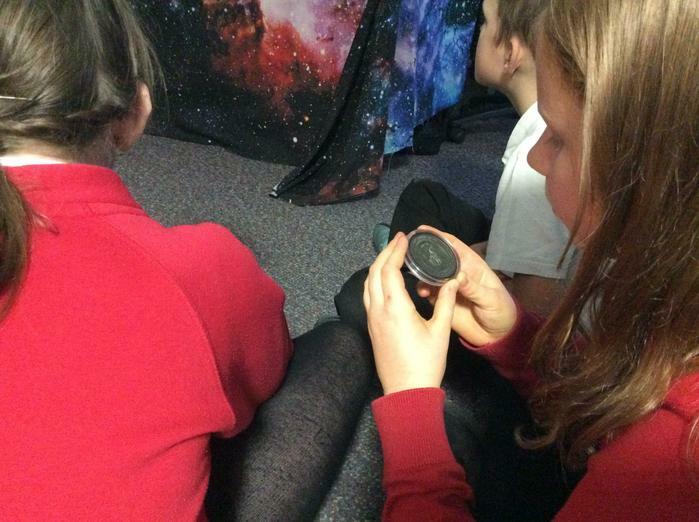 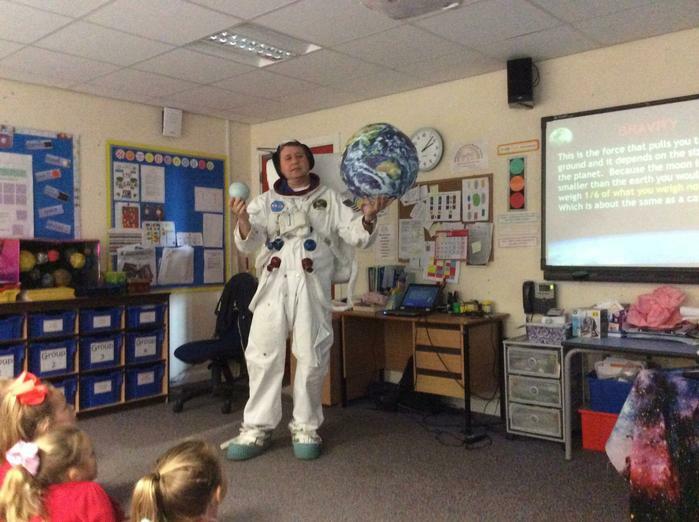 As part of our science work on earth and space, we had a visit from Mr B the spaceman. 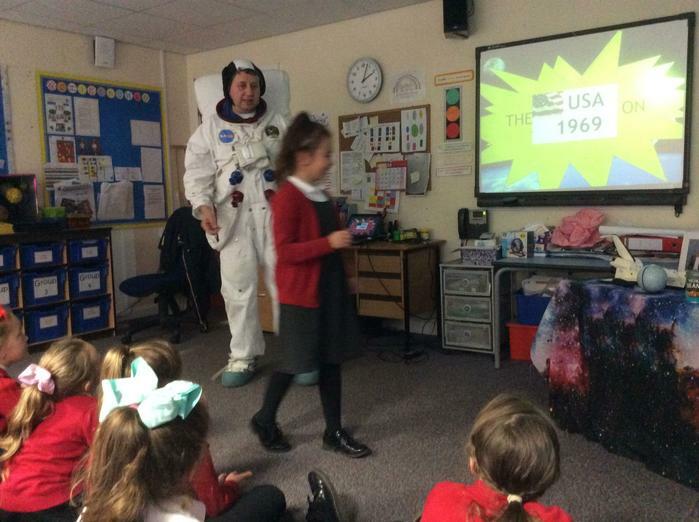 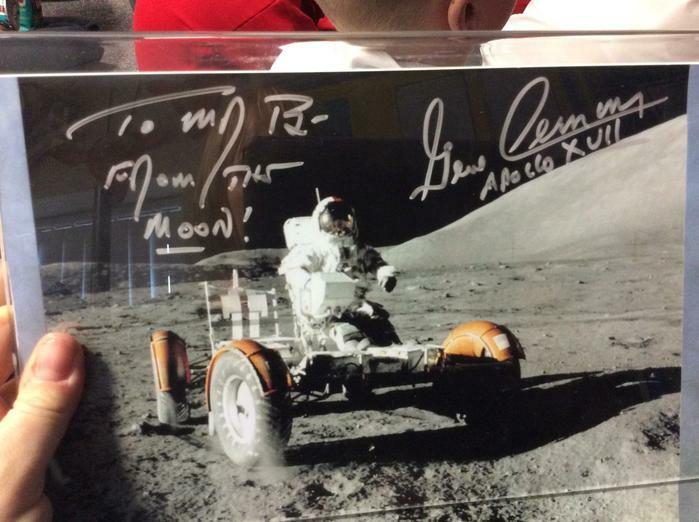 He talked to us about his replica space suit (a copy of the suits used by the NASA astronauts who were part the Apollo missions) and the space race between America and Russia. 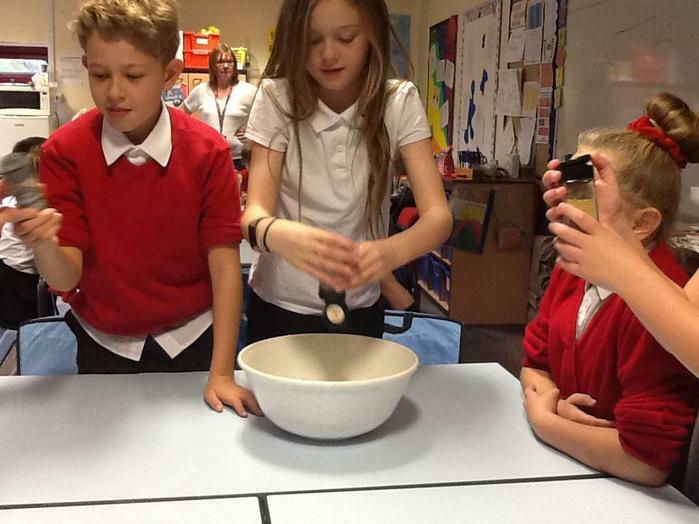 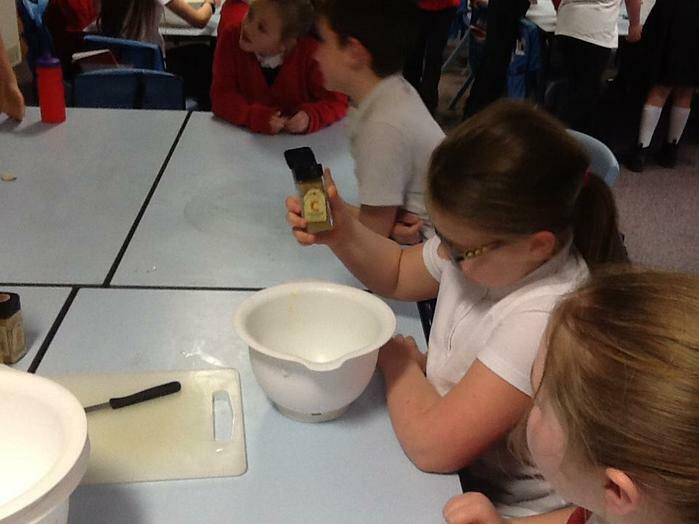 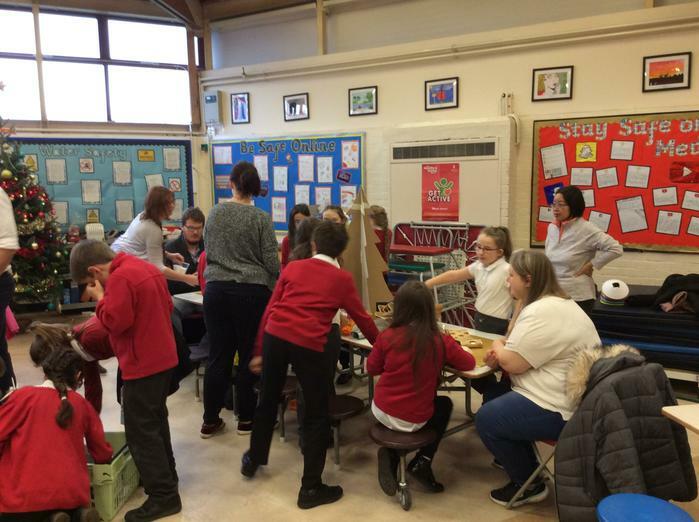 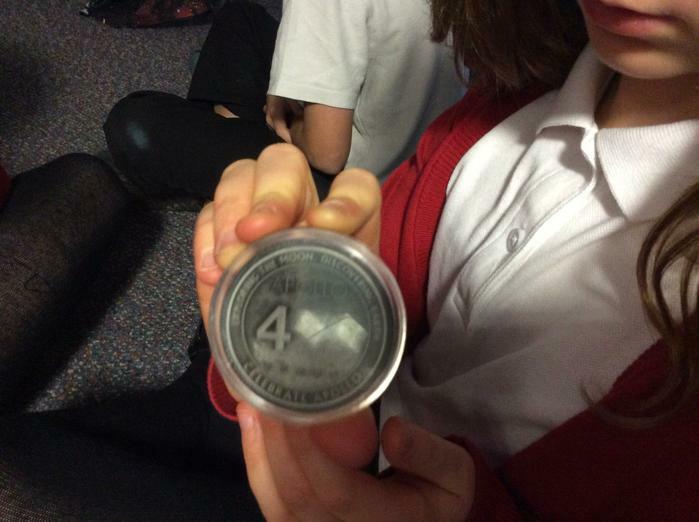 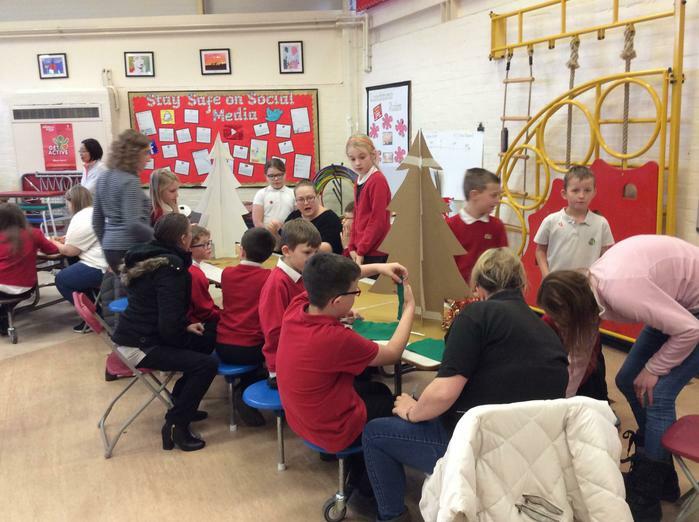 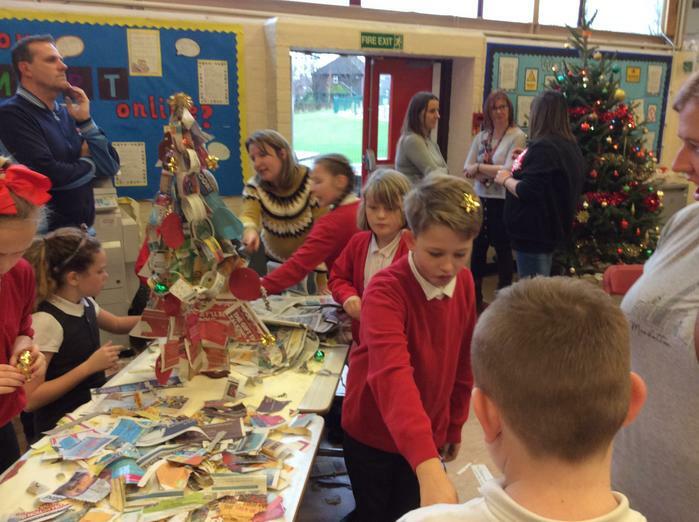 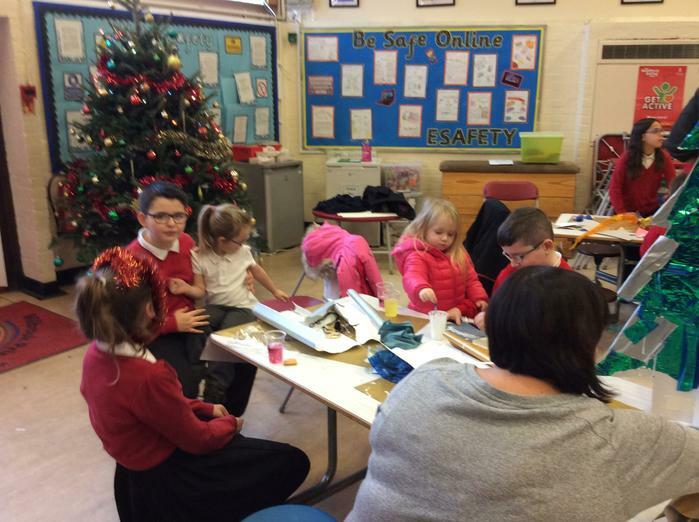 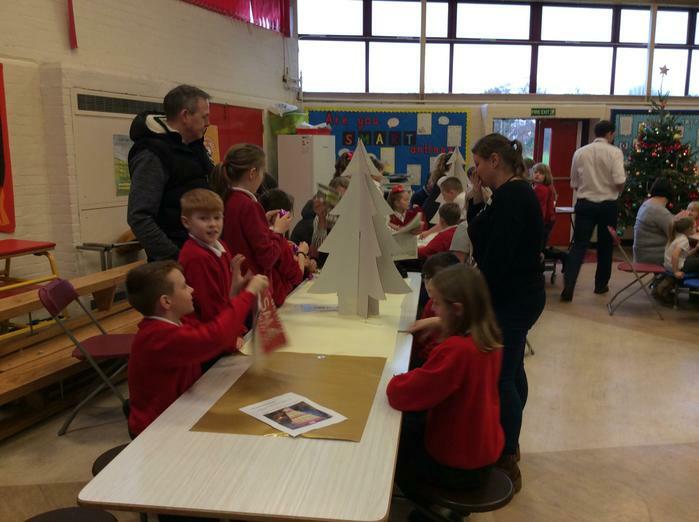 We took part in some workshops and got to look at some cool artefacts. 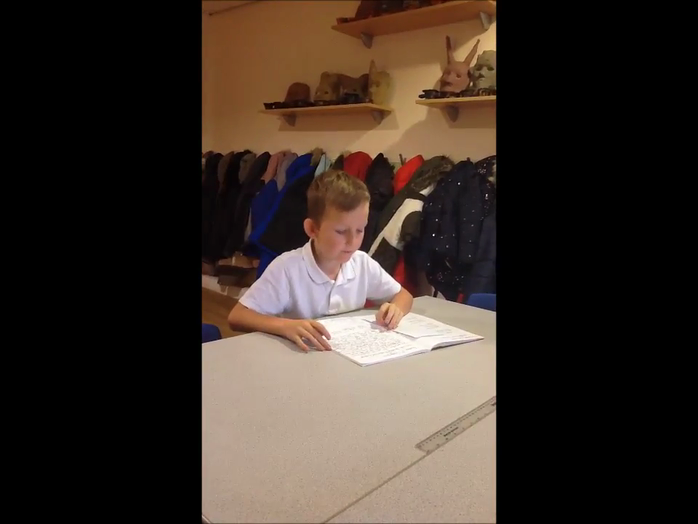 Year 5 have written some of their own Ancient Greek Myths. 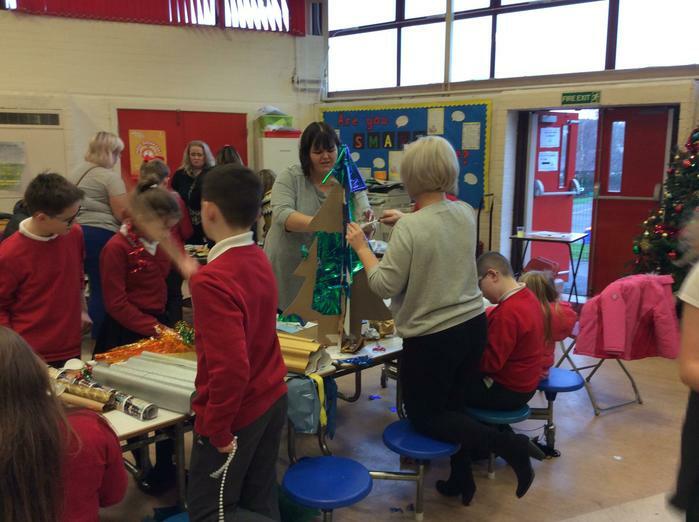 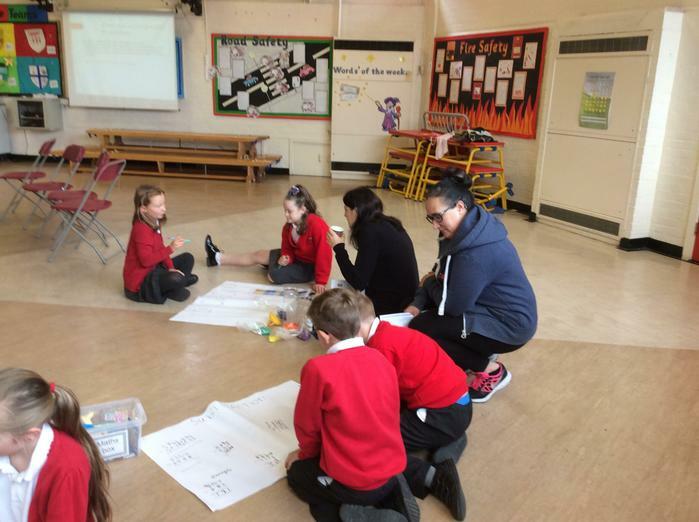 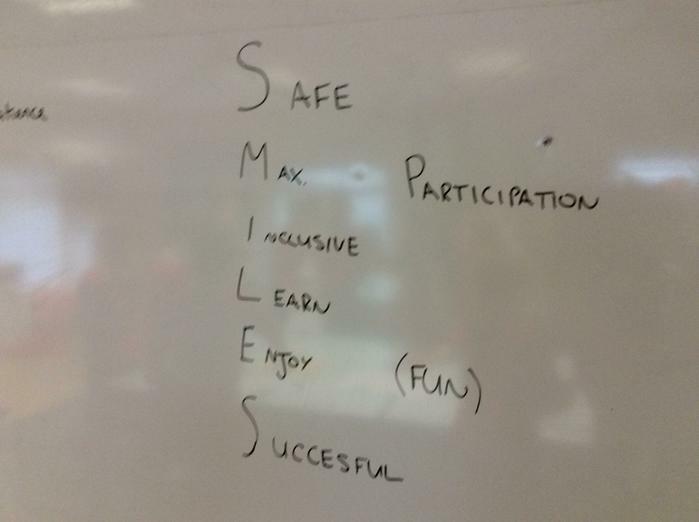 As part of our safety week activities, we had an assembly and class workshop with Sue and Angie from the NSPCC. 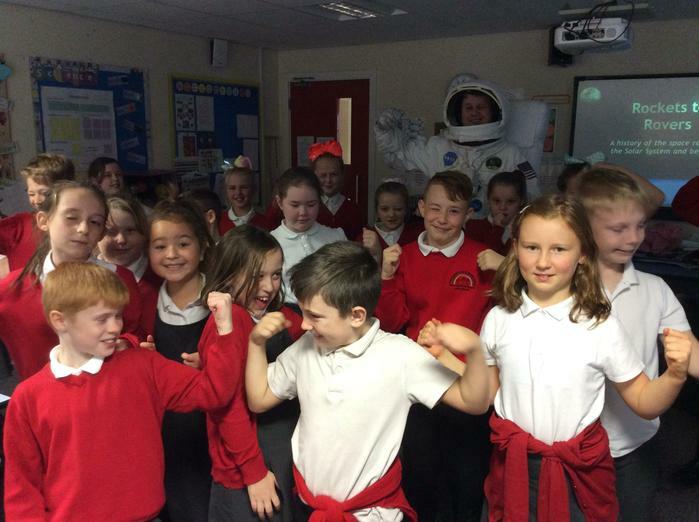 They brought their mascot, Buddy the speech bubble, to tell us all about how to speak out and stay safe. 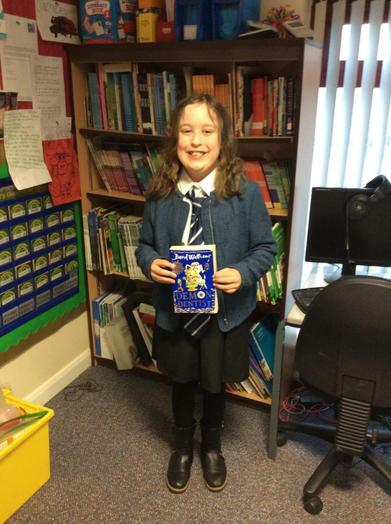 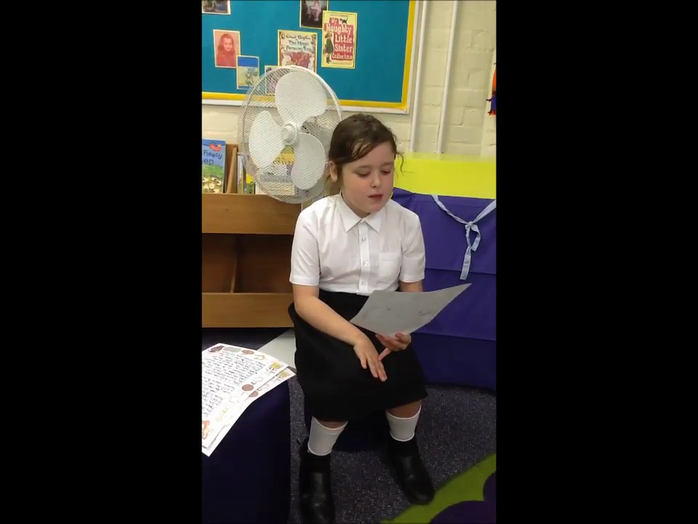 As part of our English work we have read the story 'The Lost Happy Endings' by Carol Anne Duffy. 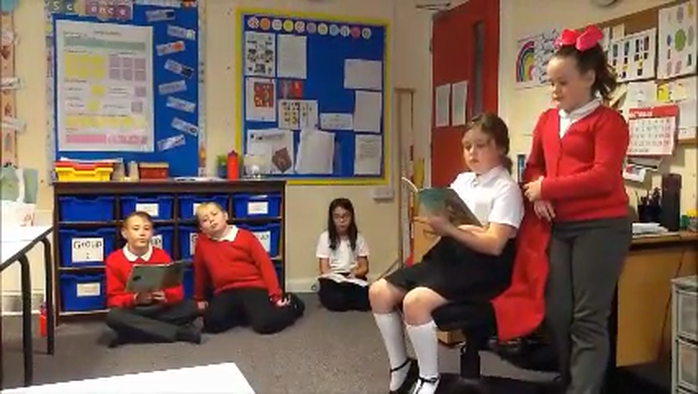 We did some hot seating of the characters (Jub and the witch) and then acted out a favourite scene from the story. 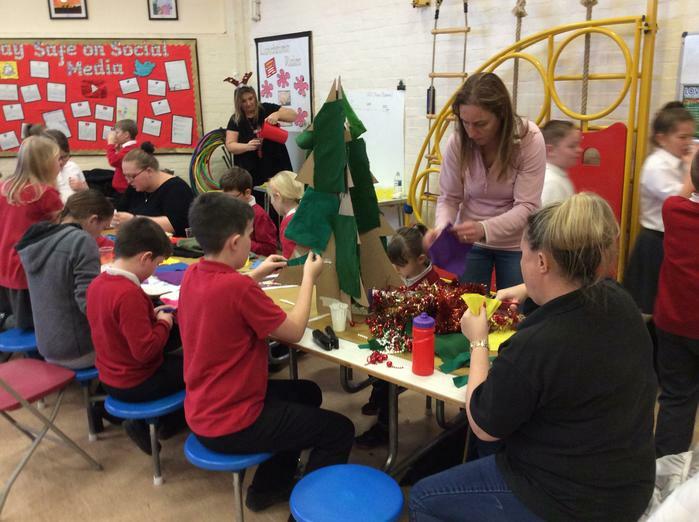 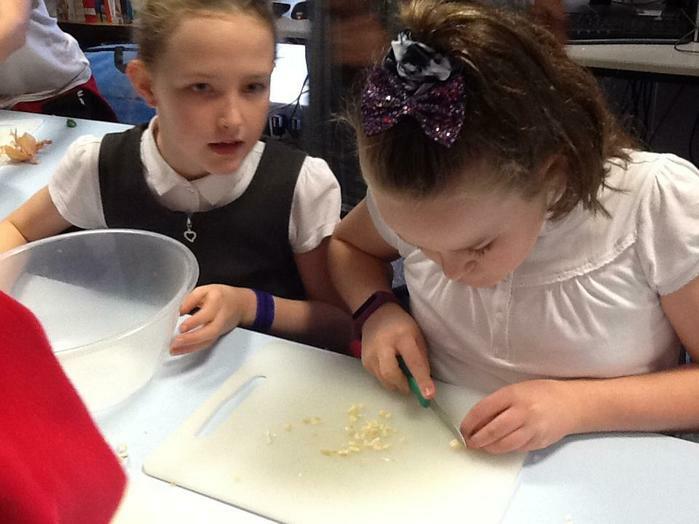 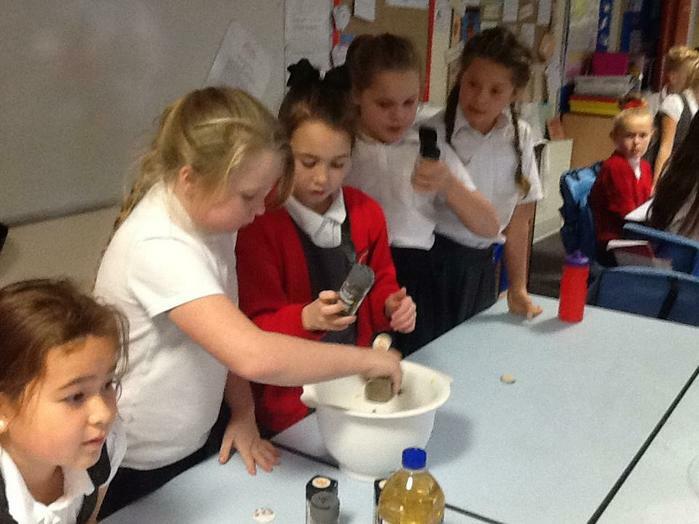 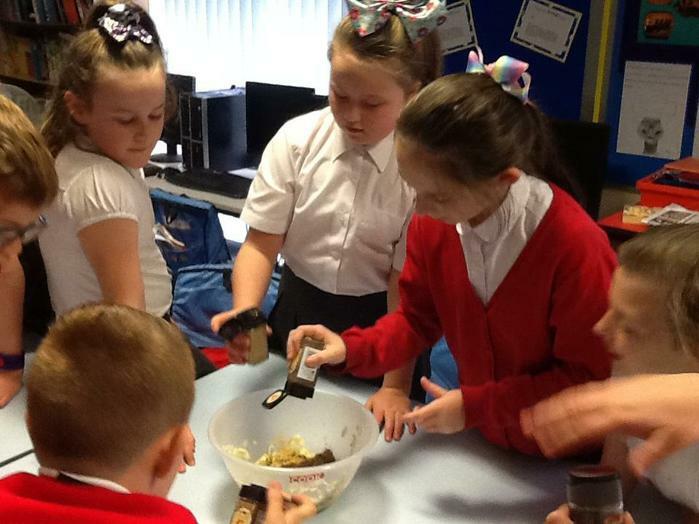 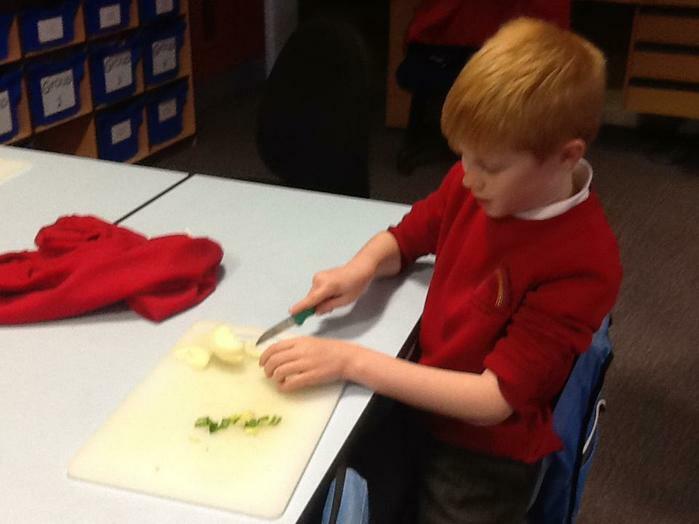 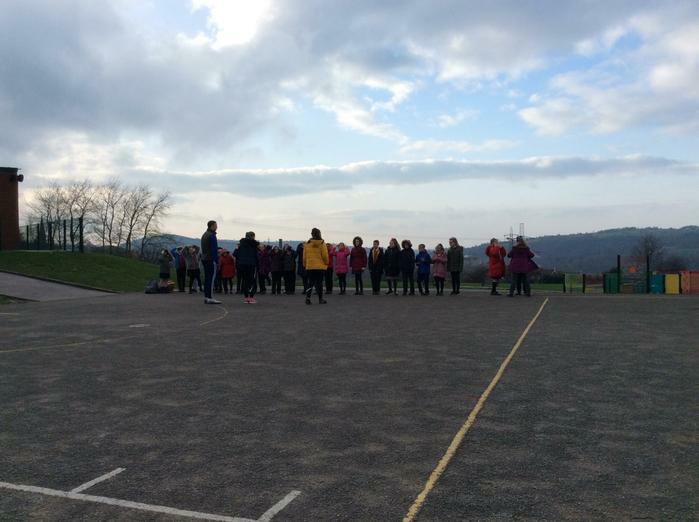 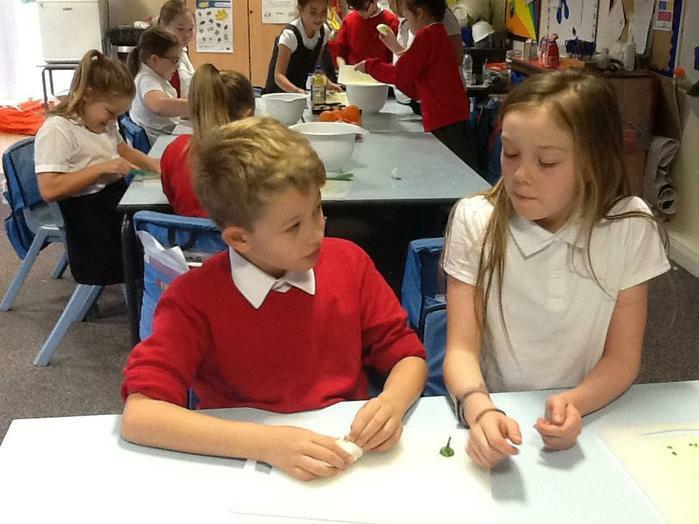 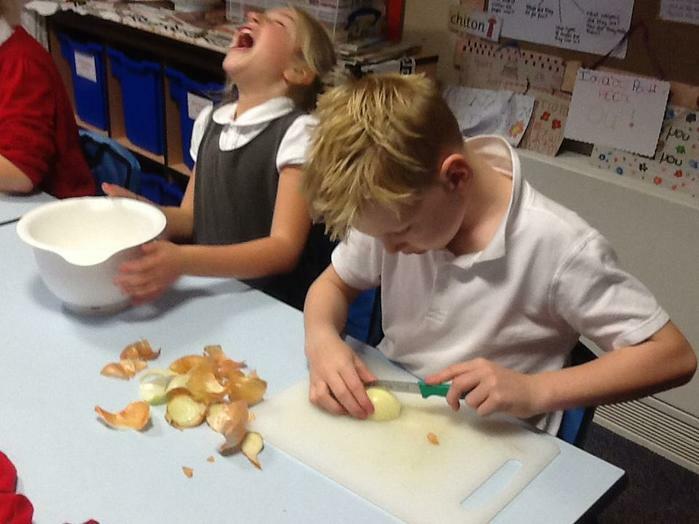 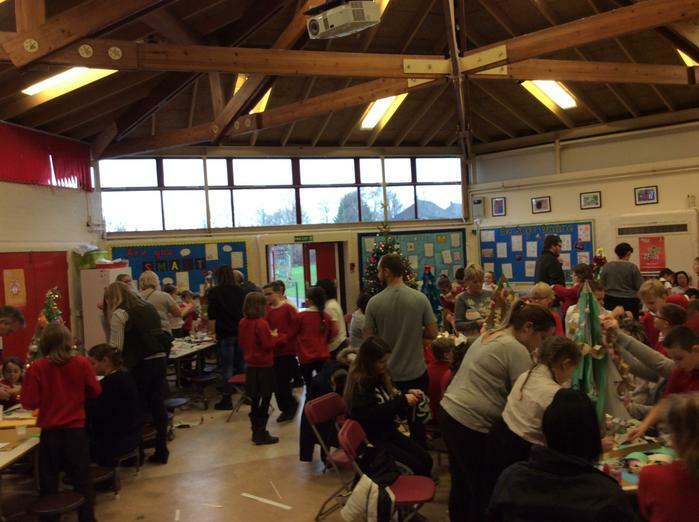 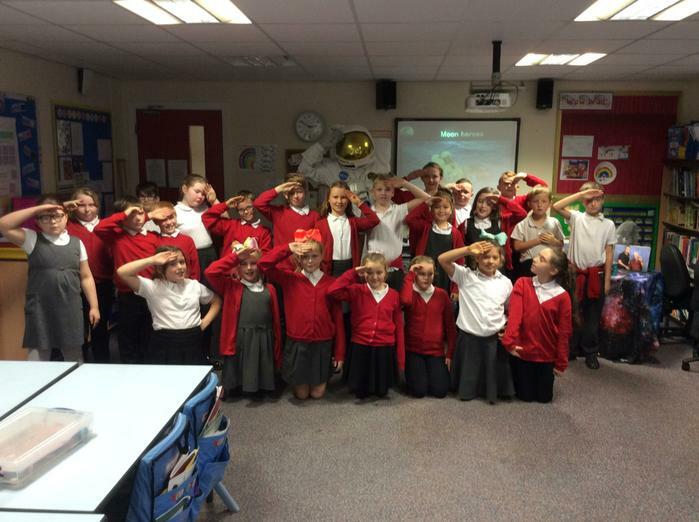 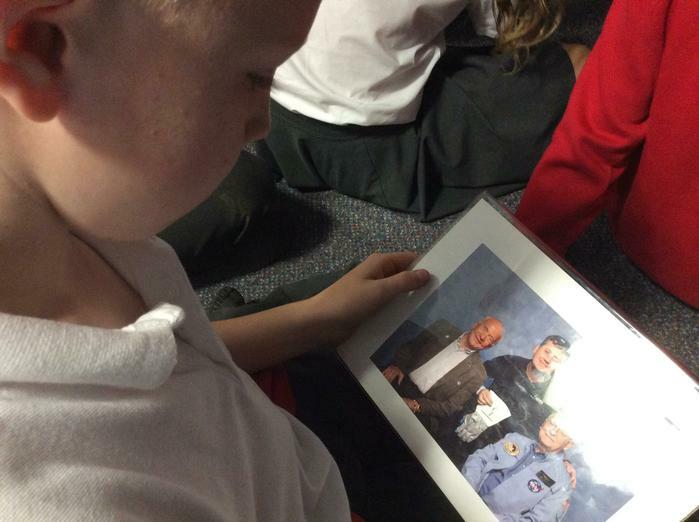 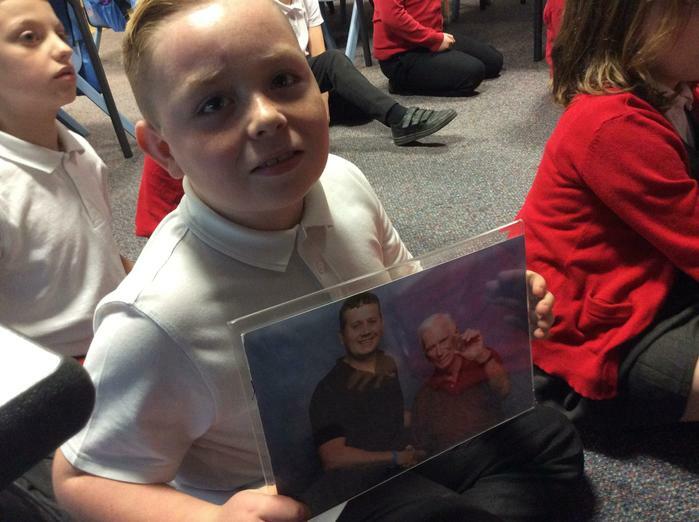 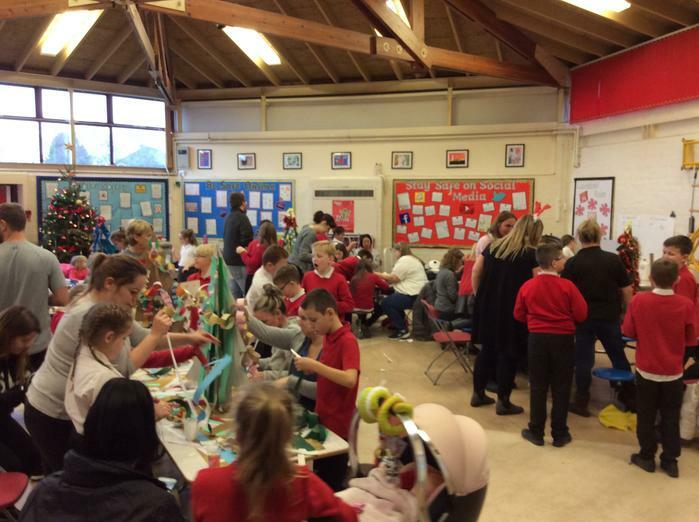 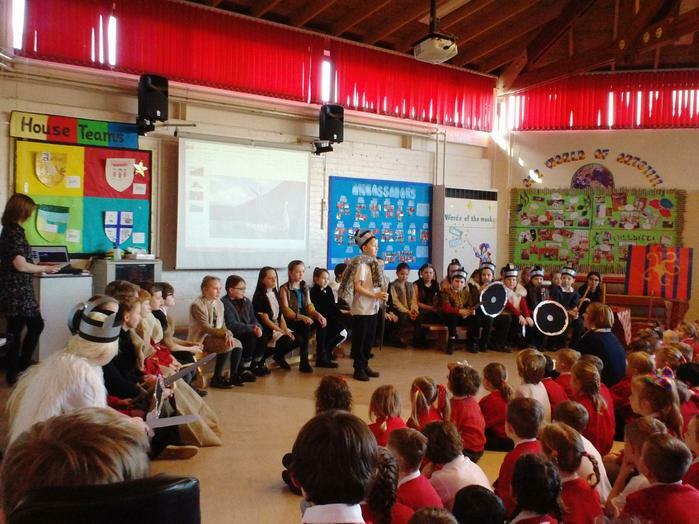 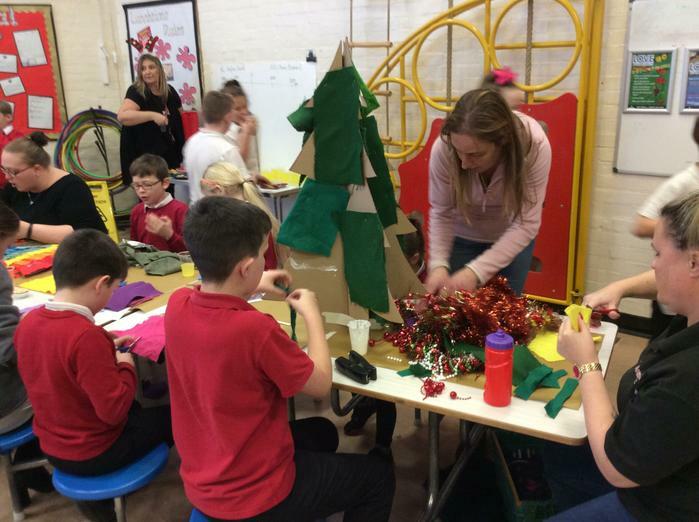 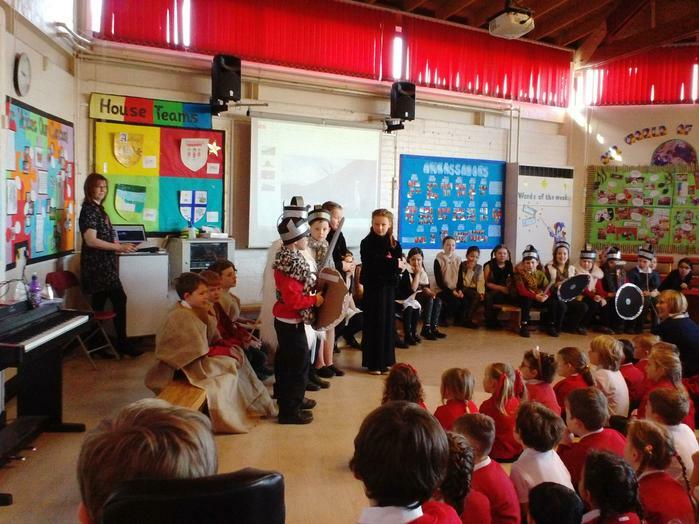 Take a look at the photos of our class assembly. 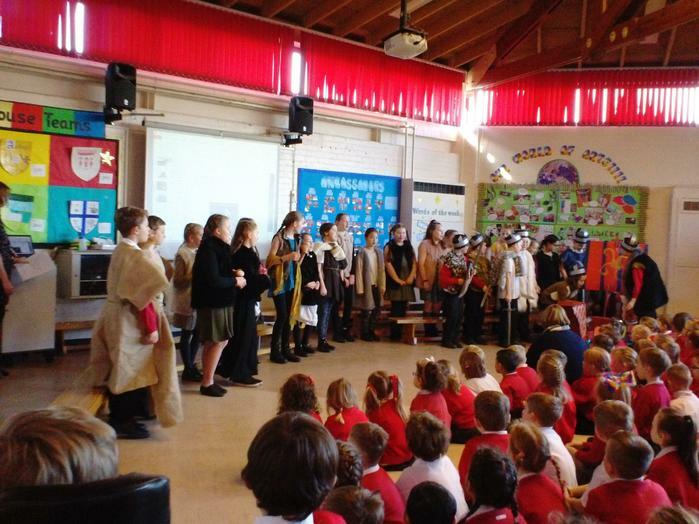 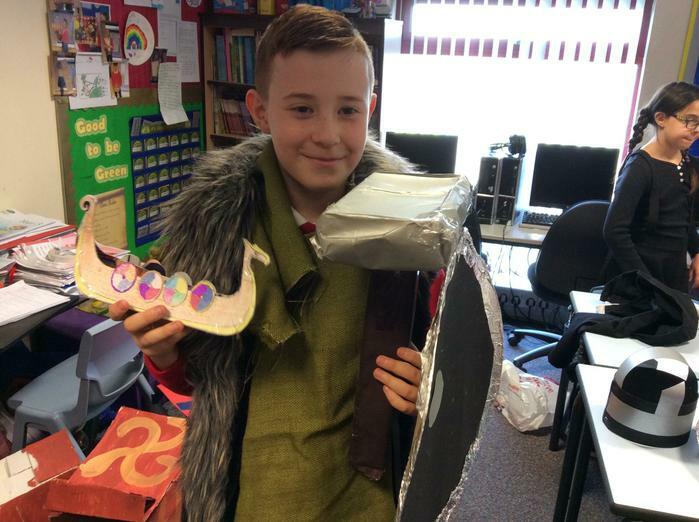 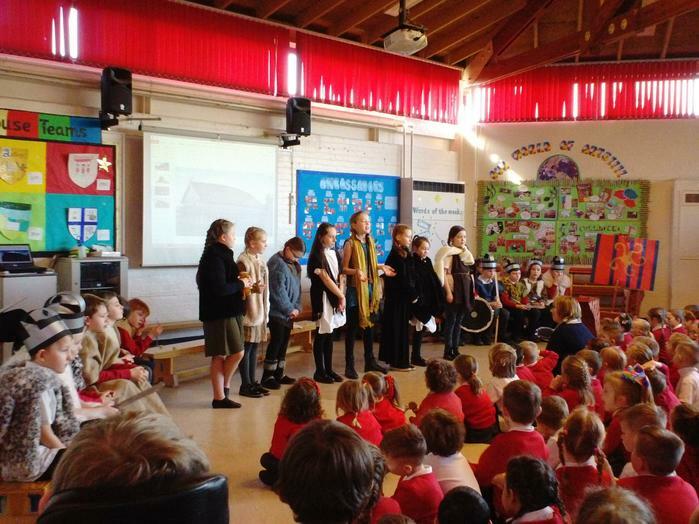 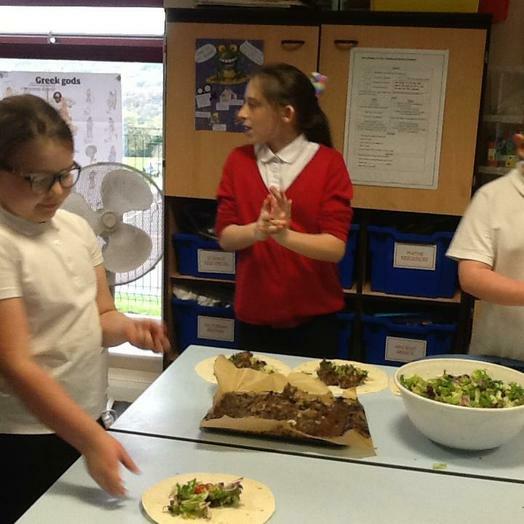 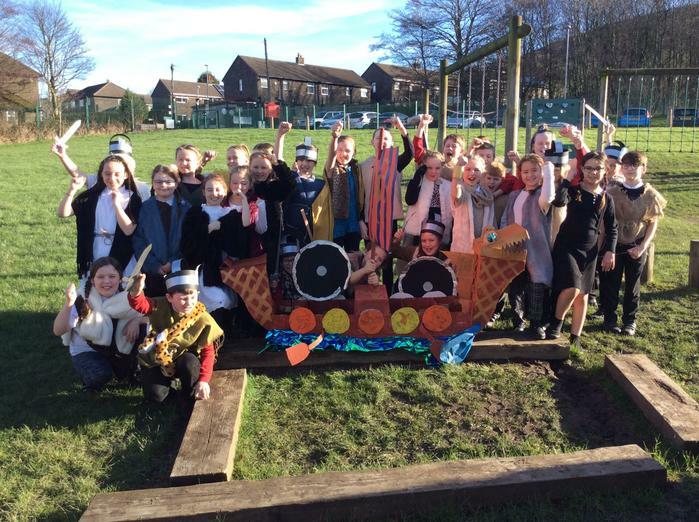 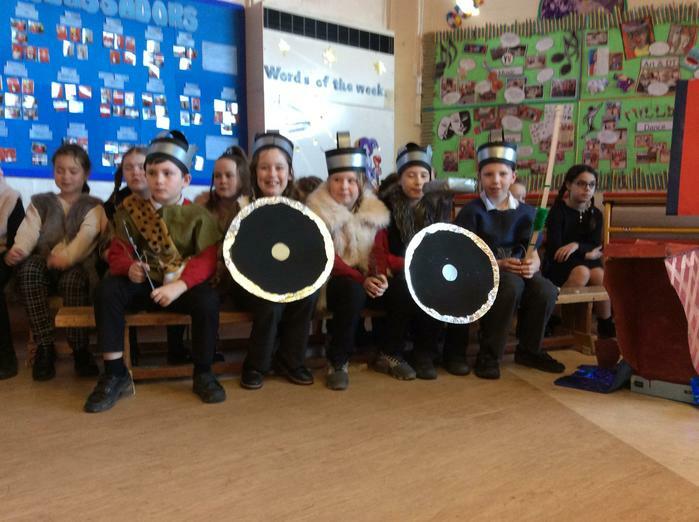 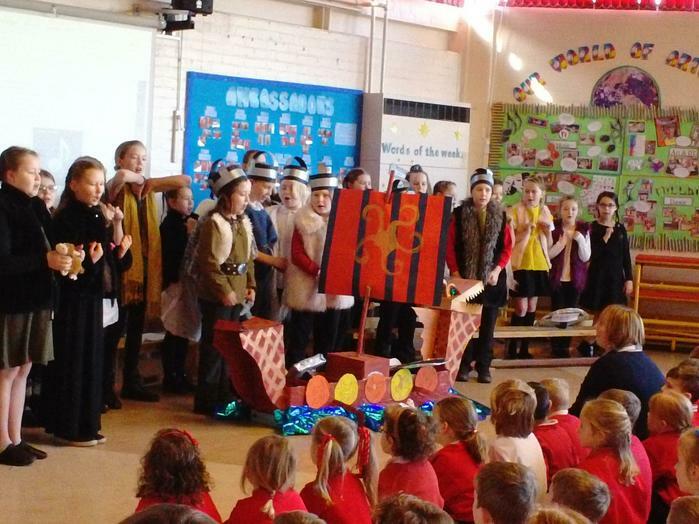 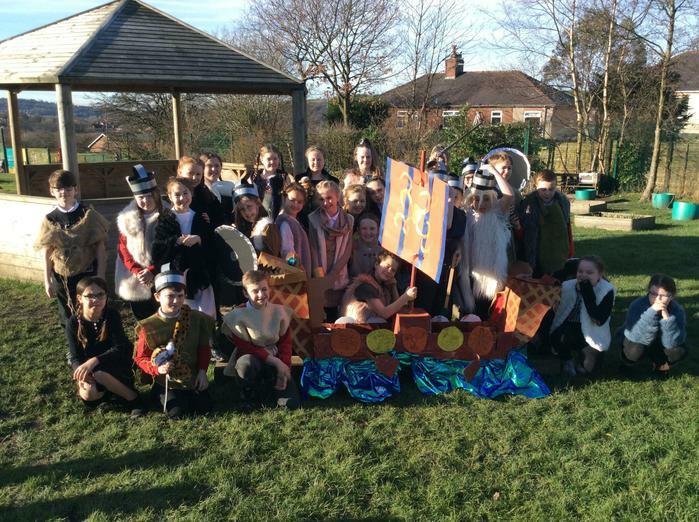 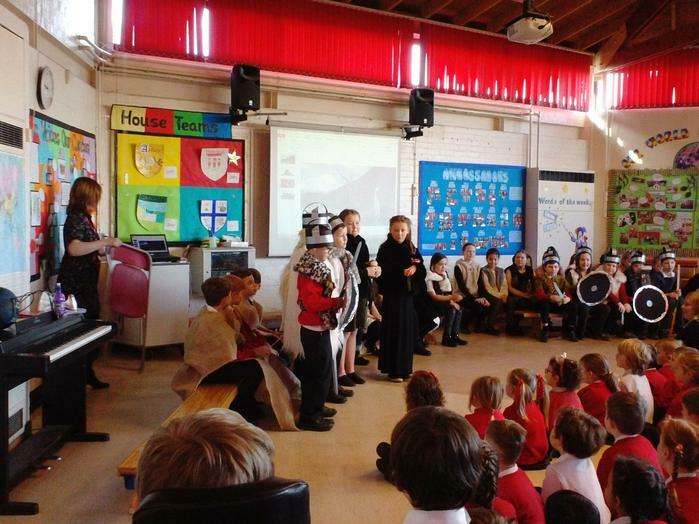 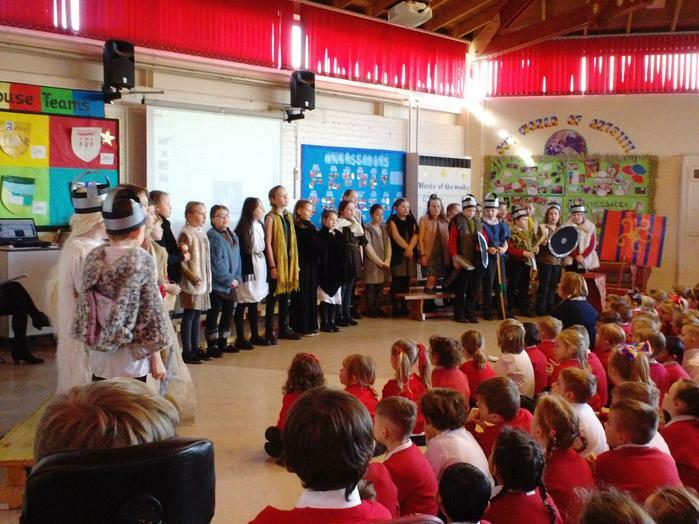 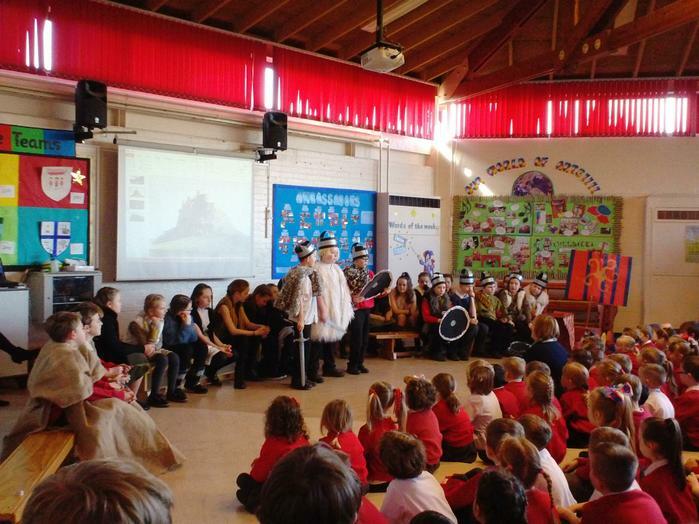 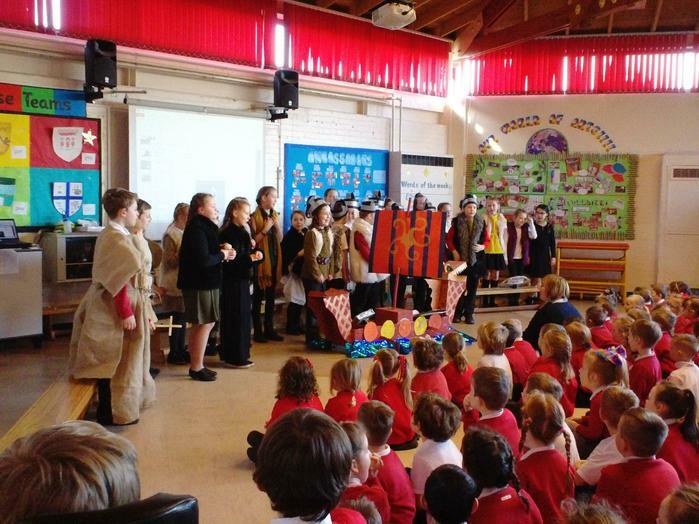 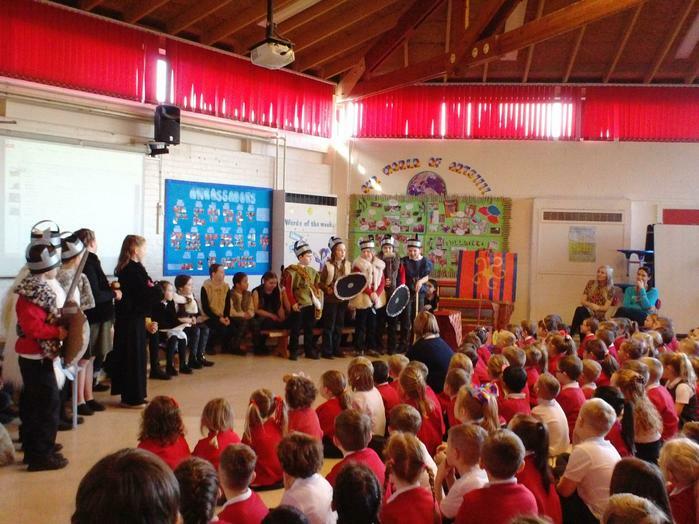 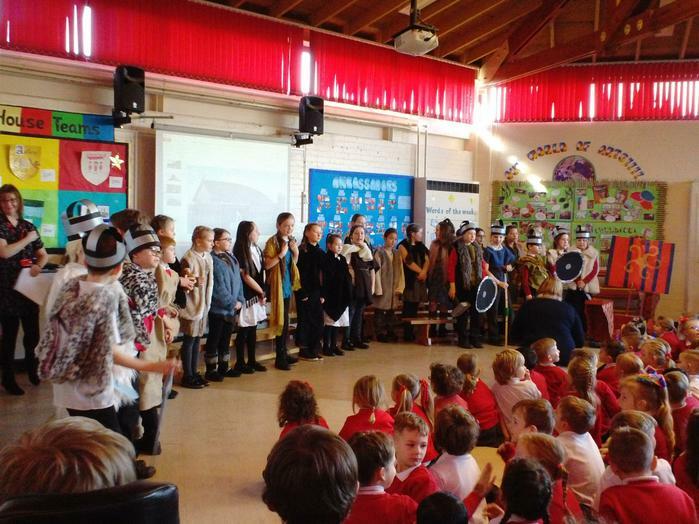 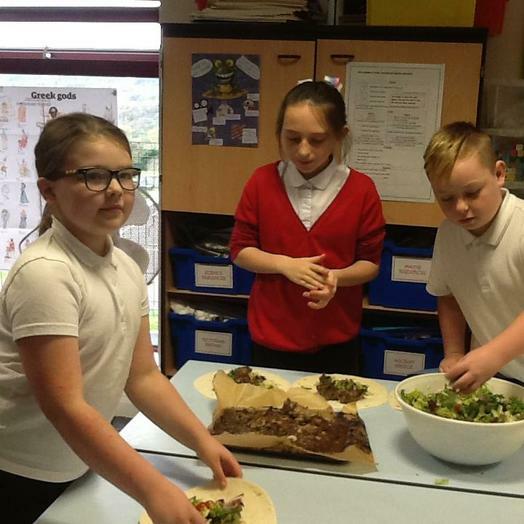 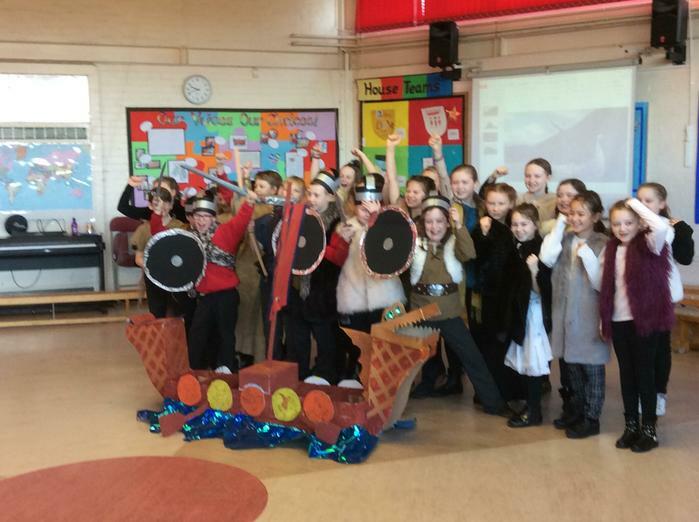 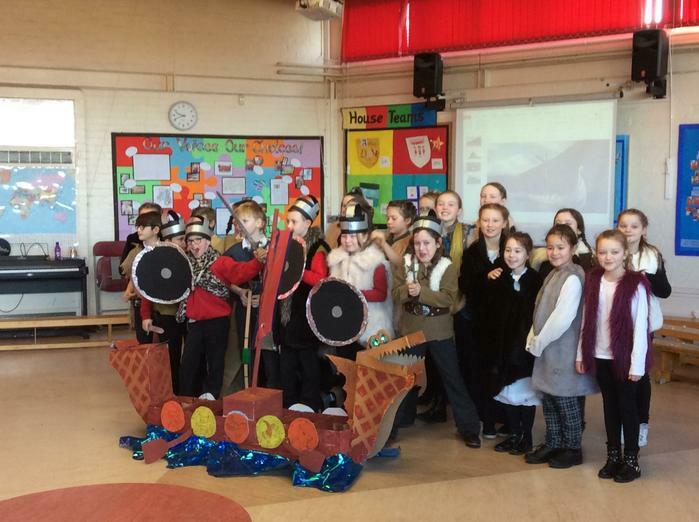 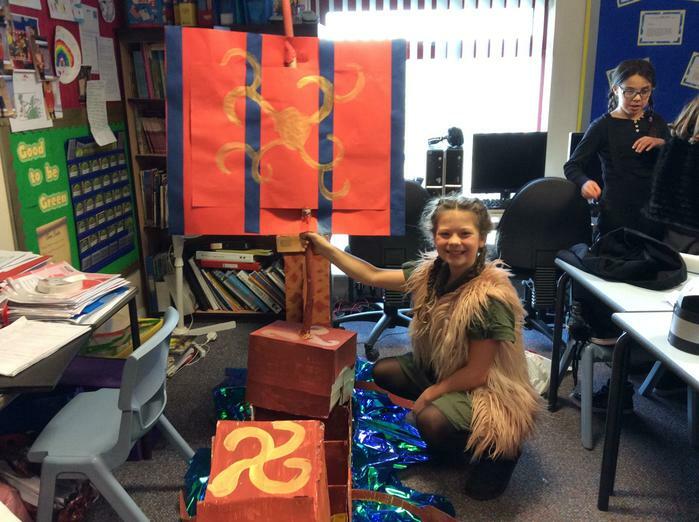 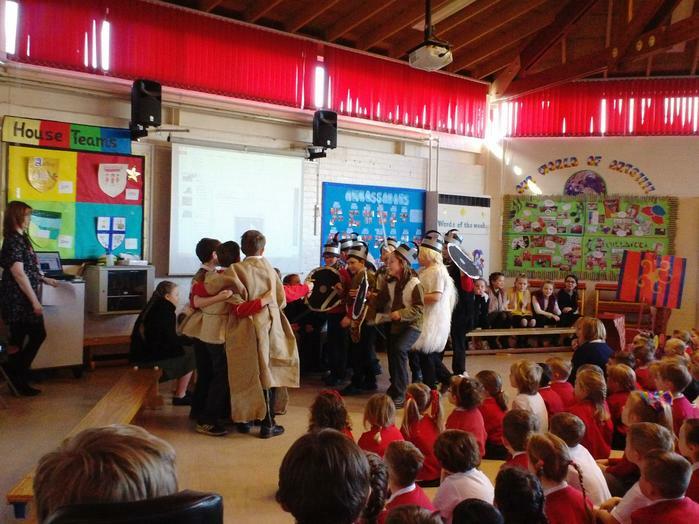 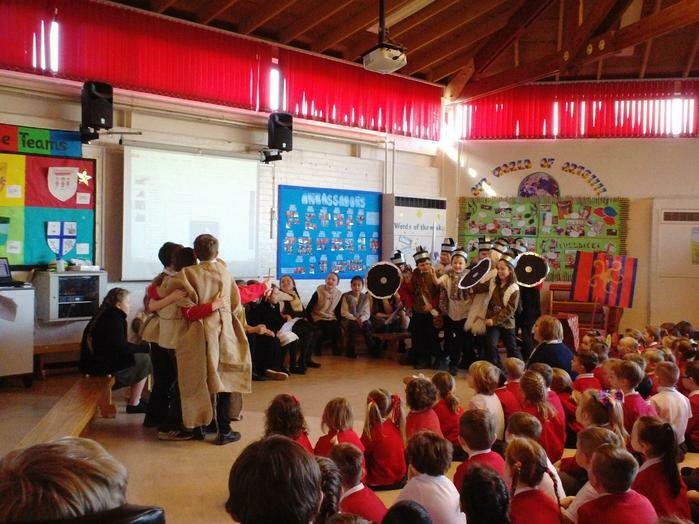 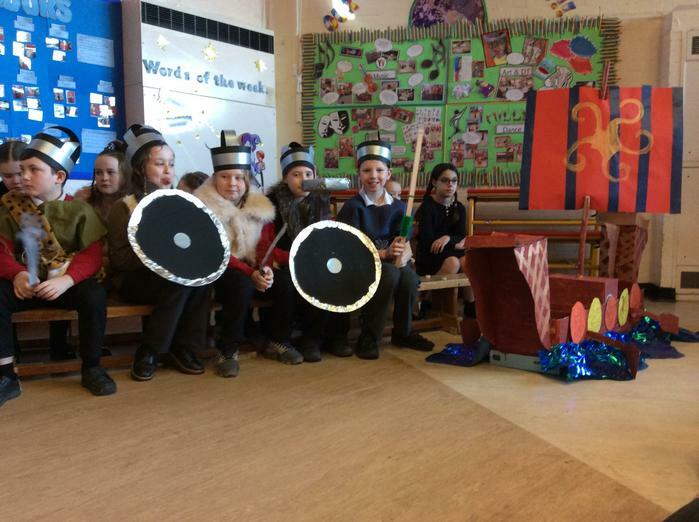 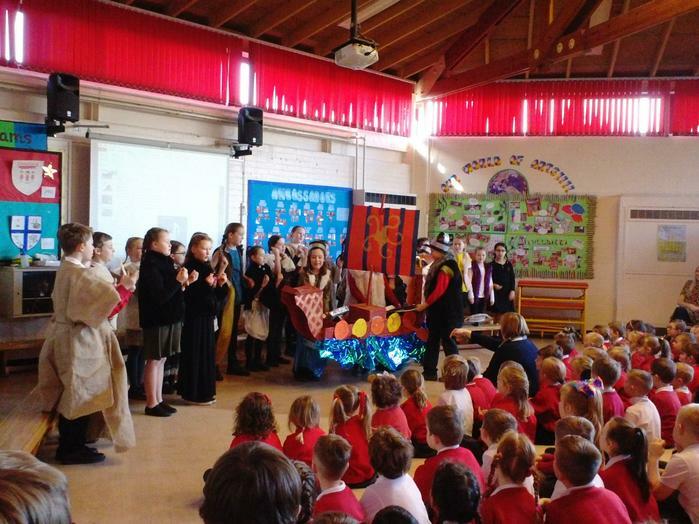 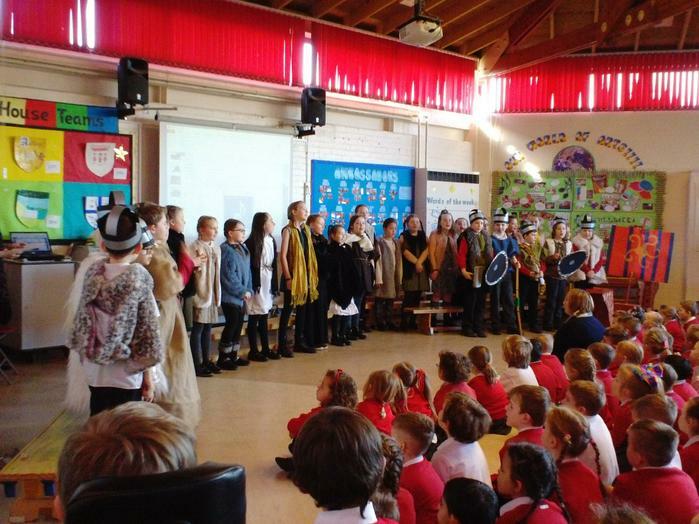 Year 5 put on a great performance and shared all the information they have learnt about the Vikings this term. 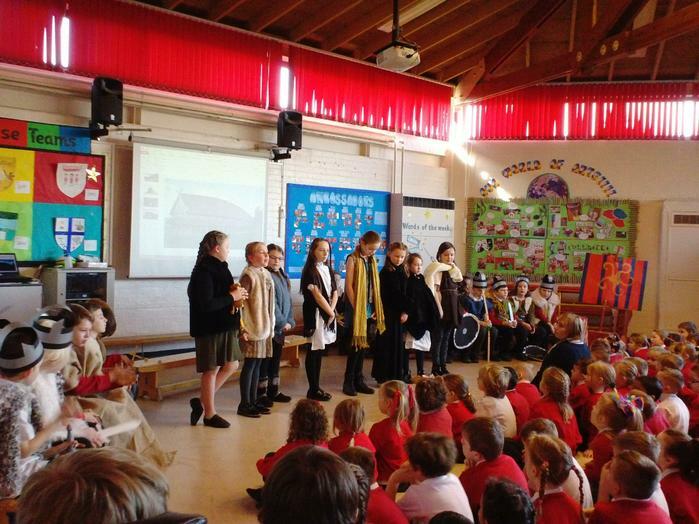 King Alfred is the only English monarch to have been given the title 'the Great'. 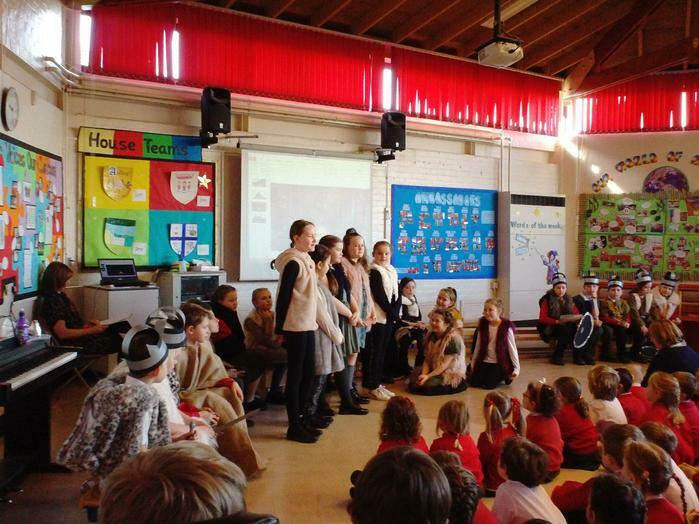 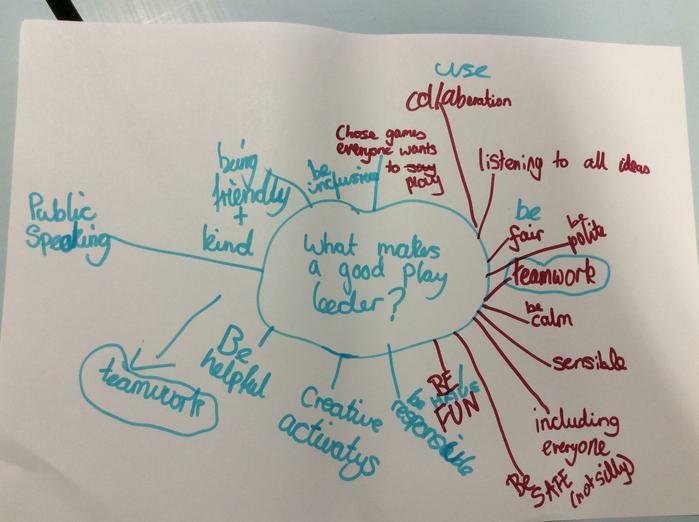 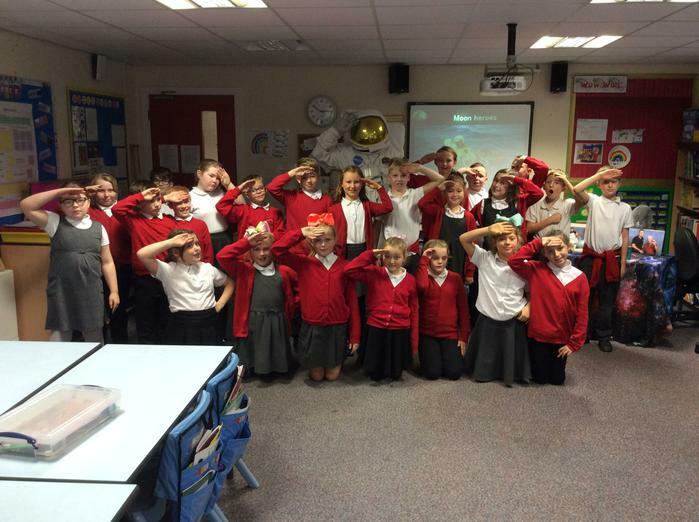 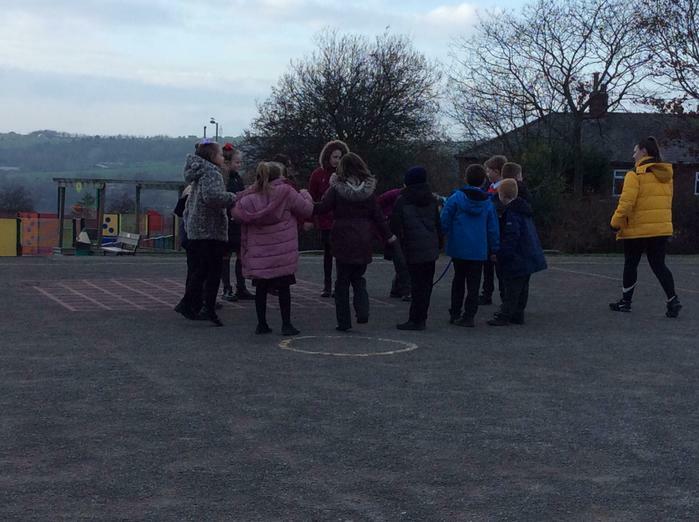 Year 5 completed a drama role play activity. 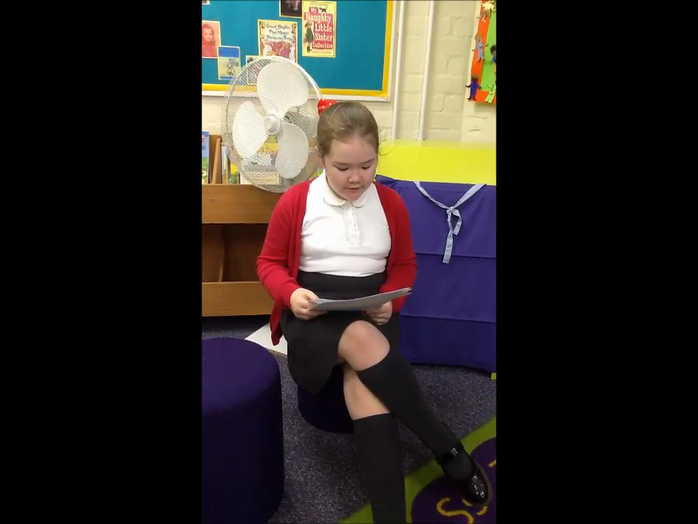 Each person took on a different role as an eye witness and prepared questions to ask as part of a debate. 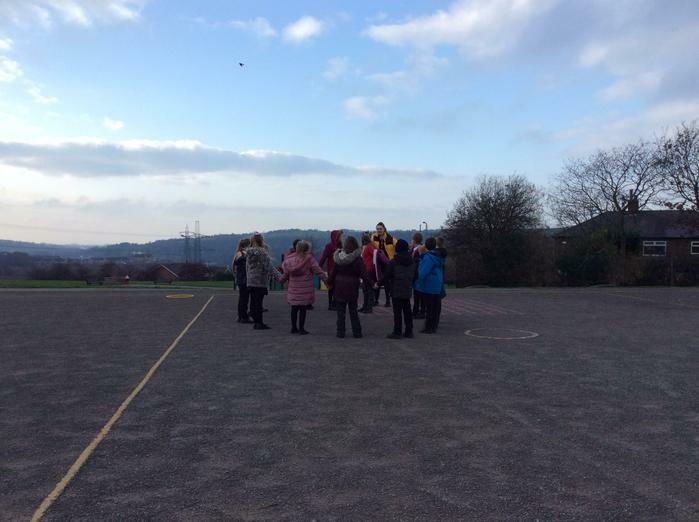 The class had to reach a verdict about whether King Alfred deserved his title 'the Great'. 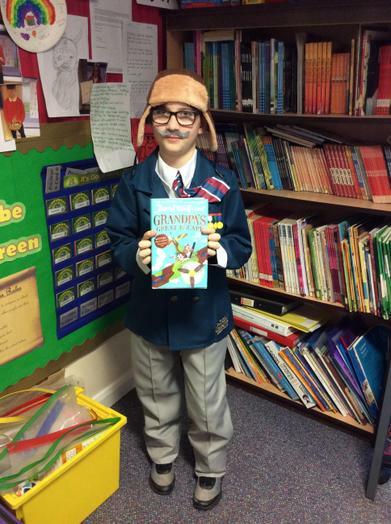 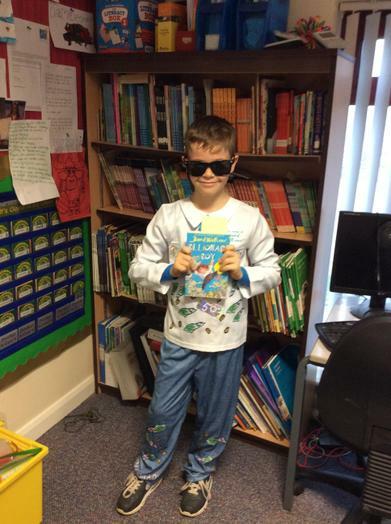 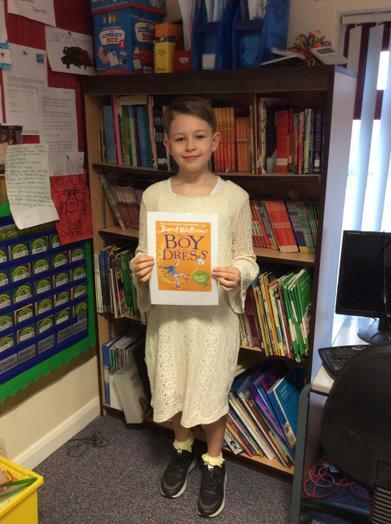 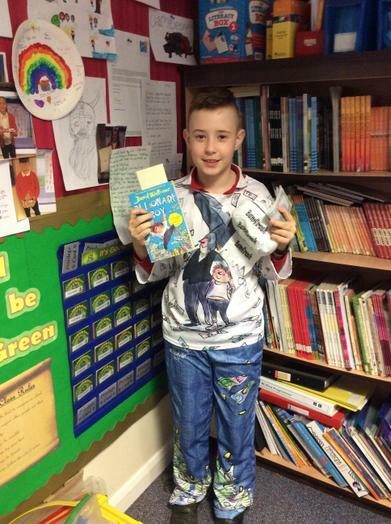 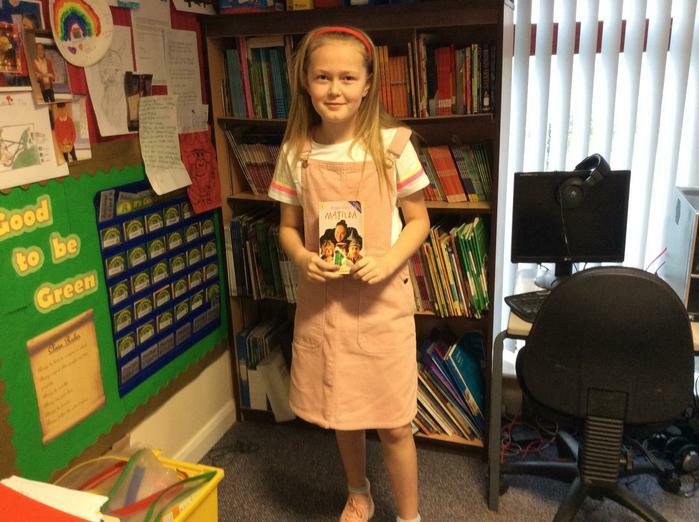 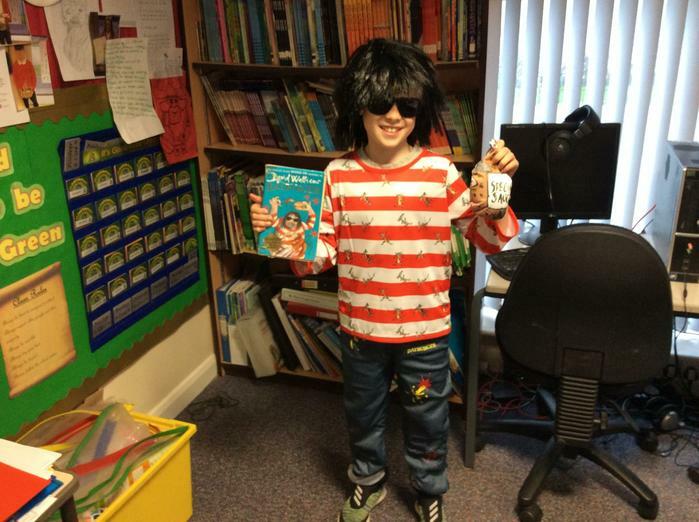 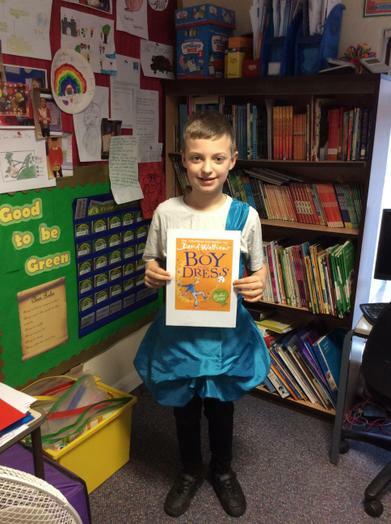 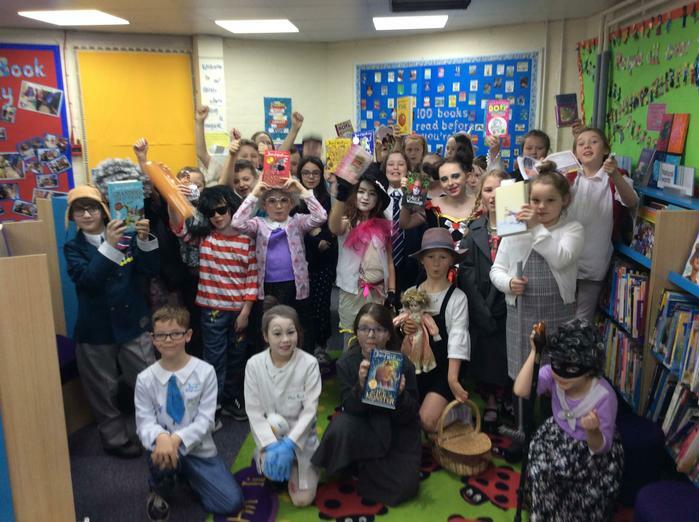 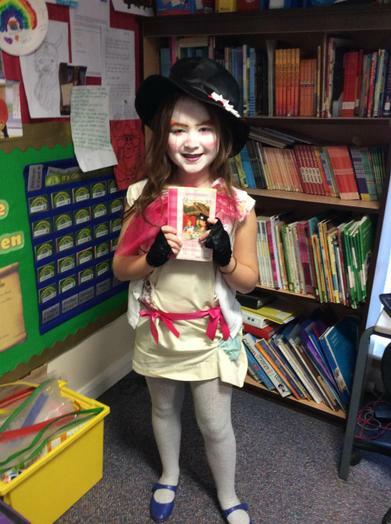 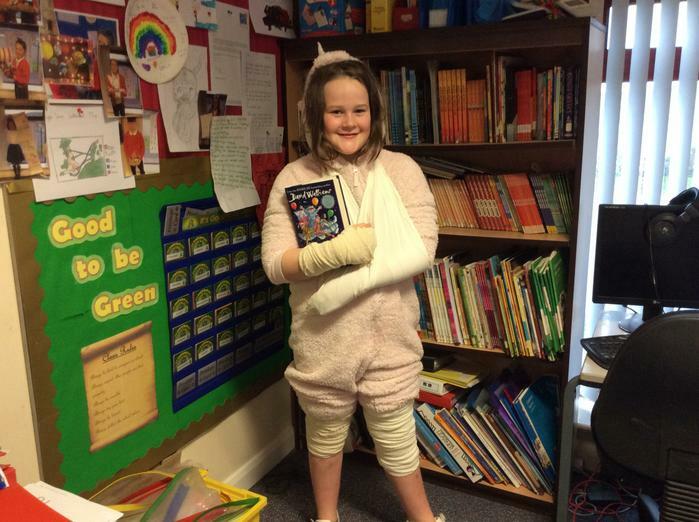 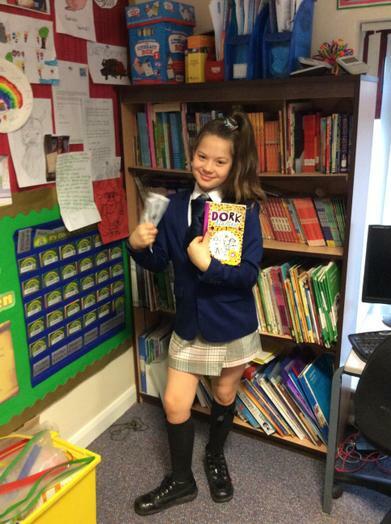 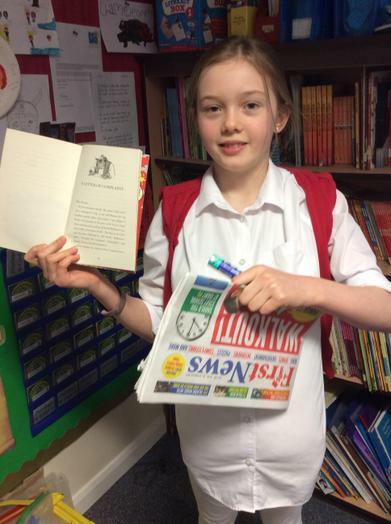 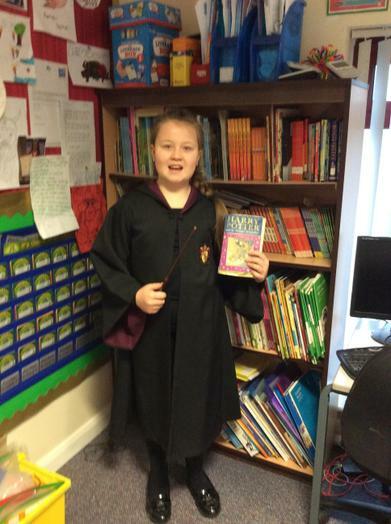 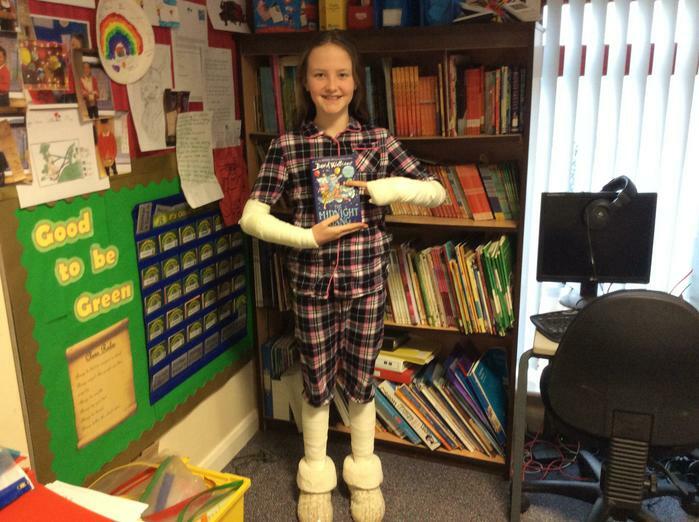 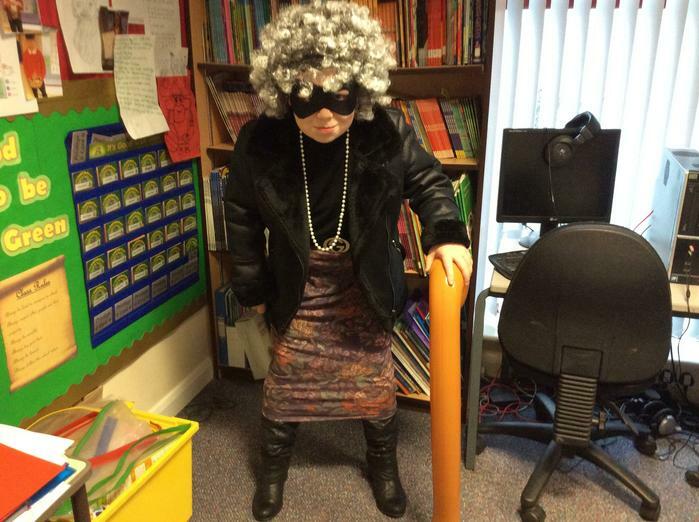 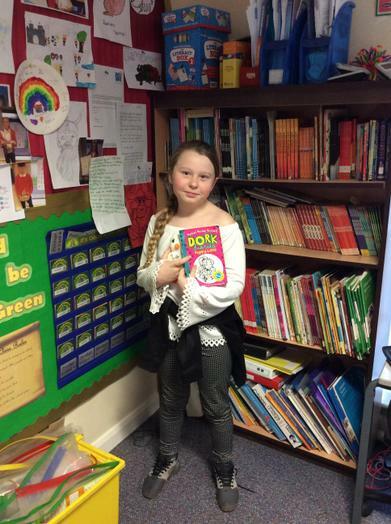 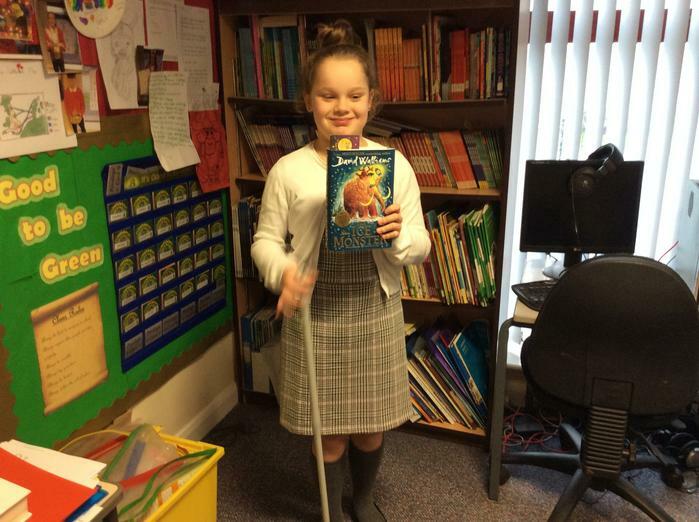 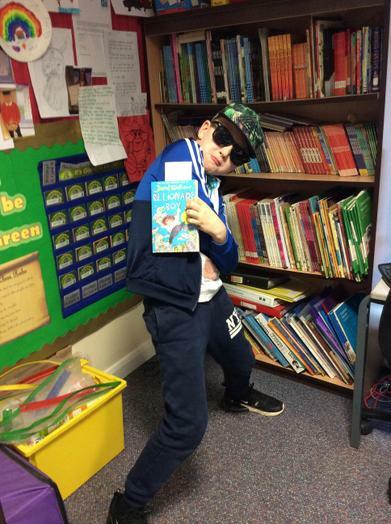 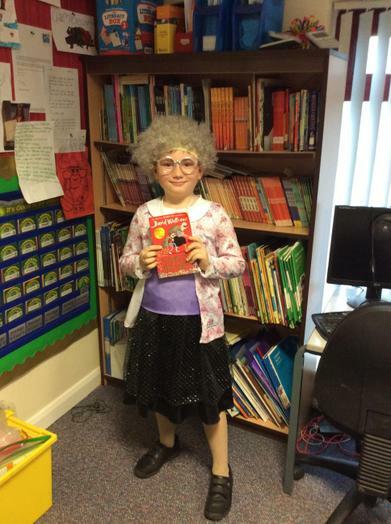 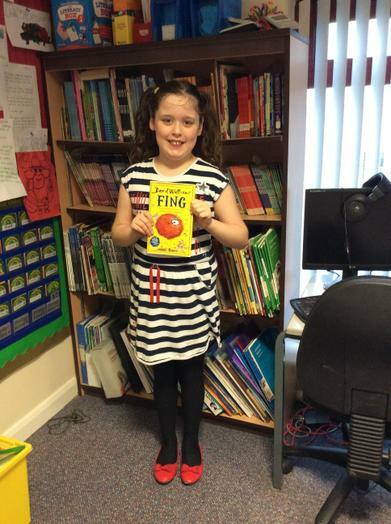 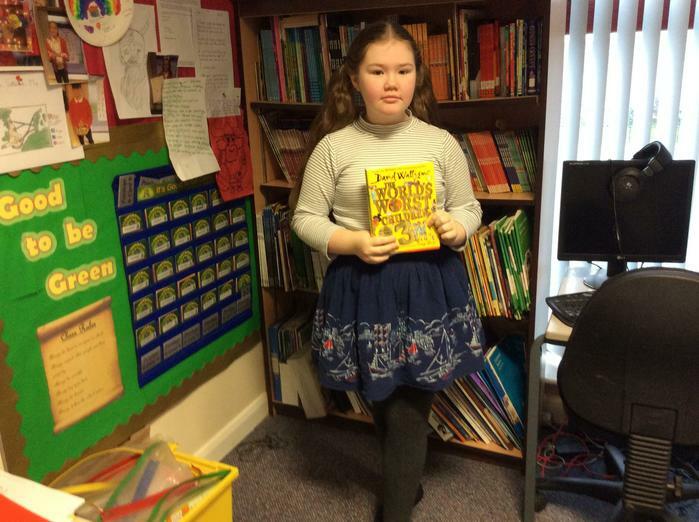 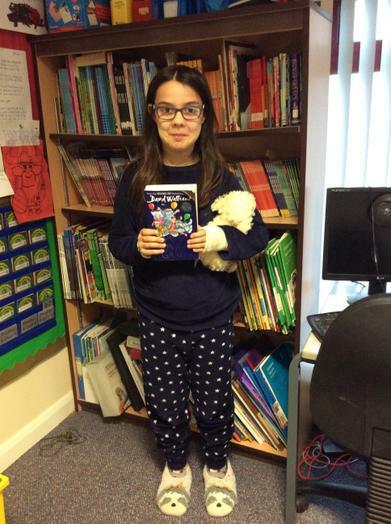 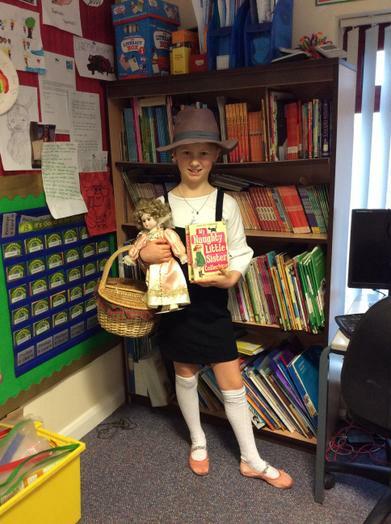 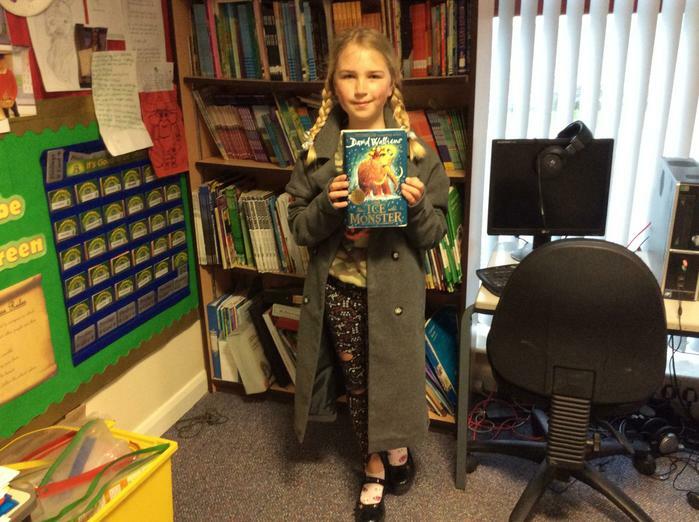 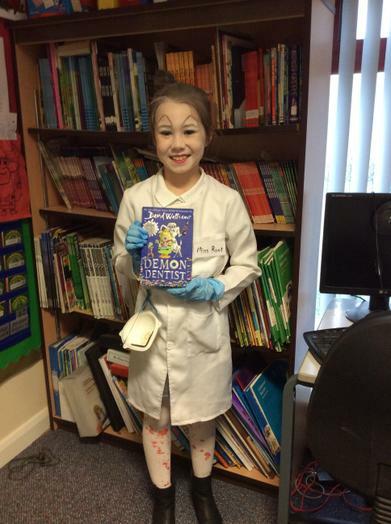 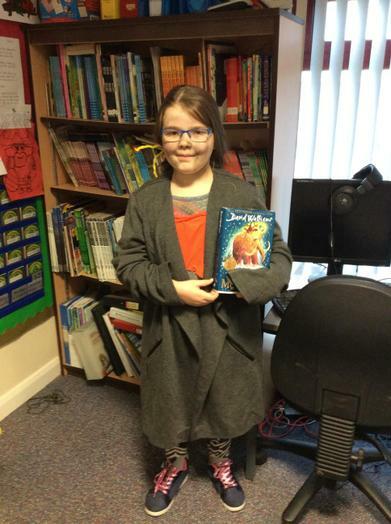 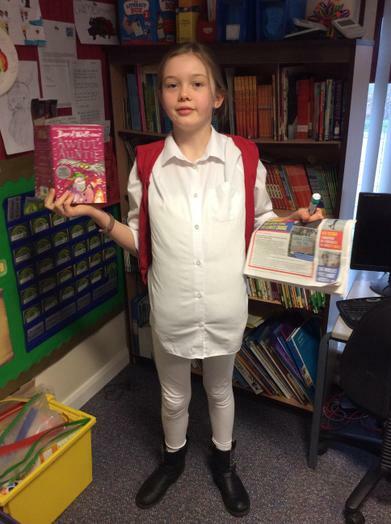 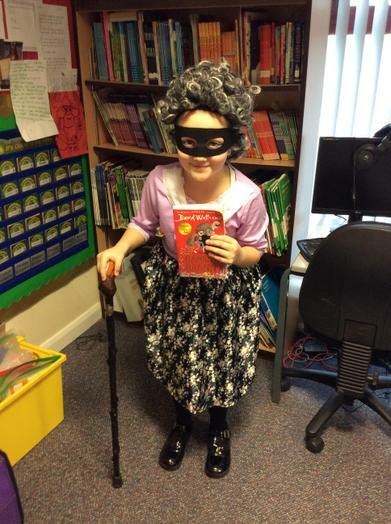 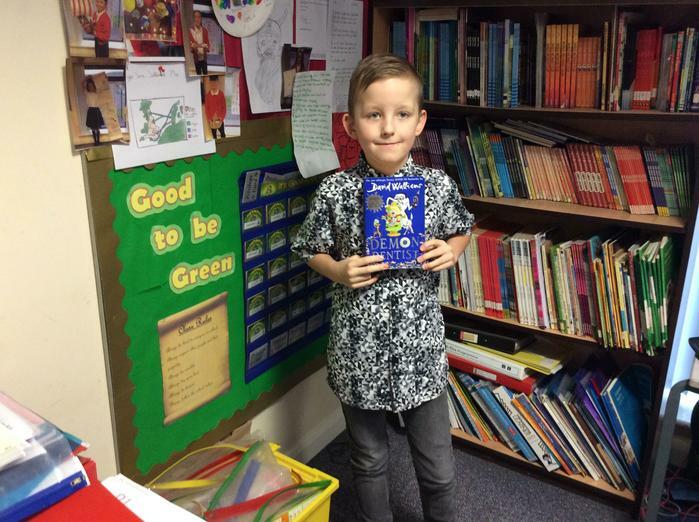 On World Book Day, Year 5 came dressed as a character from their favourite book or as character from one of the books written by our focus author- David Walliams. 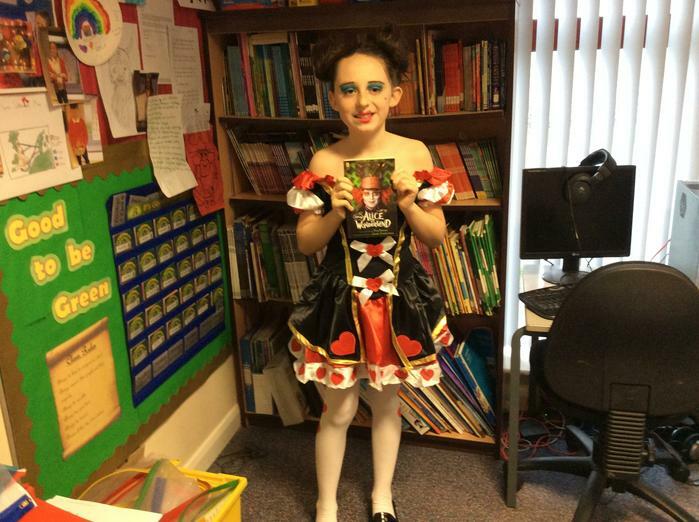 Take a look at the photos of our fabulous costumes! 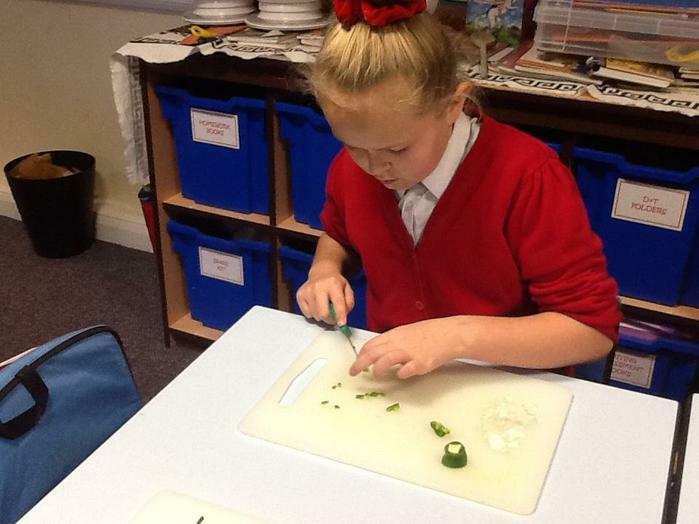 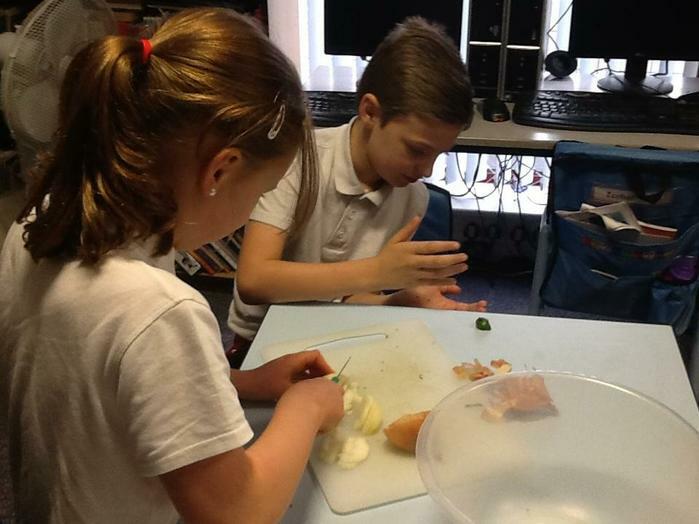 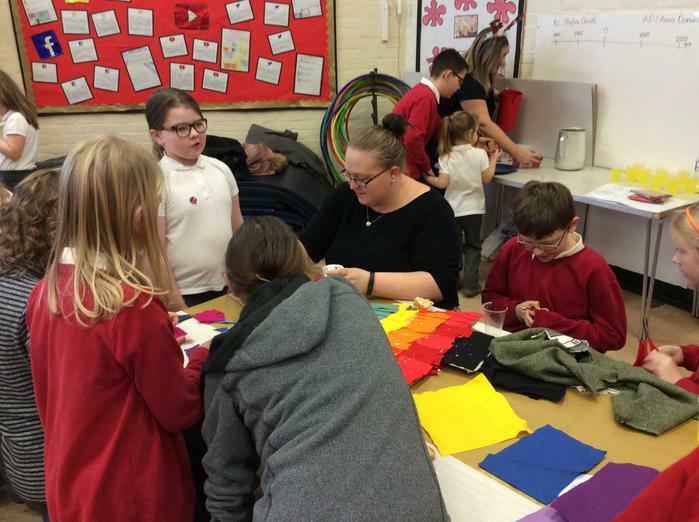 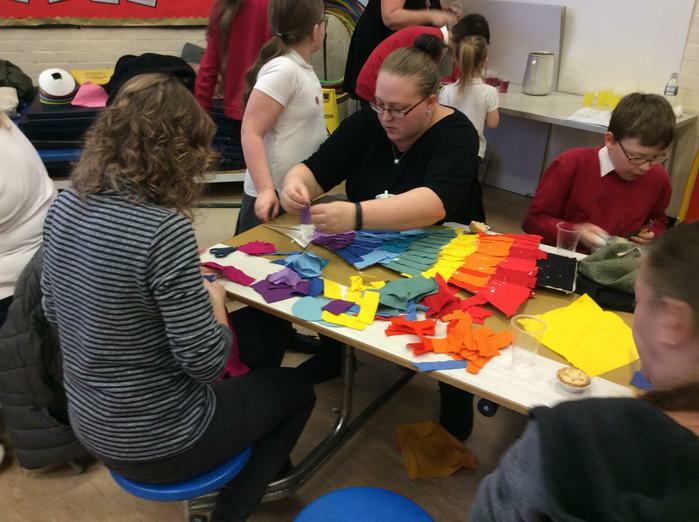 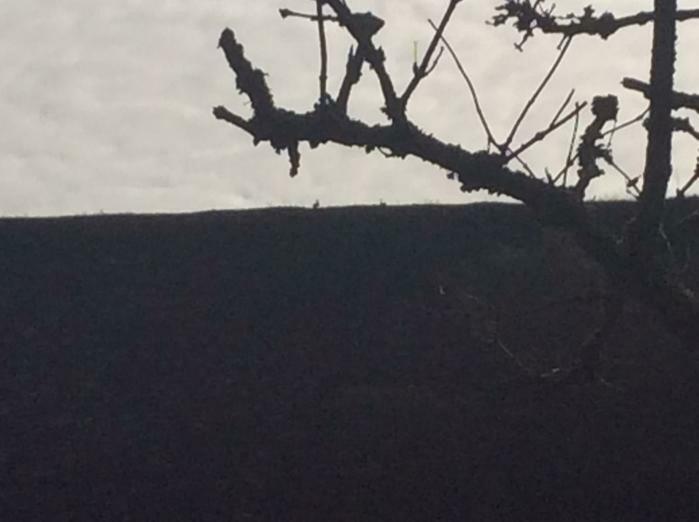 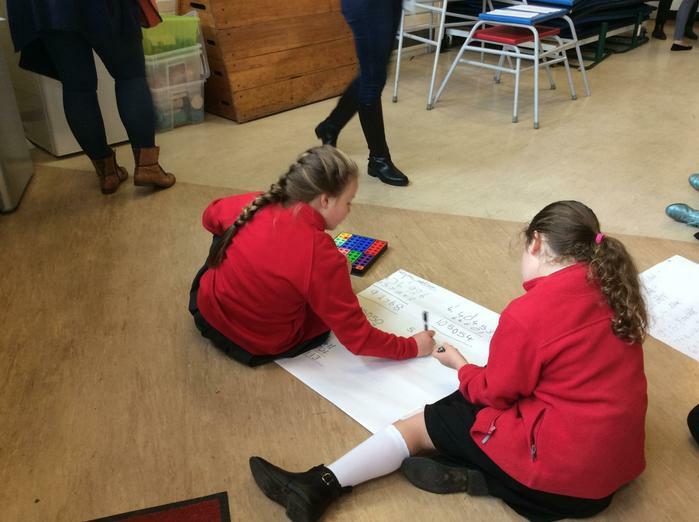 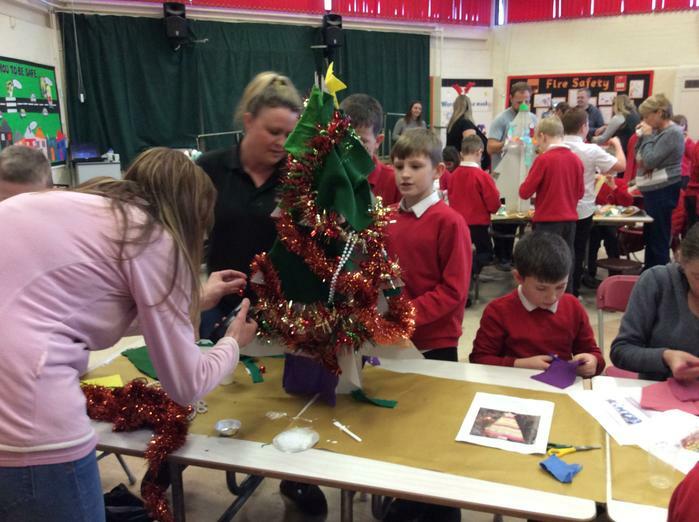 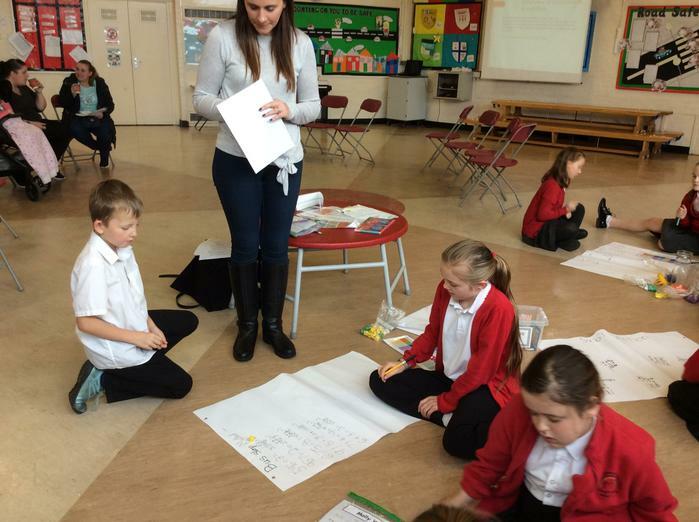 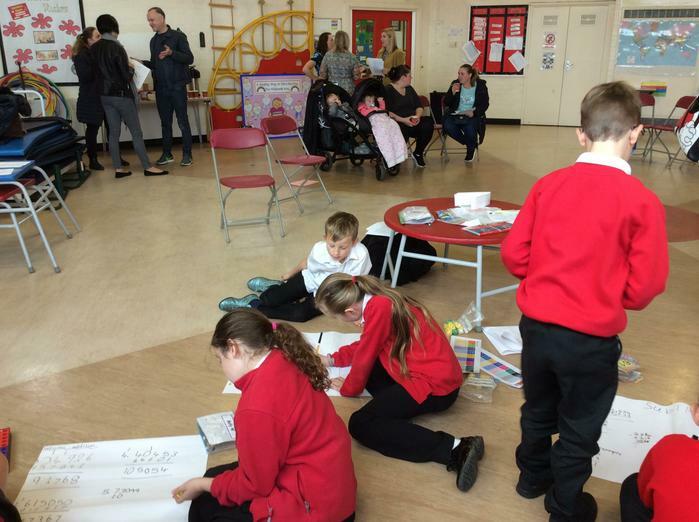 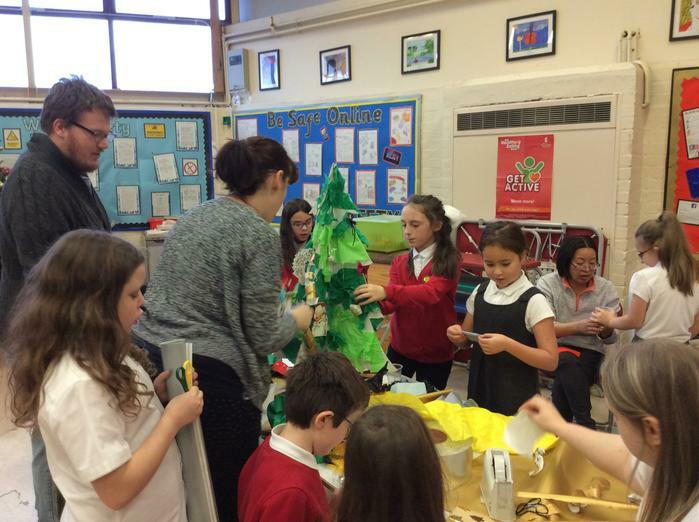 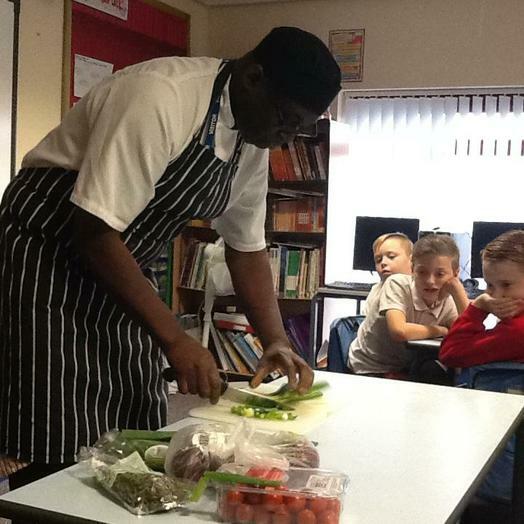 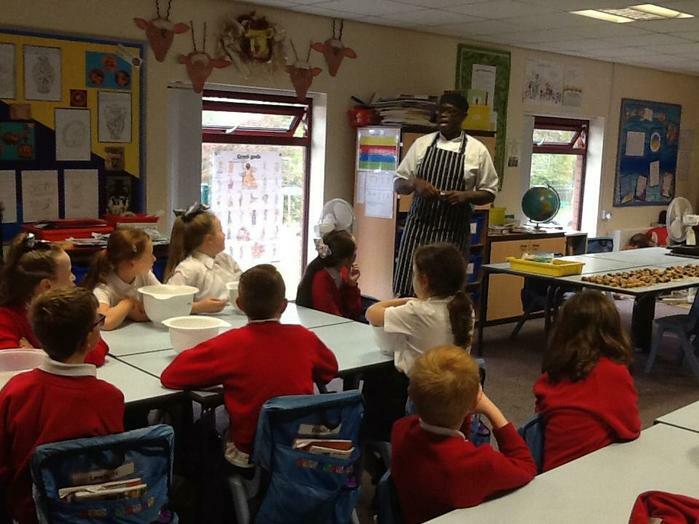 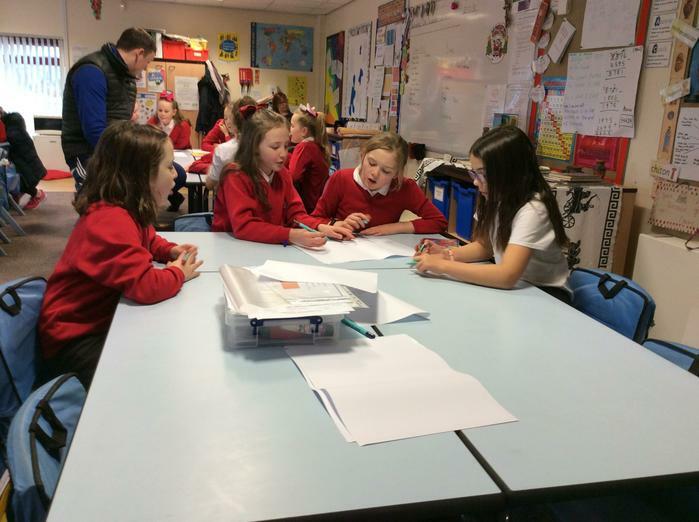 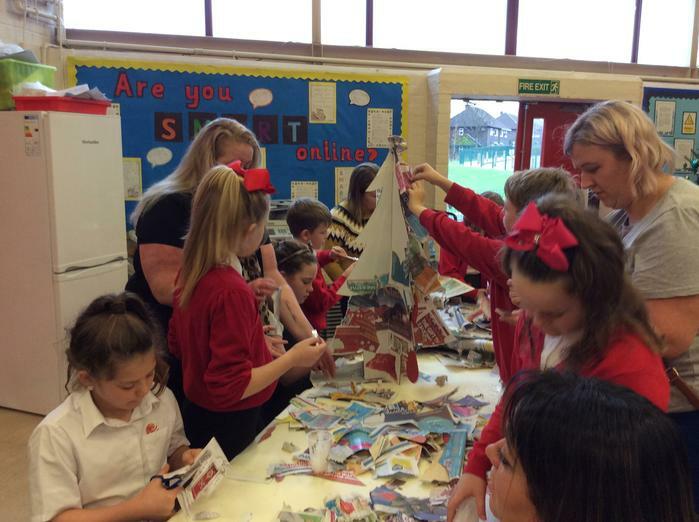 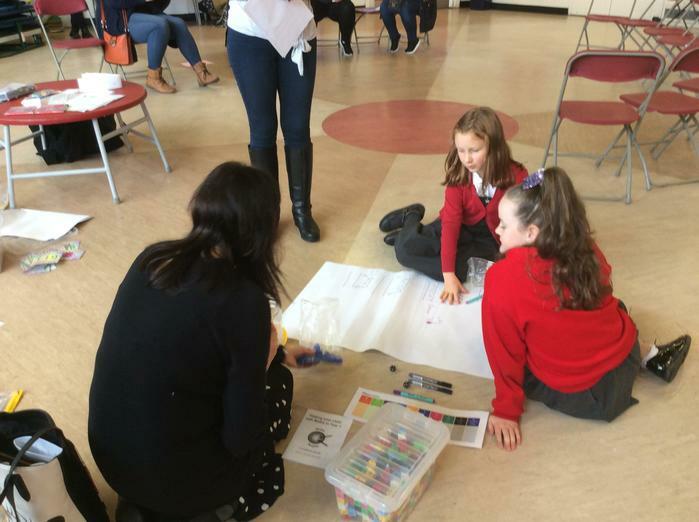 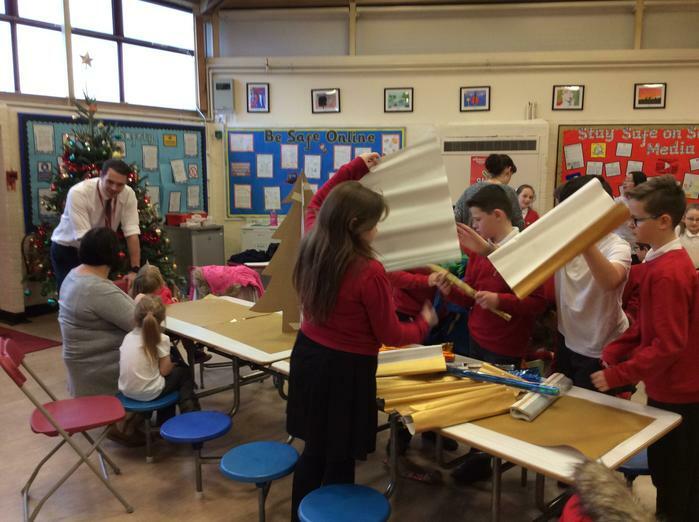 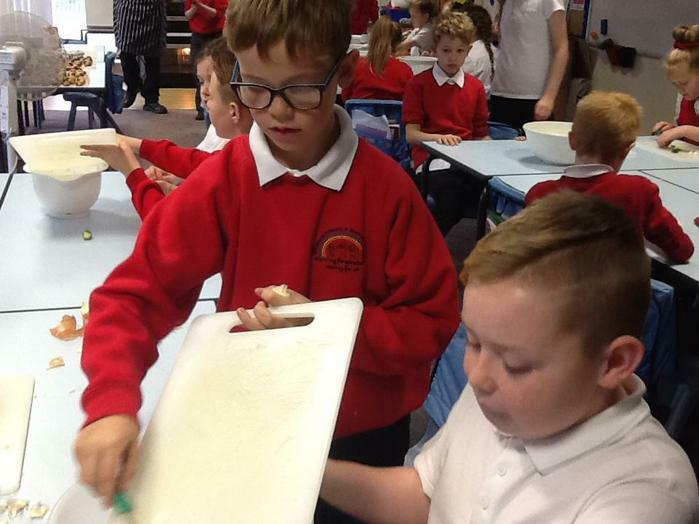 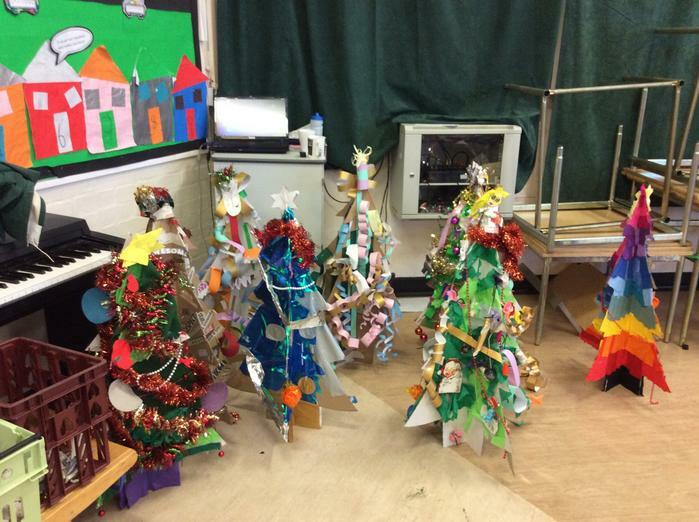 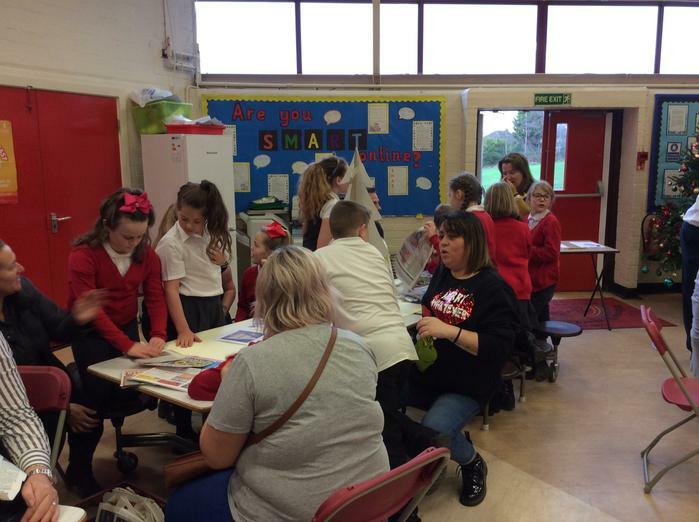 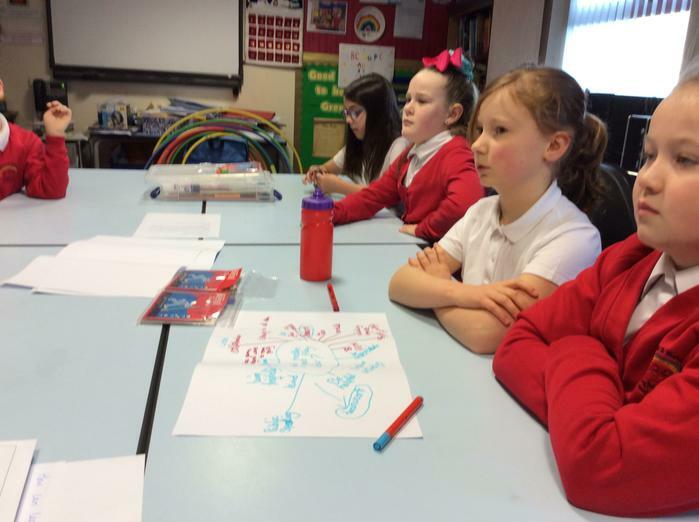 As a school, we have entered a competition as part of an anti racism project. 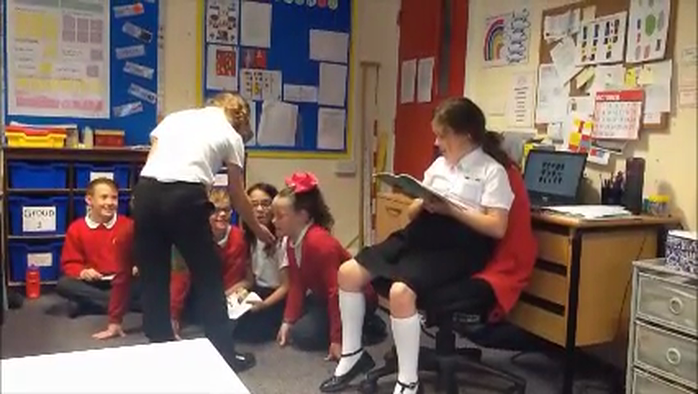 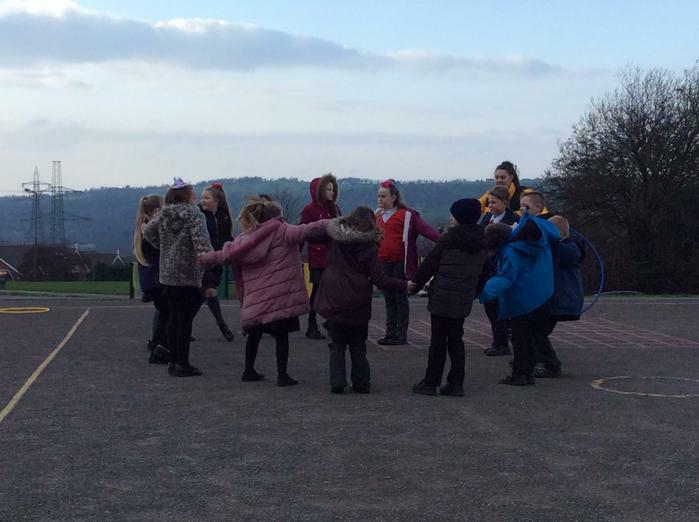 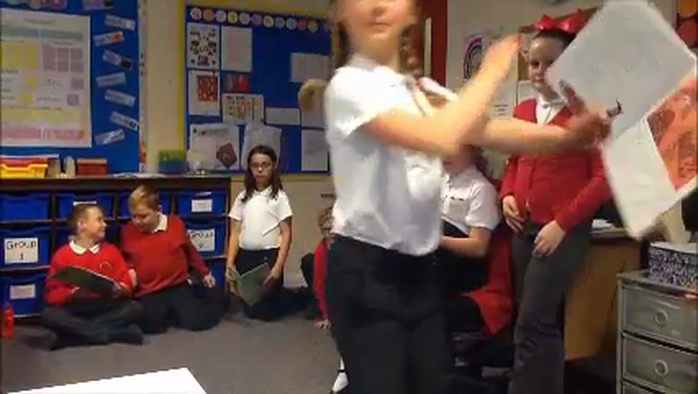 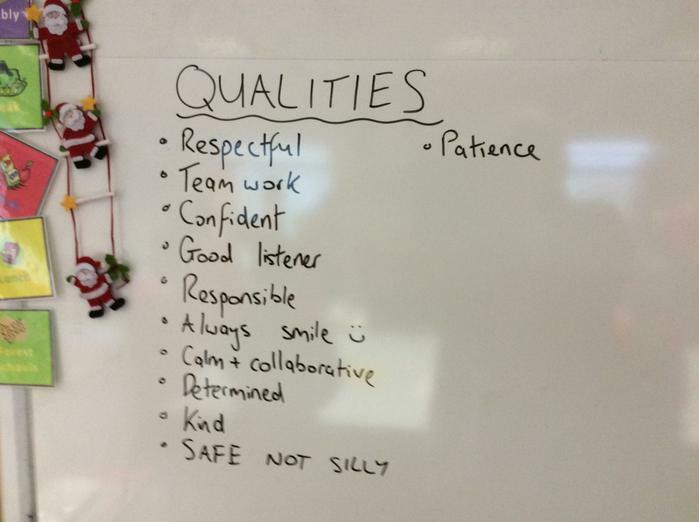 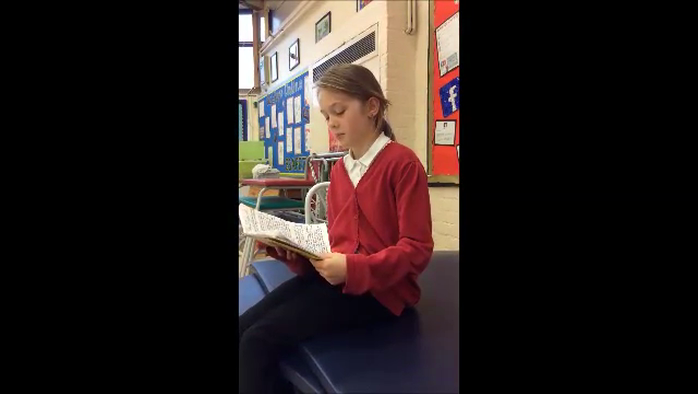 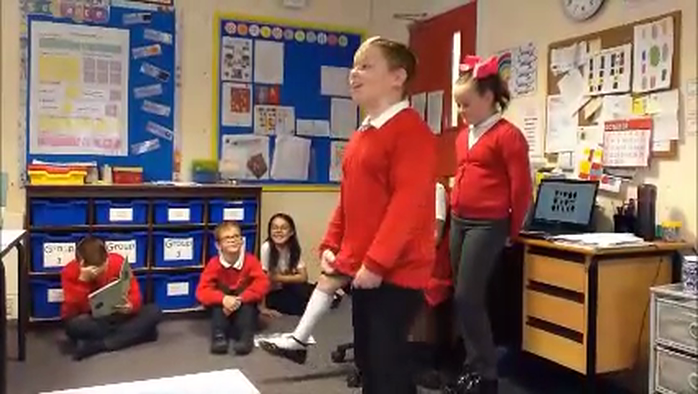 Year 5 were asked to write or perform a song. 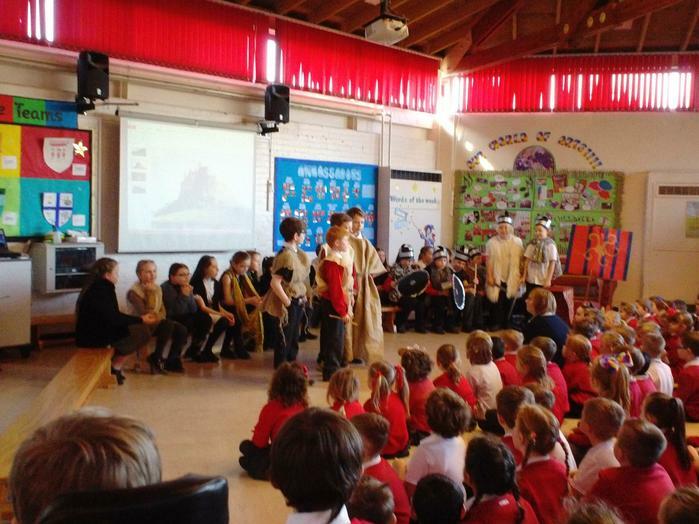 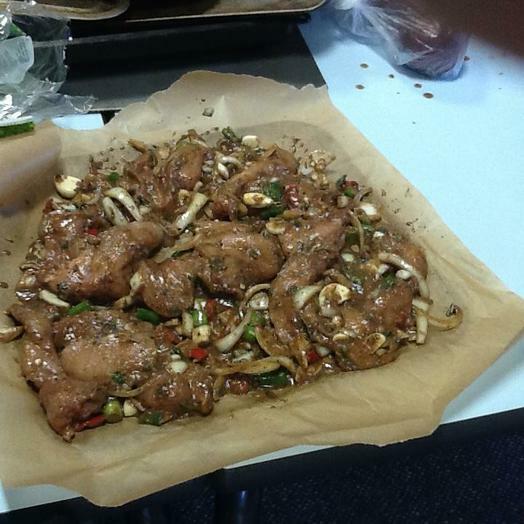 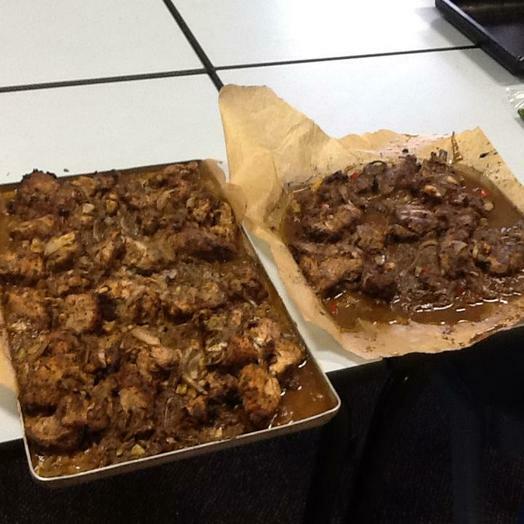 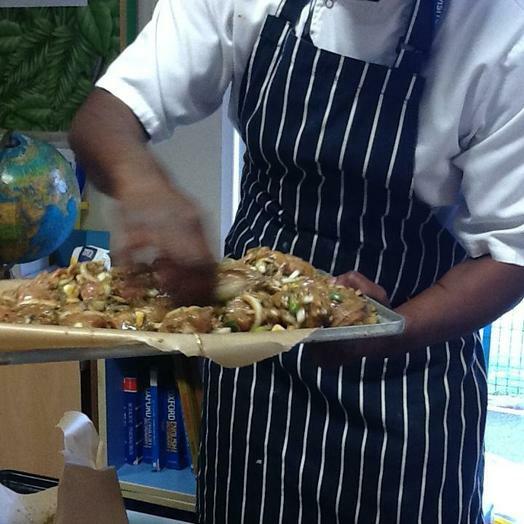 James, Rufus, Lewis and Heath did a super job. 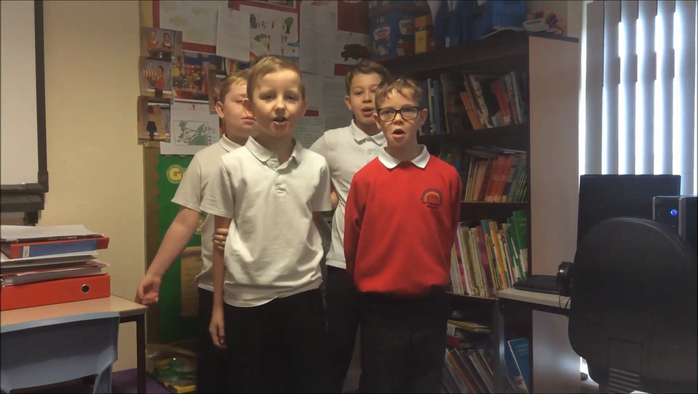 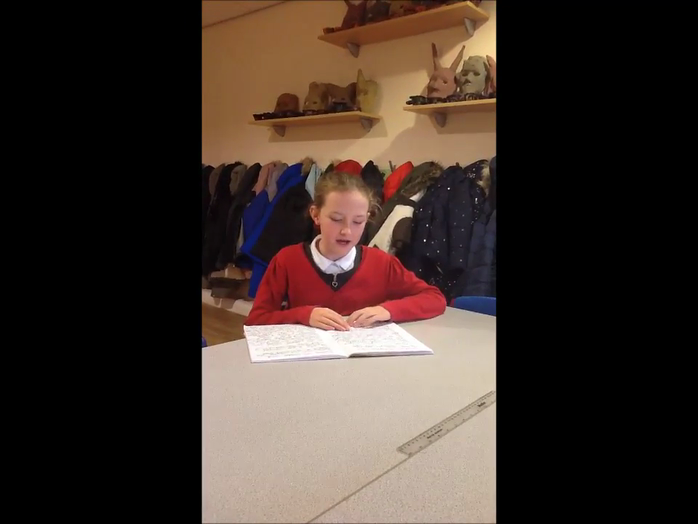 They worked together, for their spring term collaboration homework, to write this song and performed it for the class.